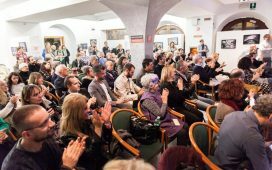 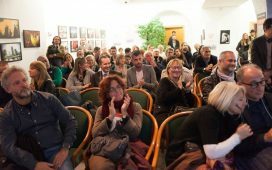 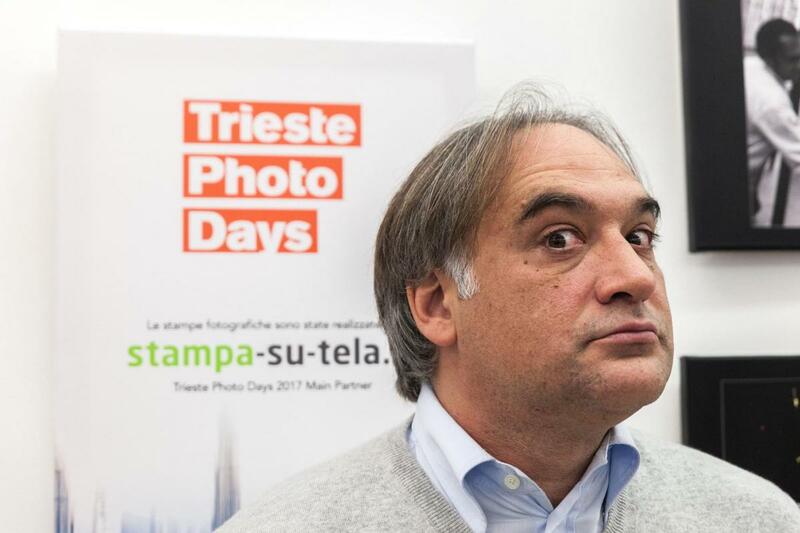 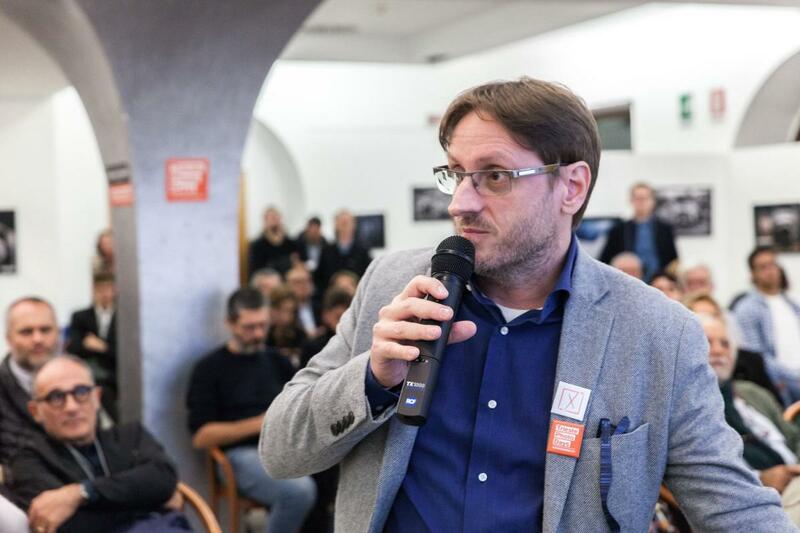 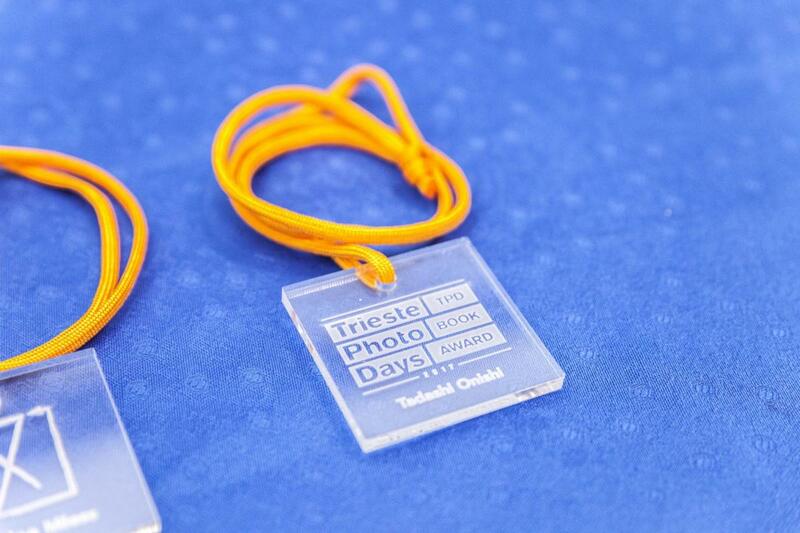 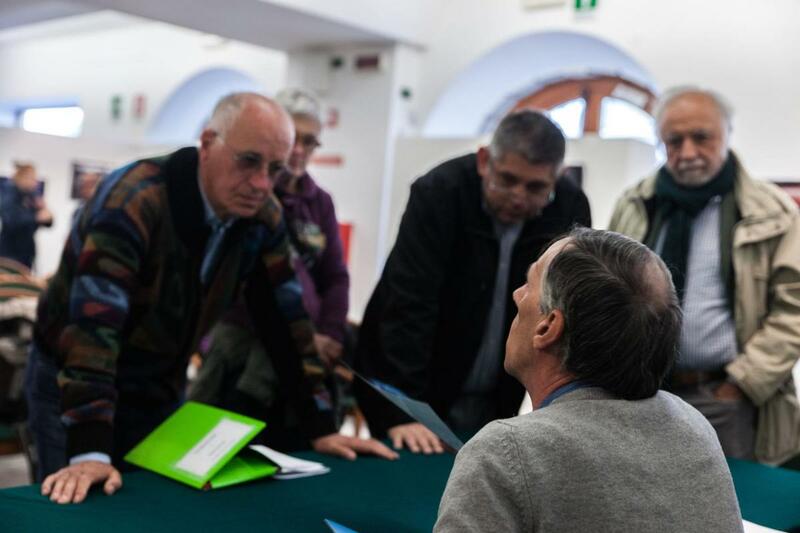 From 16.30 to 17.30 in the Sala Giubileo, Riva tre Novembre Trieste, Denis Curti will publicly comment on some of the projects presented at the TPD Book Award 2017 . 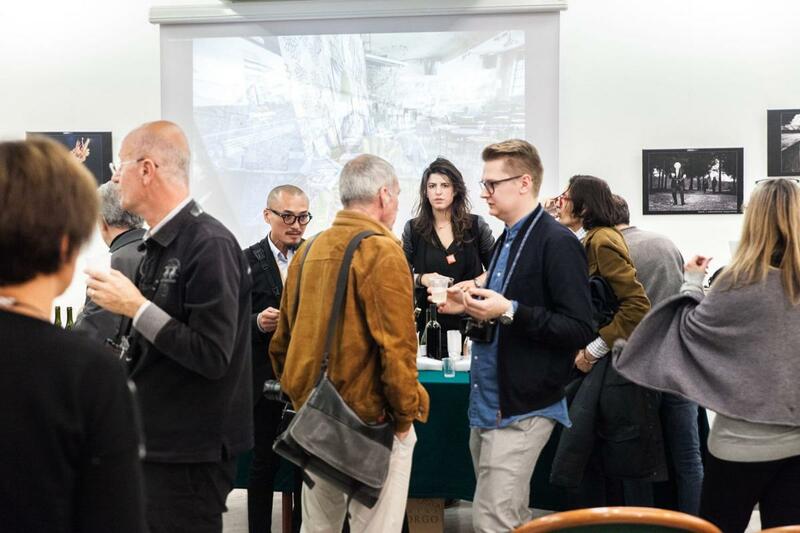 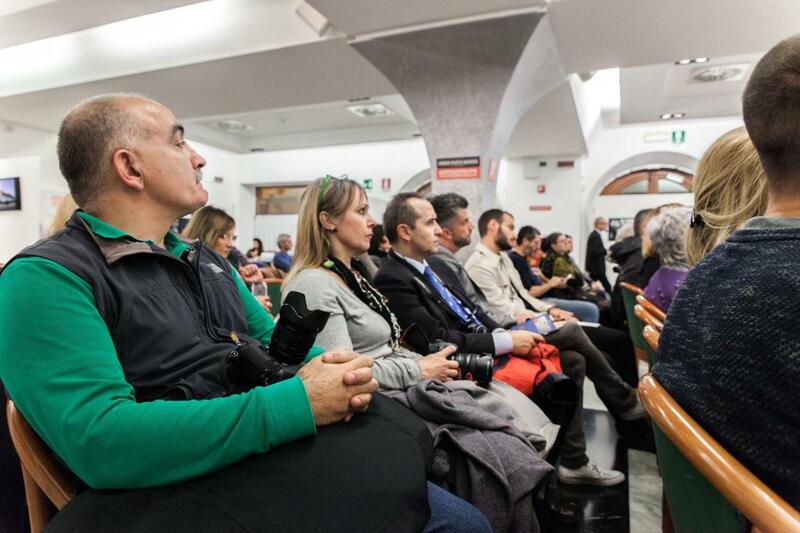 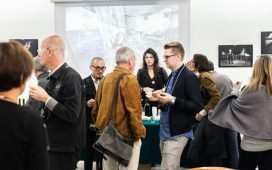 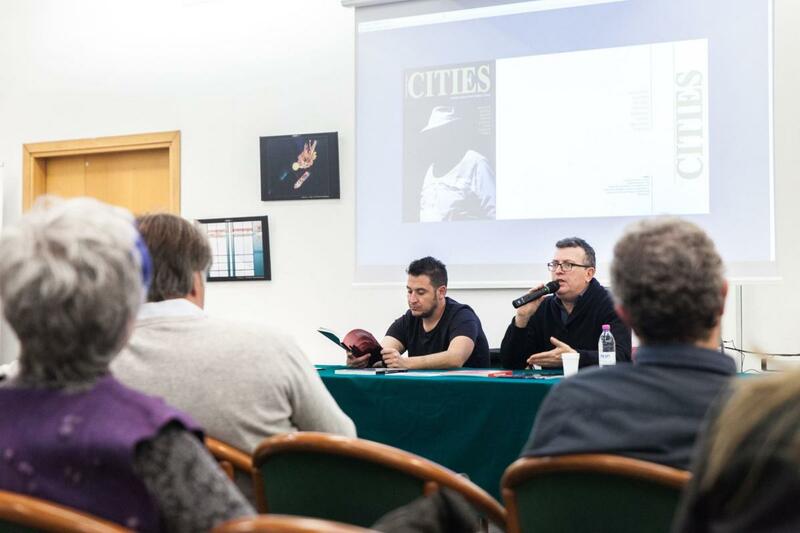 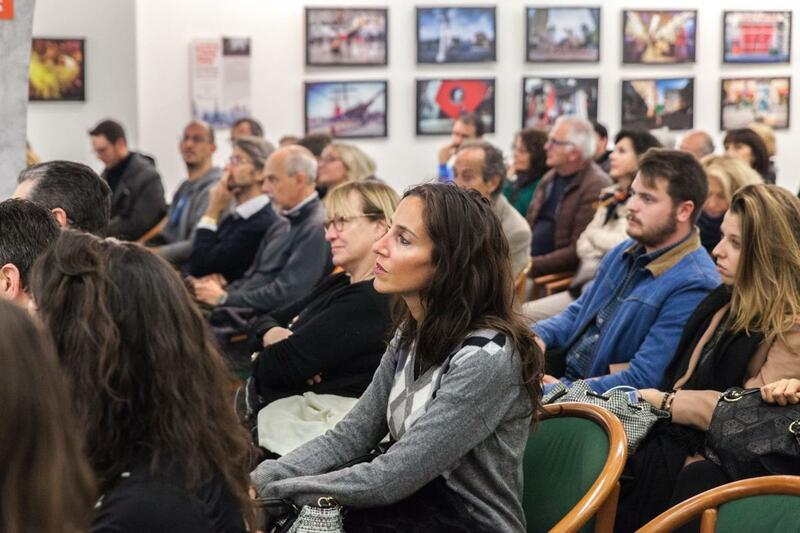 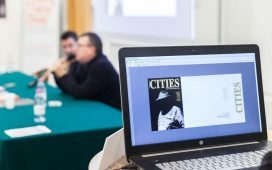 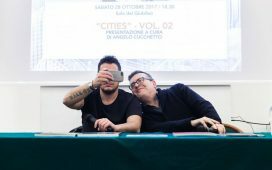 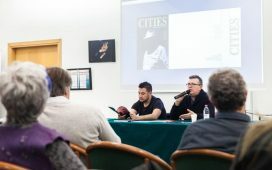 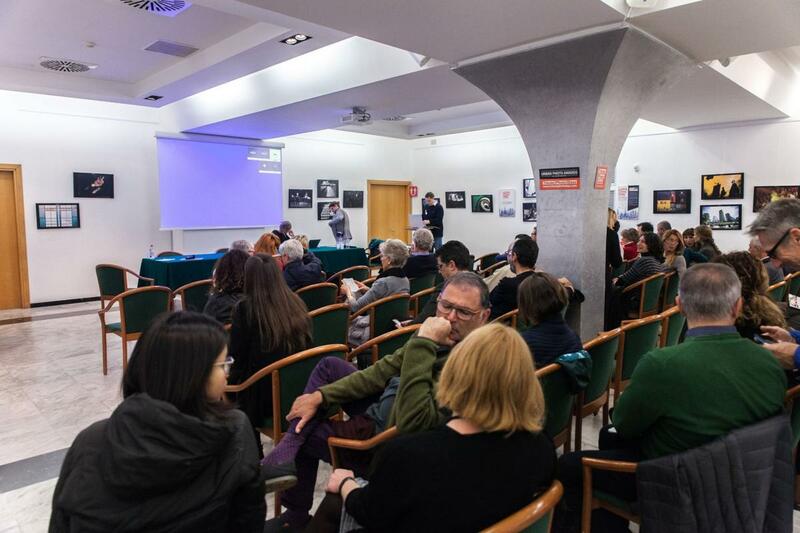 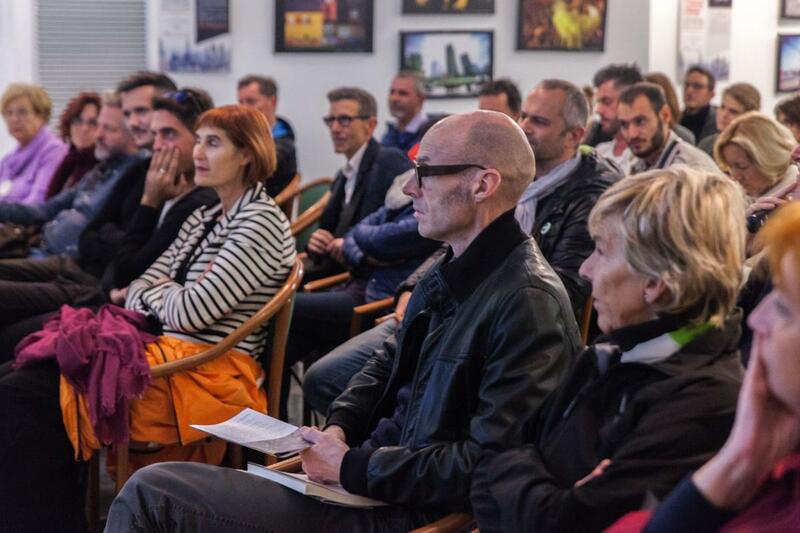 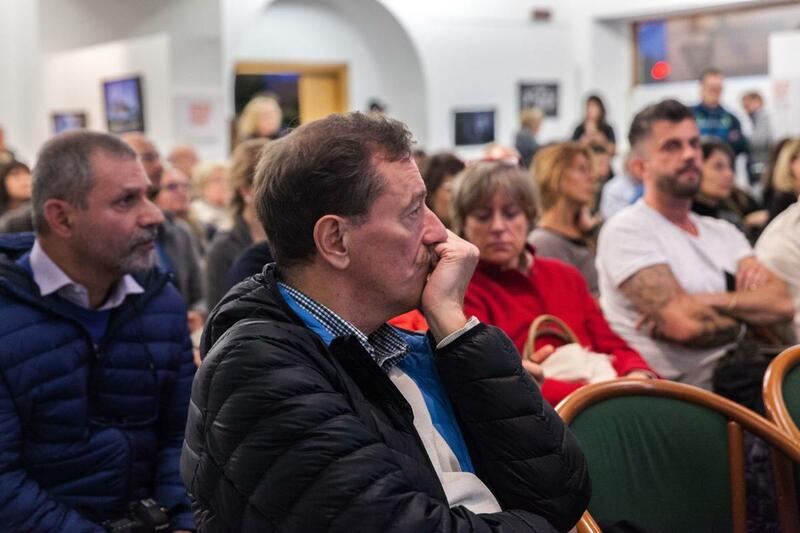 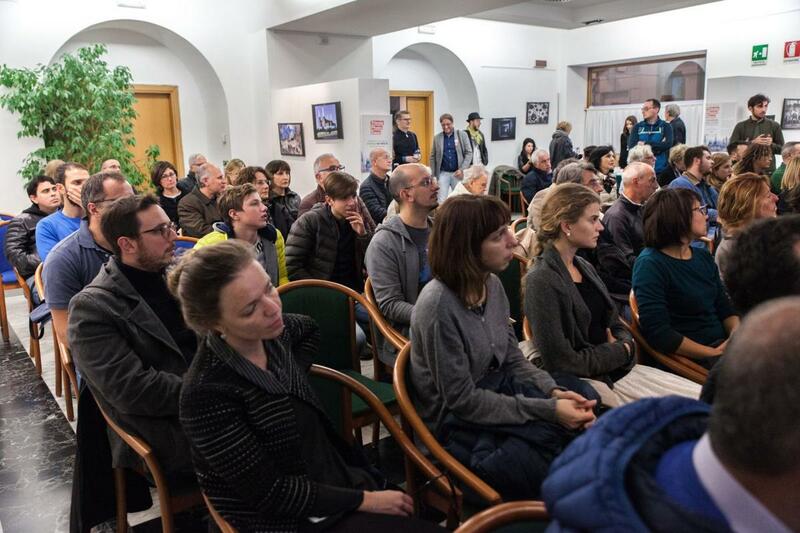 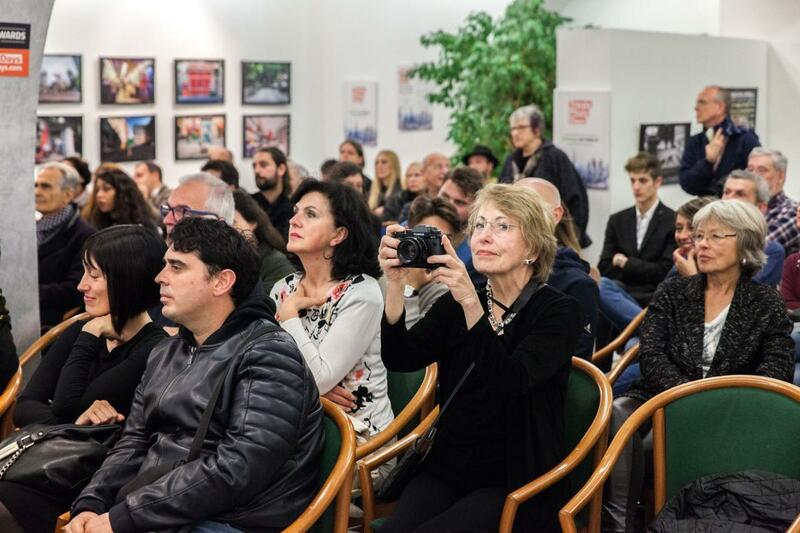 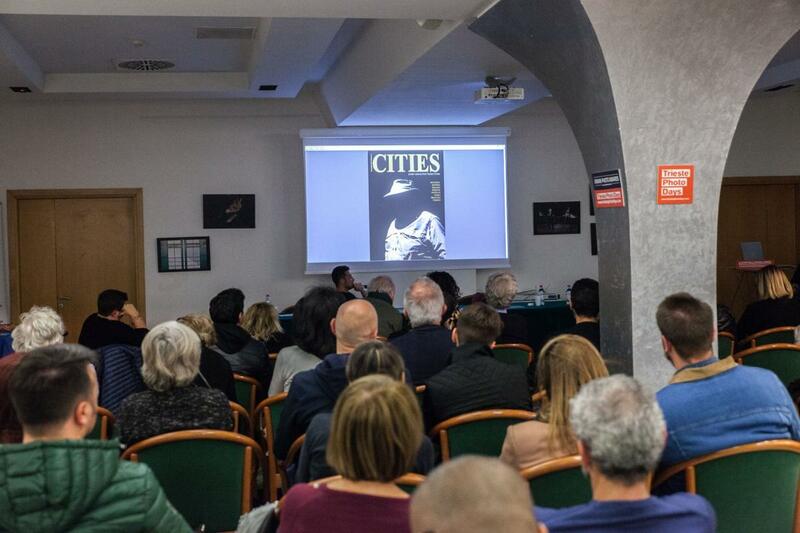 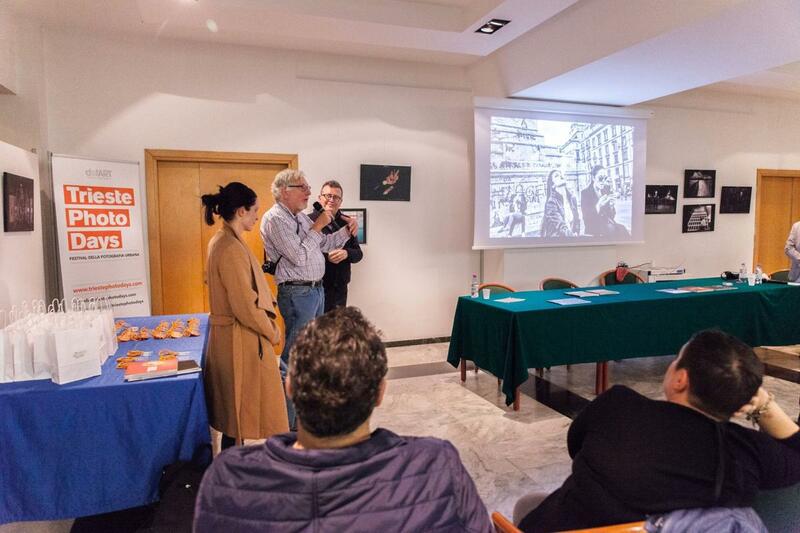 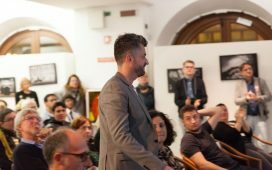 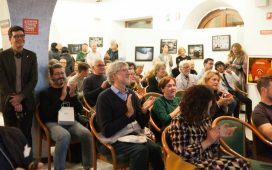 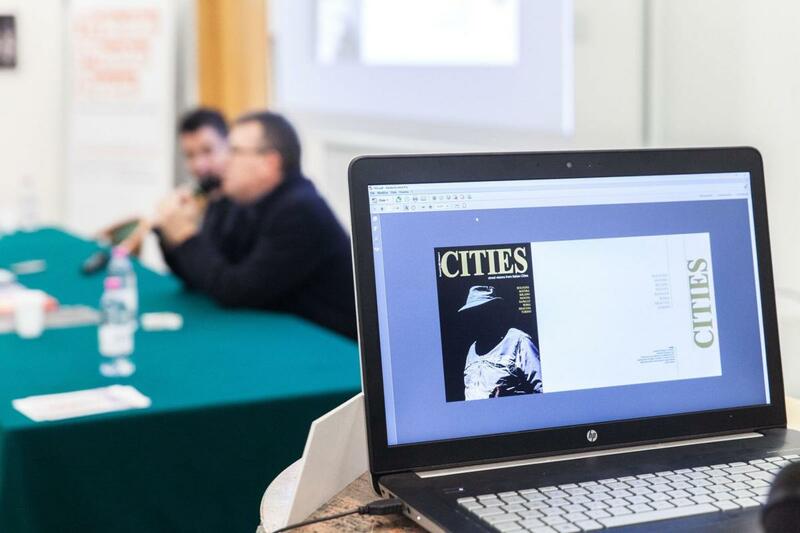 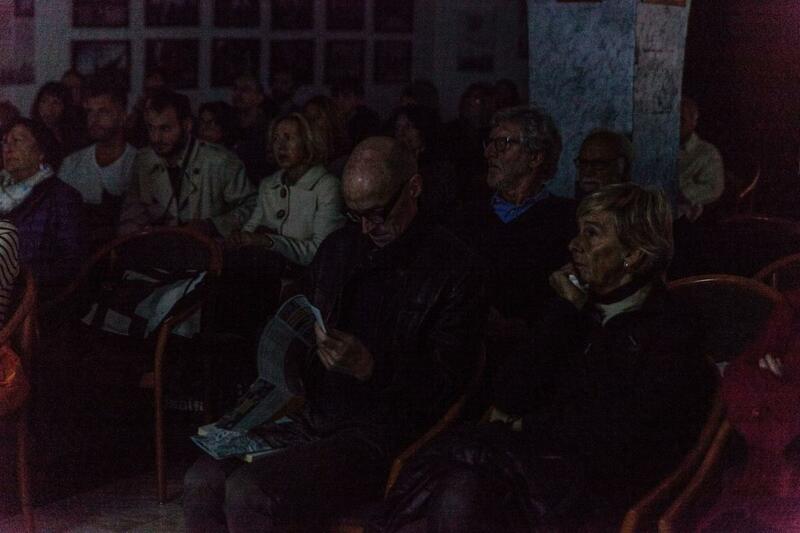 At 5.30 pm in the Sala del Giubileo Monika Bulaj will hold the conference “Le Strade di Kabul” , while at 6.30 Angelo Cucchetto will present a preview of the second issue of “Cities”, fanzine dedicated to Italian street photography, the result of the ISP Experience project. 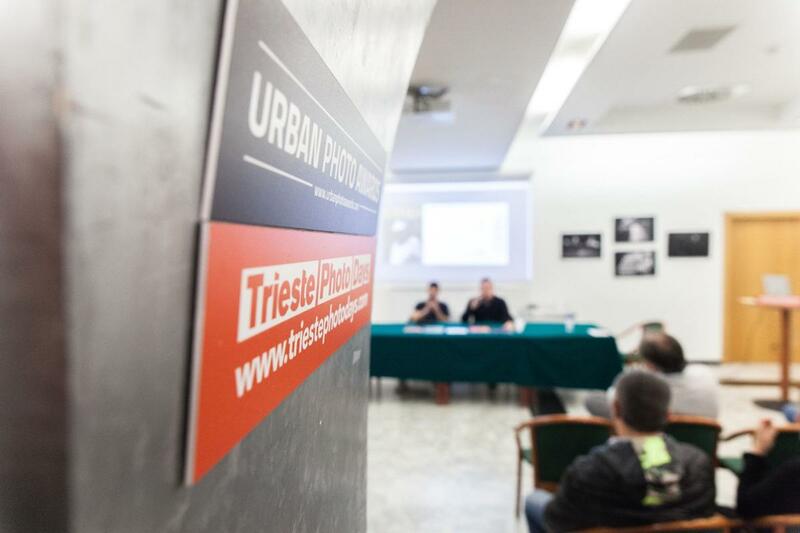 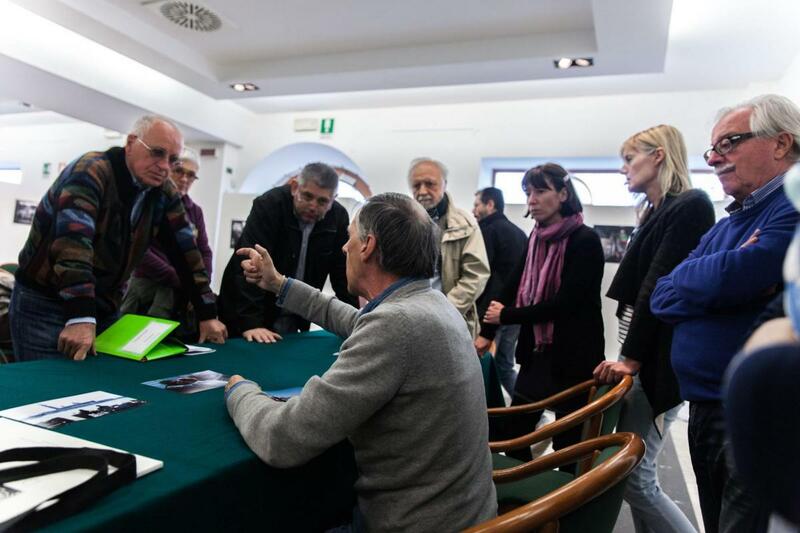 At 7.00 pm Stefano Ambroset and Roberto Srelz will present the photographic book “URBAN unveils the city and his secrets – Vol. 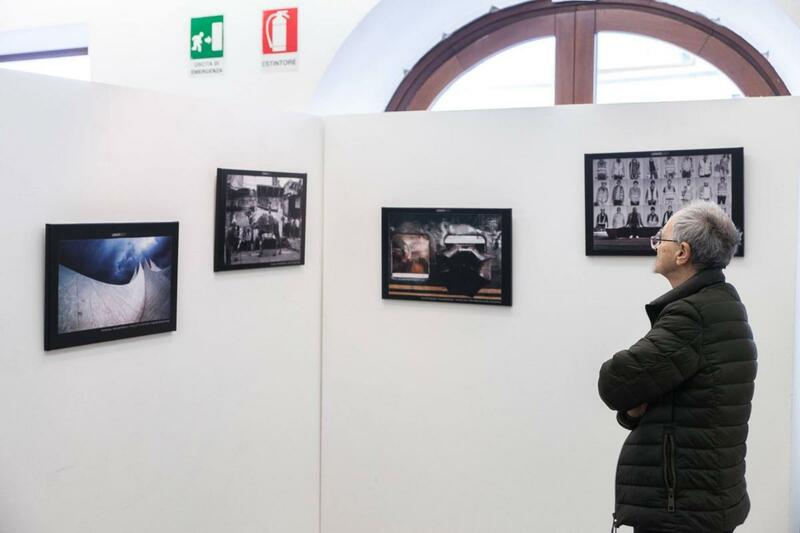 03” , which contains a selection of the best photos classified in the URBAN 2017 photo competition, and the photographic project “Urban & Human Empathy” , first photographic project launched by the Exhibit Around platform, focused on human presence immersed in the urban context. 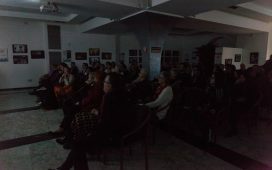 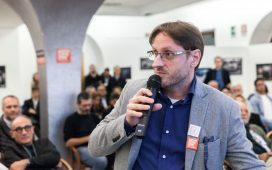 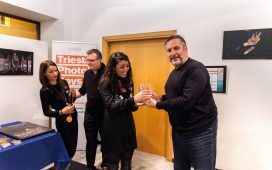 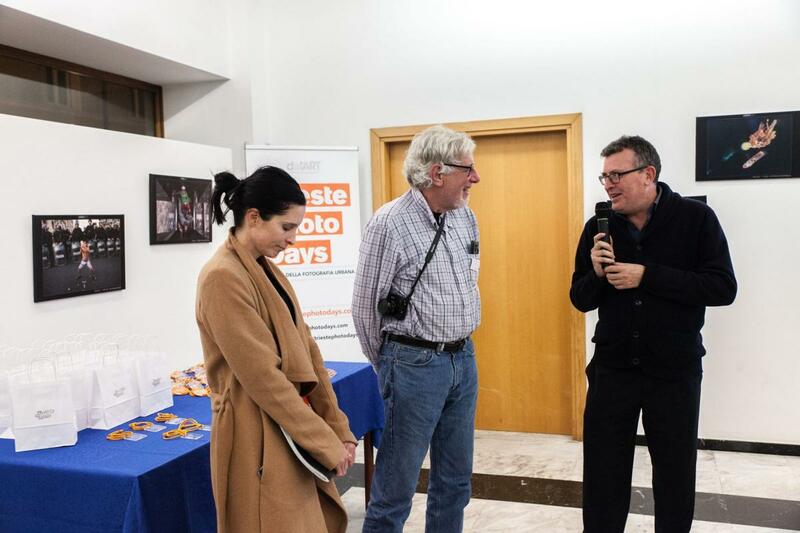 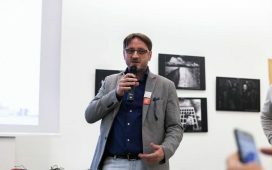 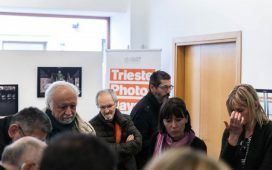 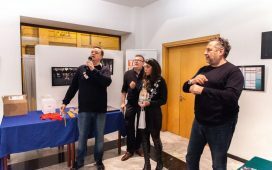 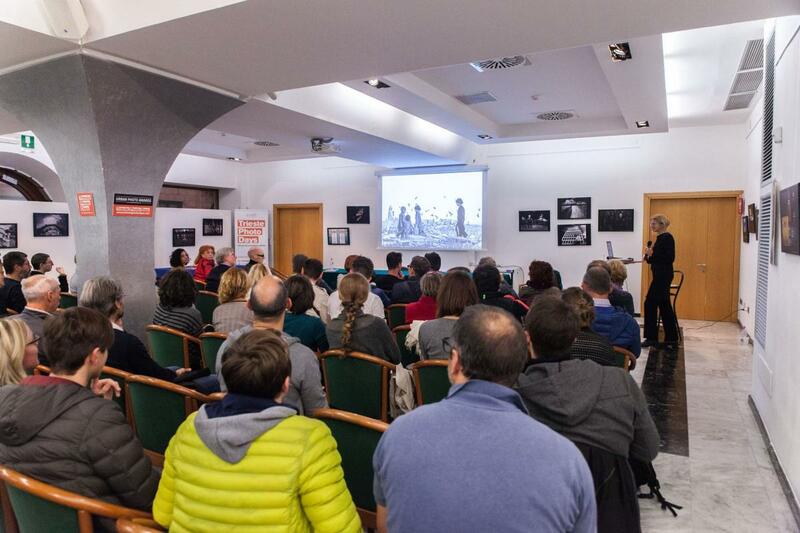 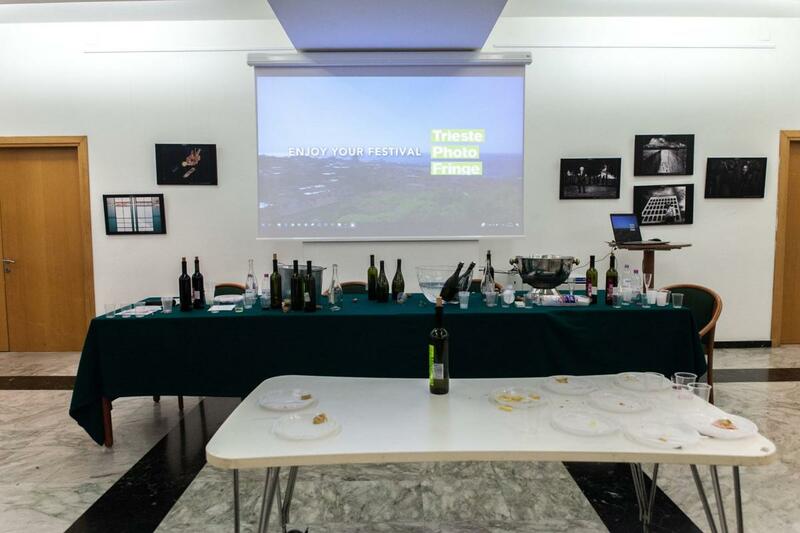 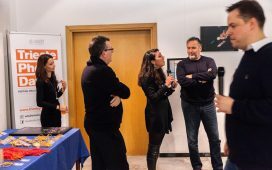 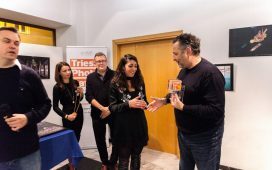 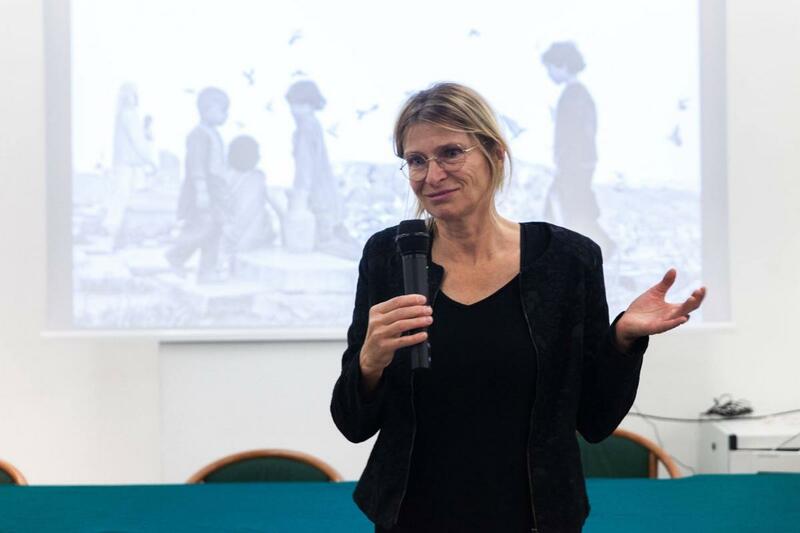 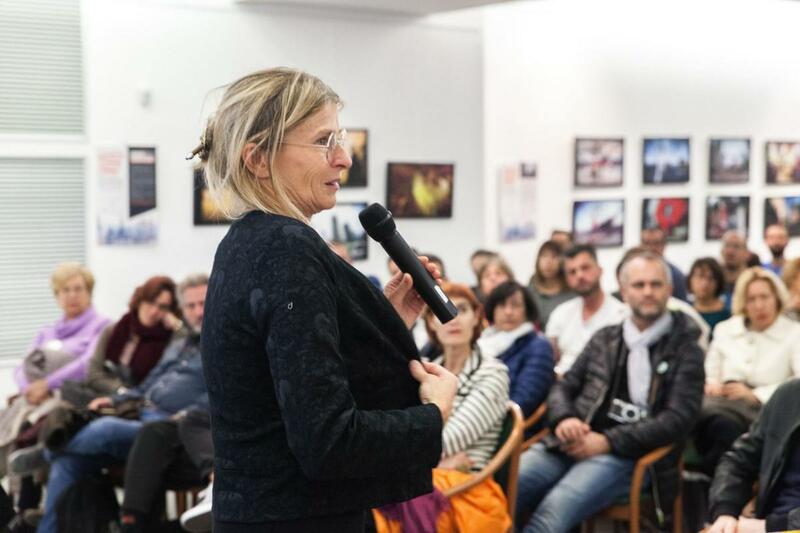 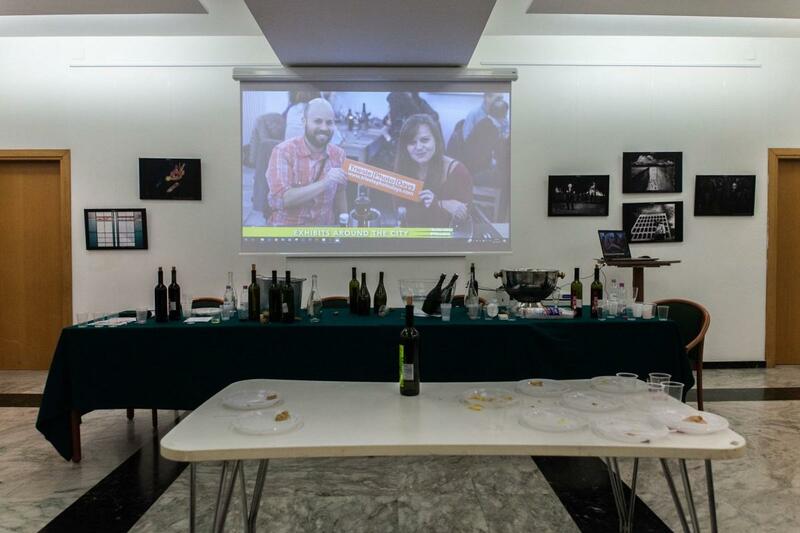 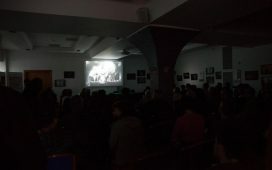 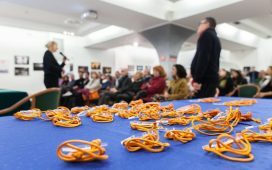 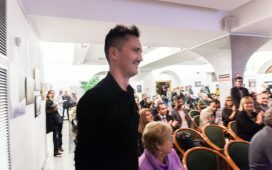 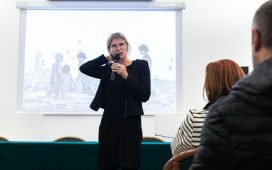 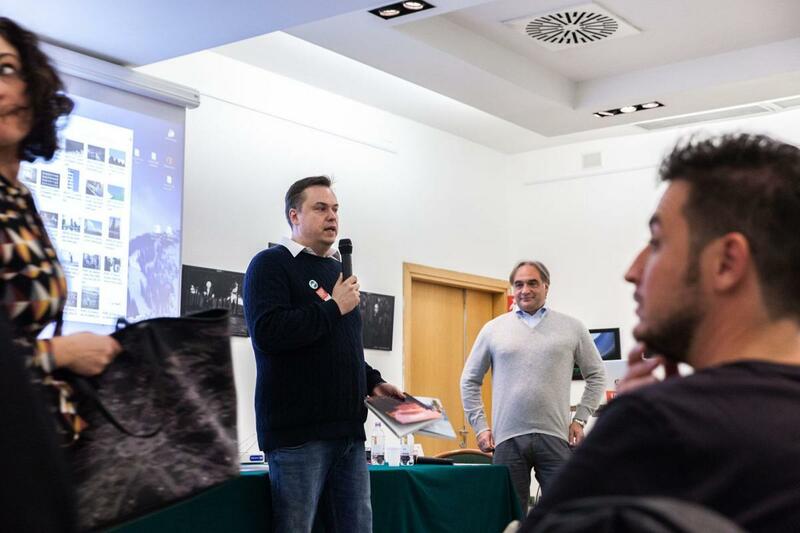 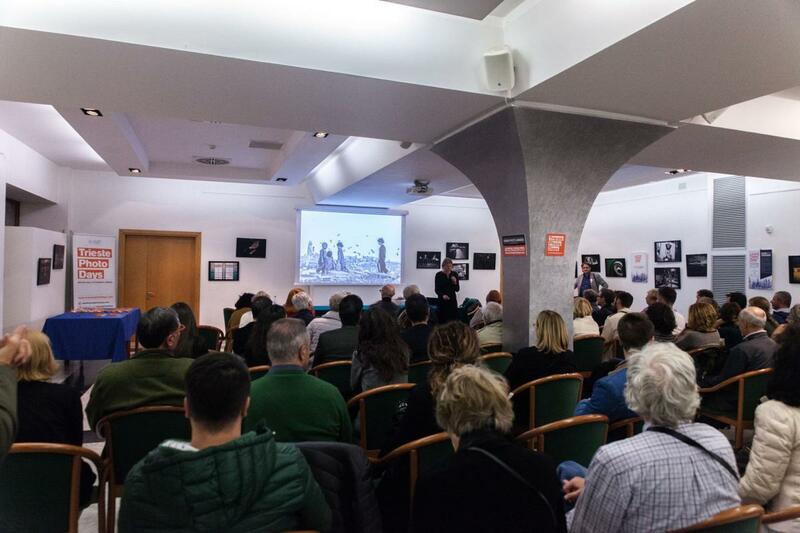 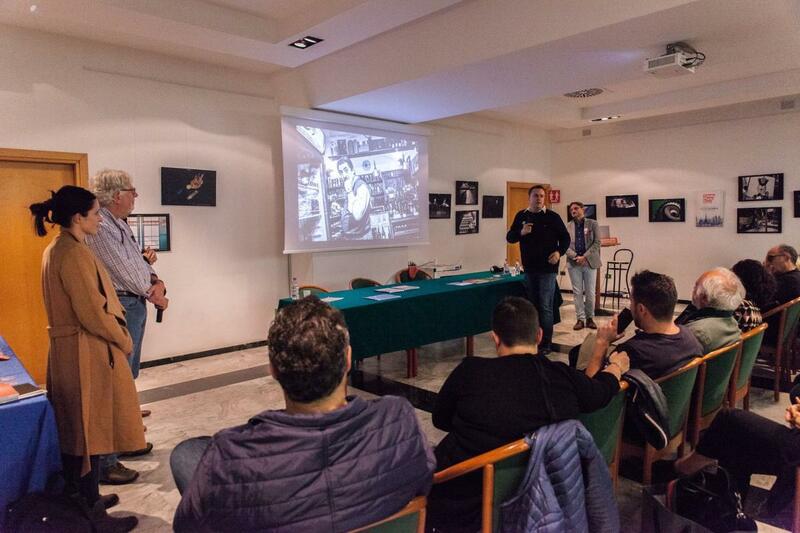 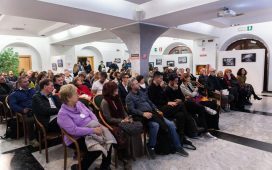 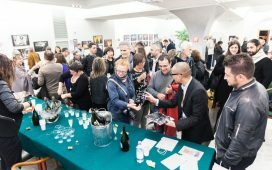 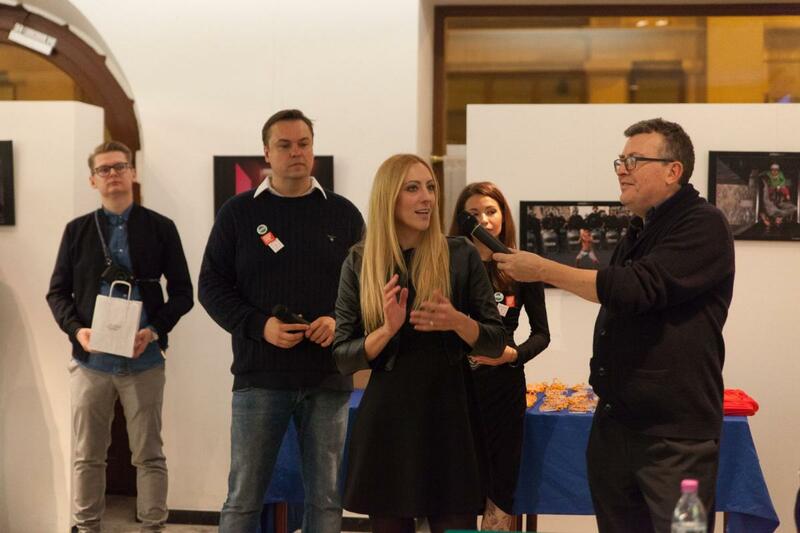 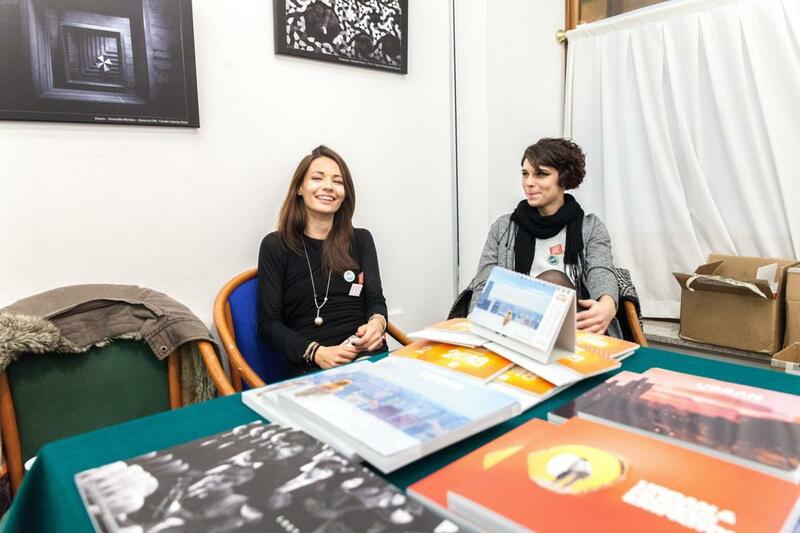 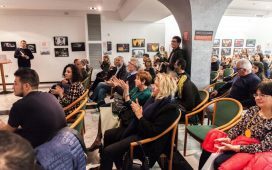 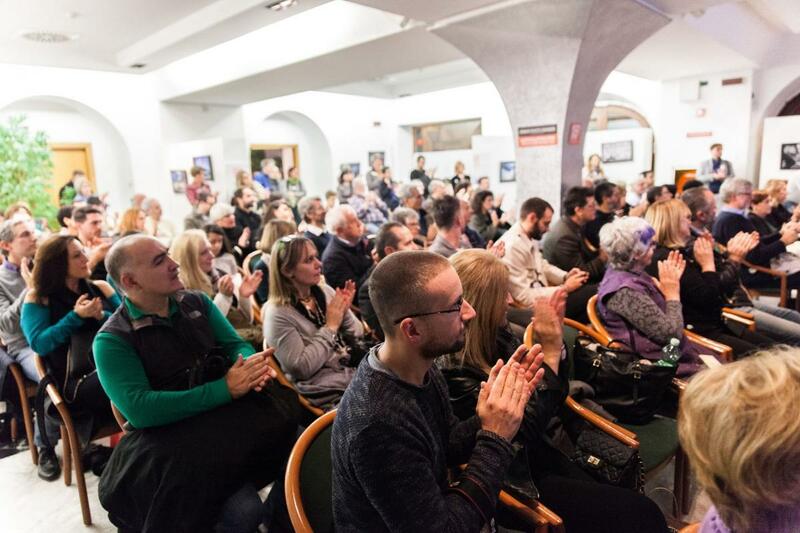 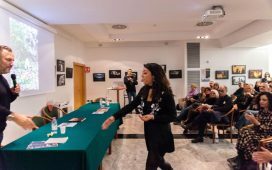 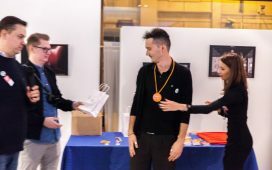 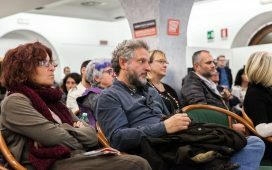 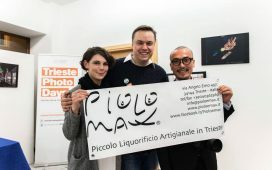 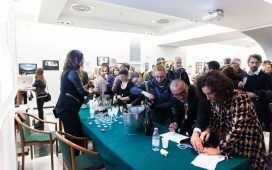 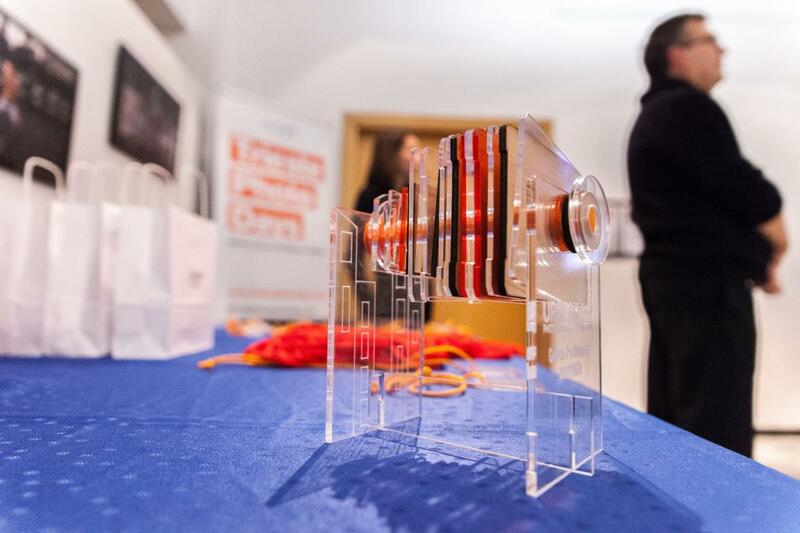 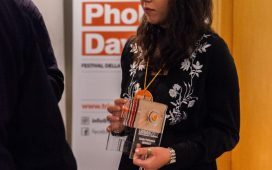 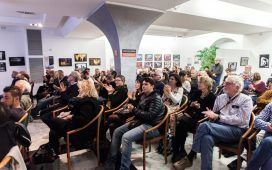 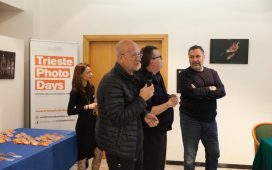 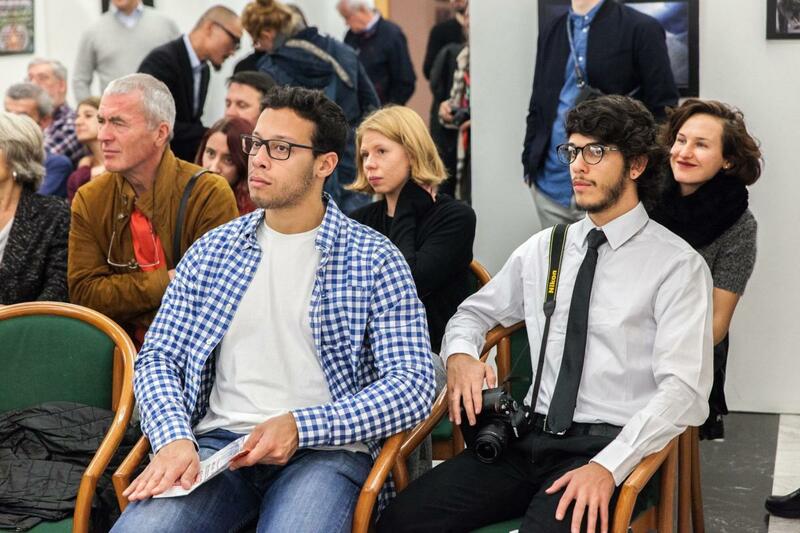 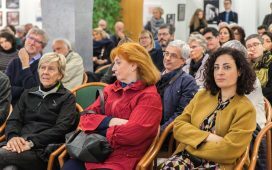 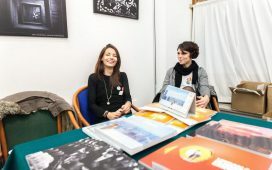 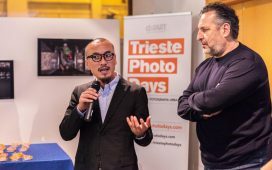 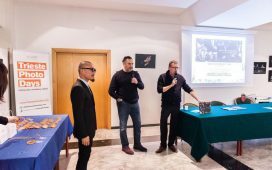 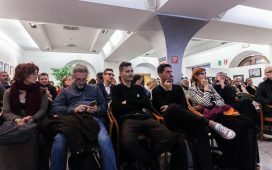 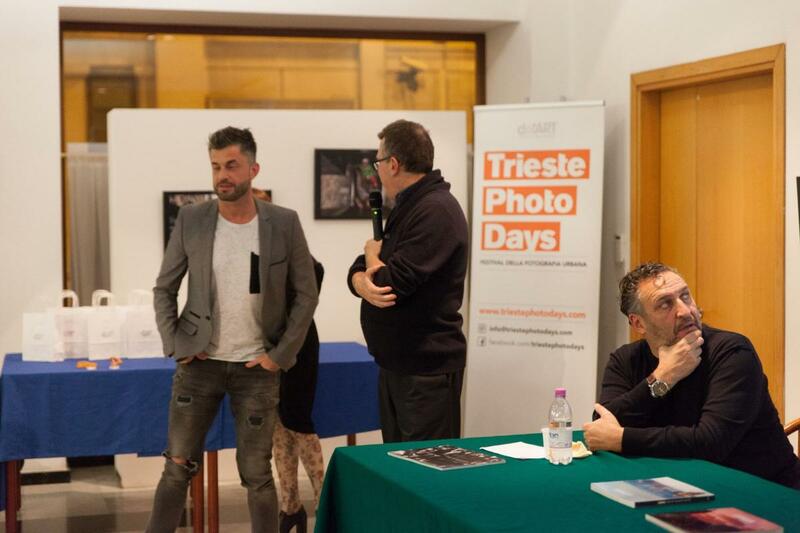 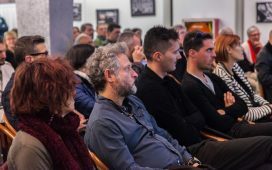 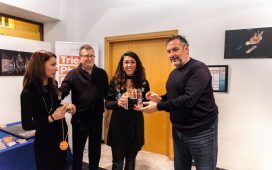 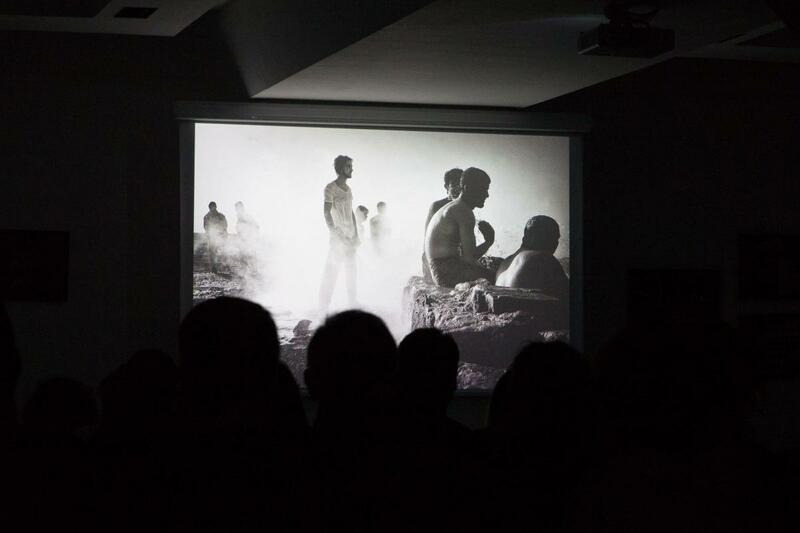 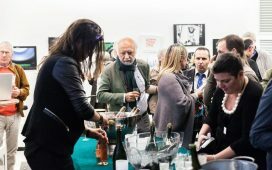 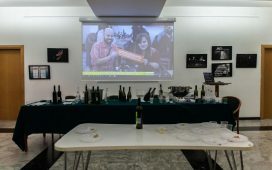 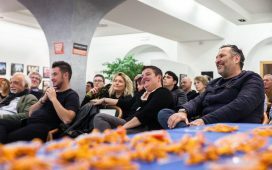 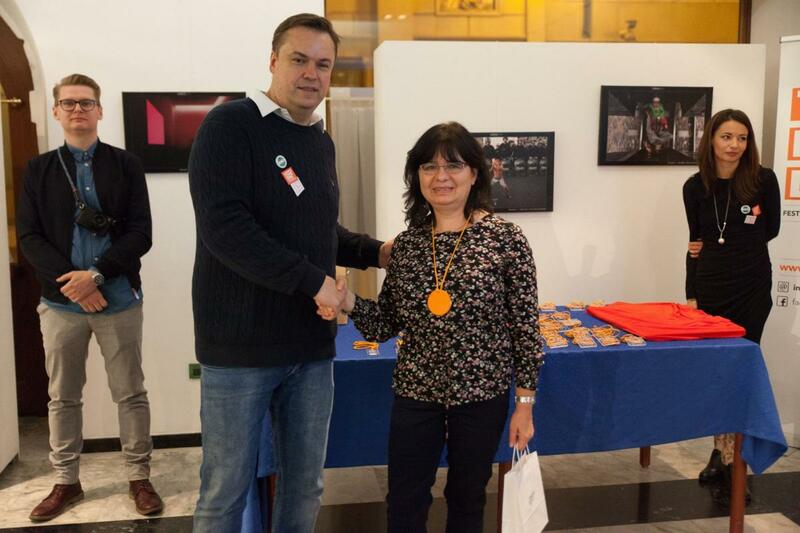 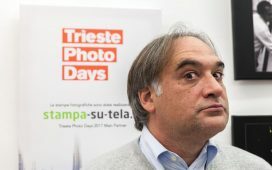 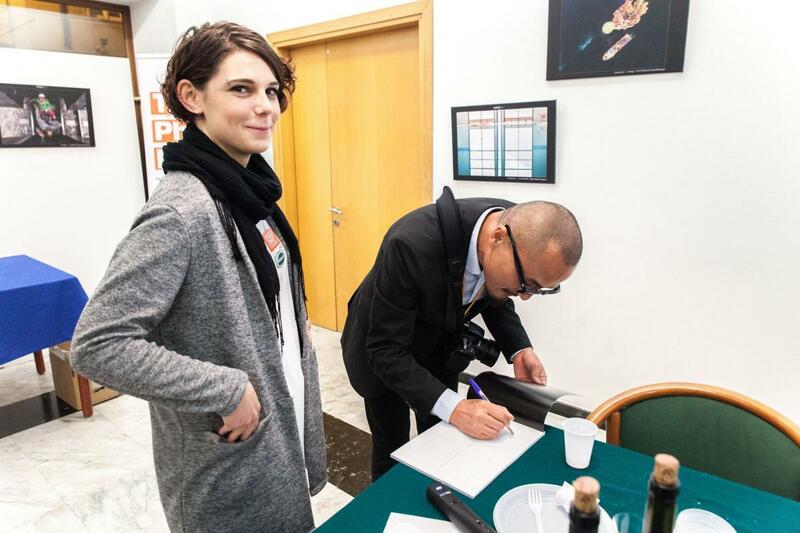 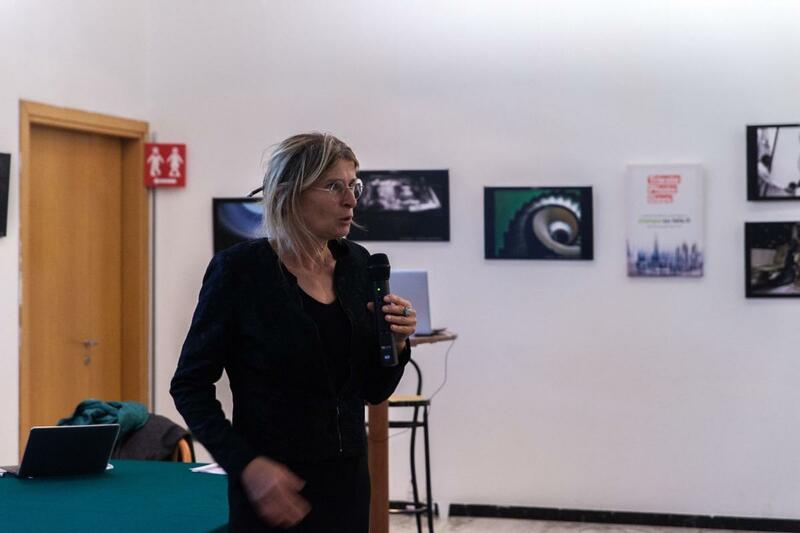 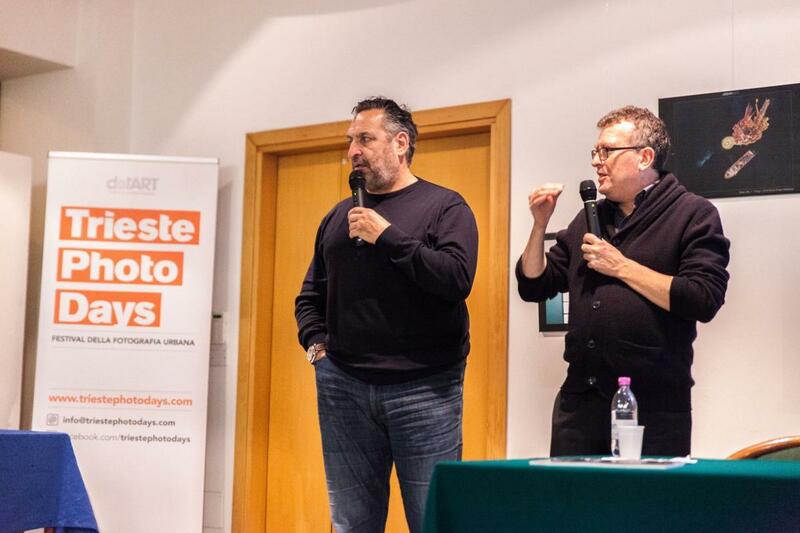 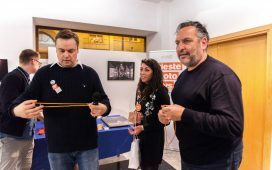 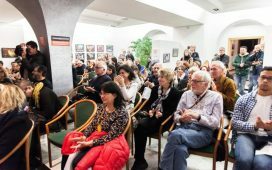 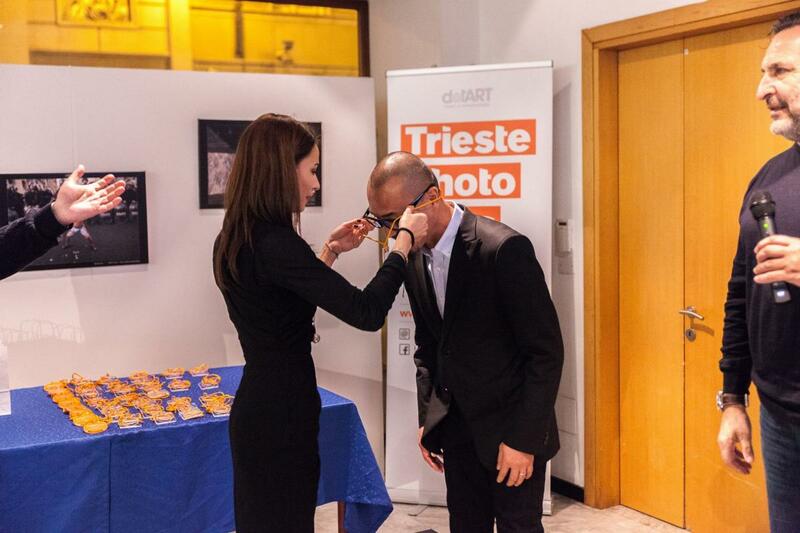 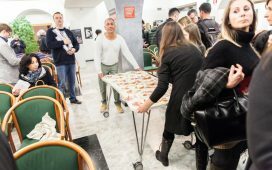 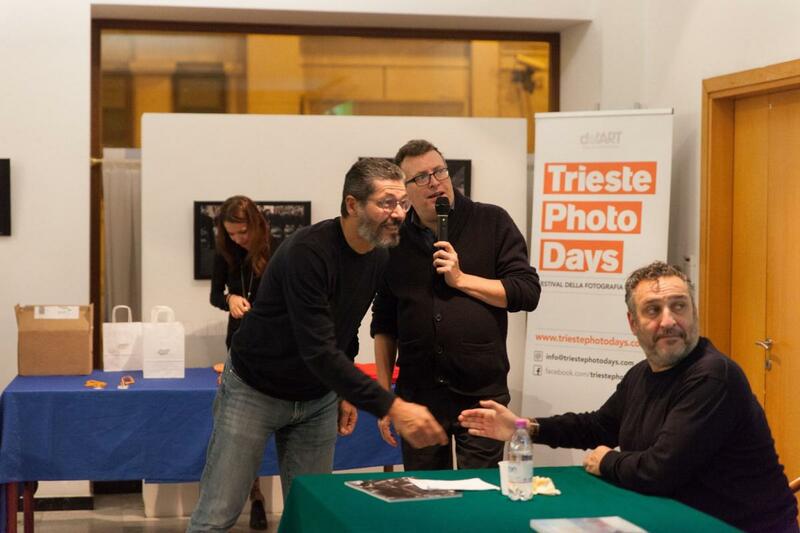 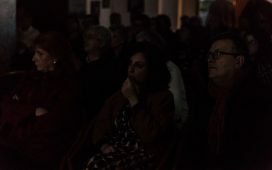 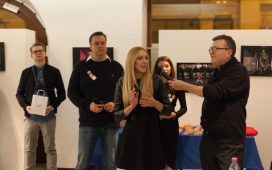 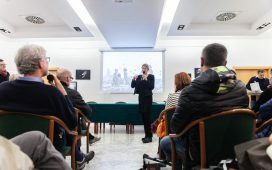 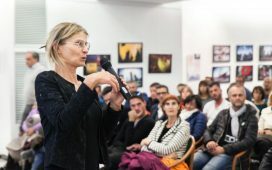 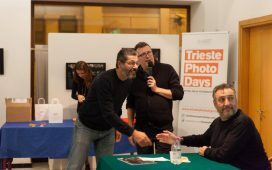 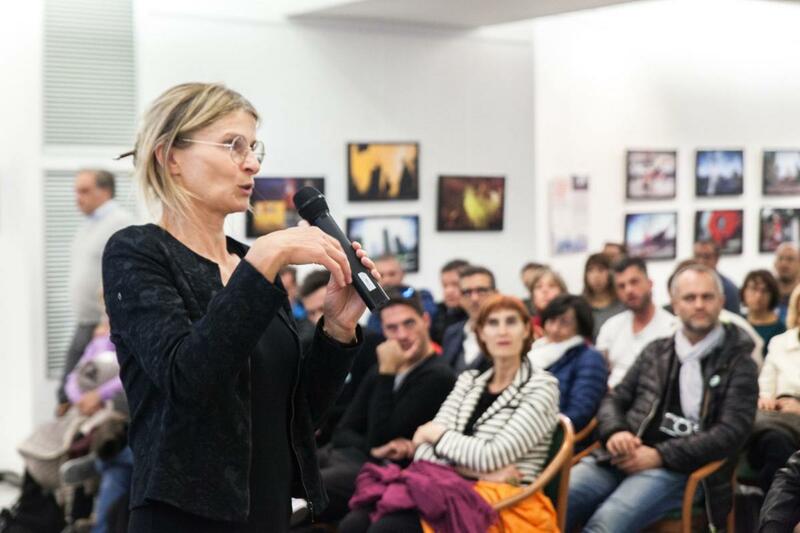 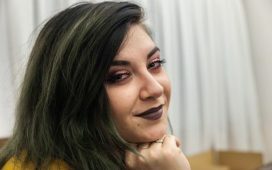 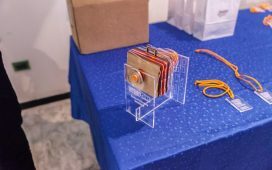 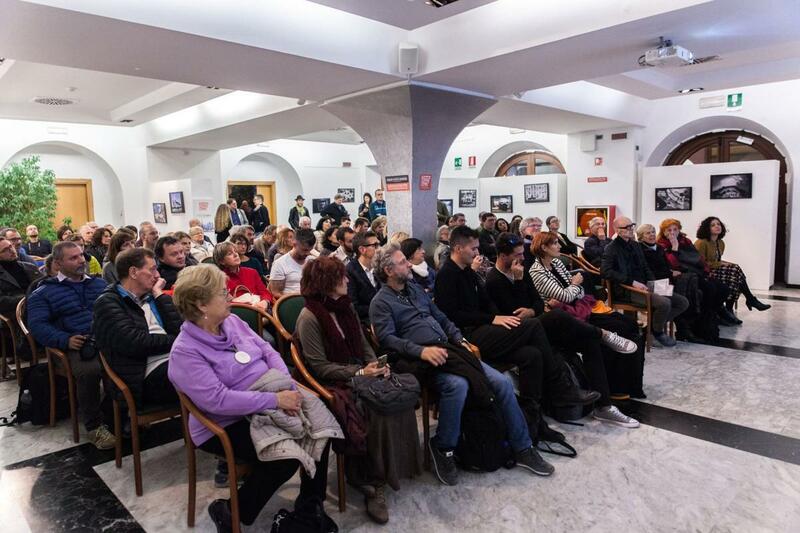 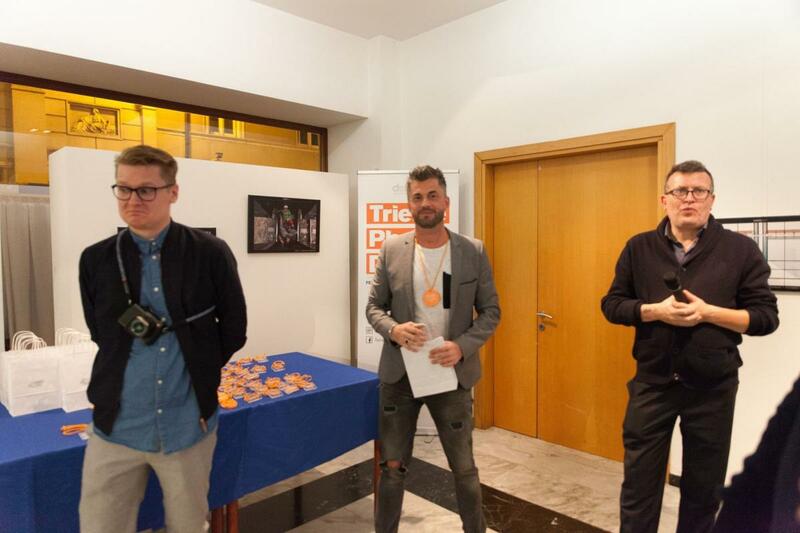 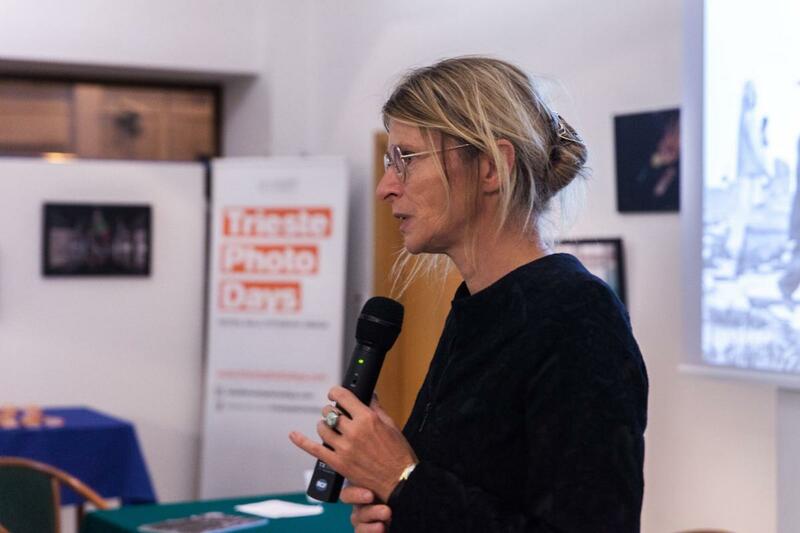 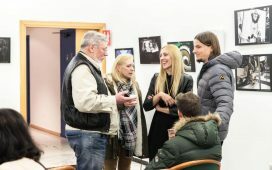 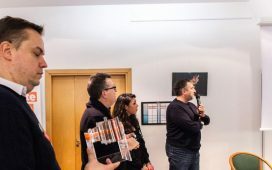 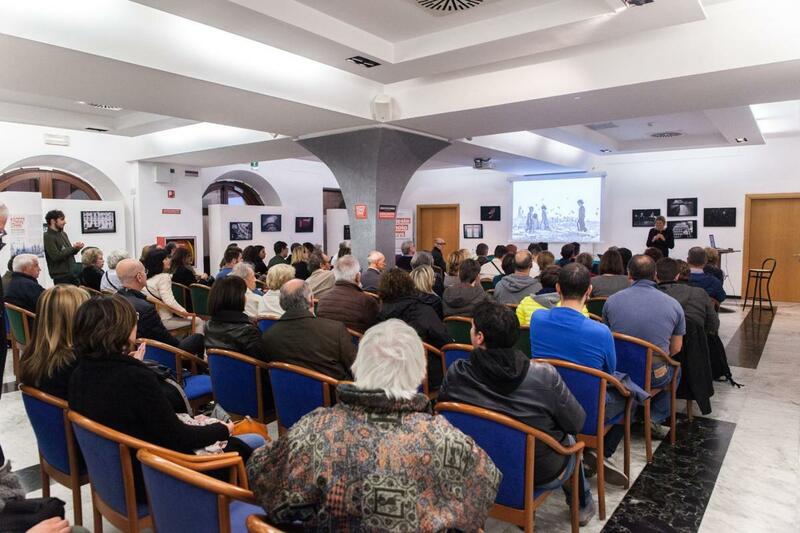 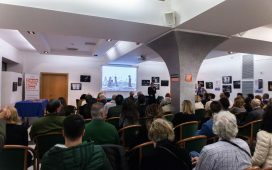 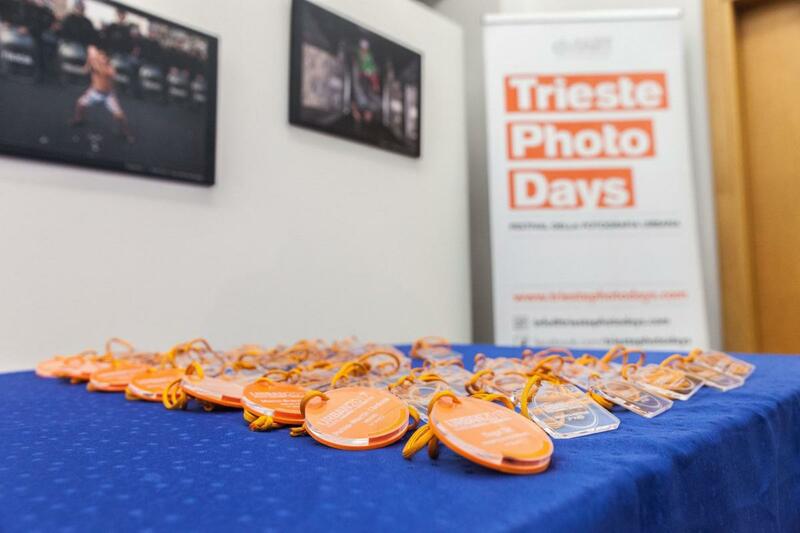 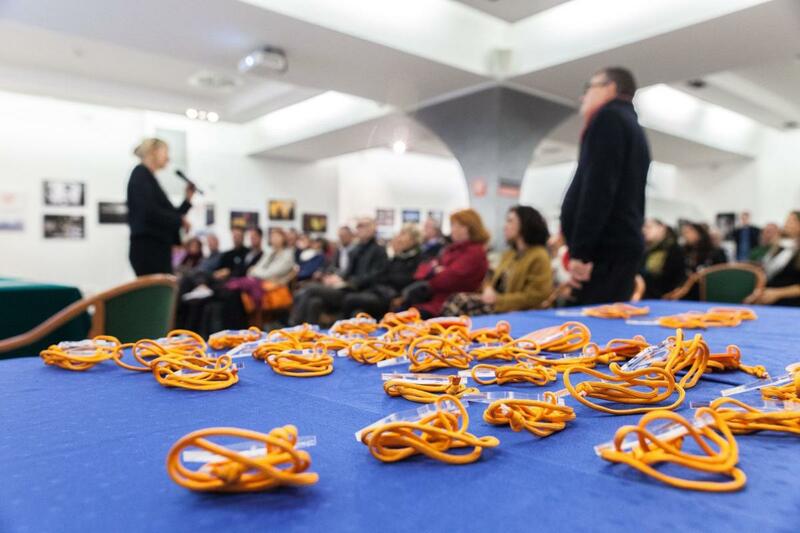 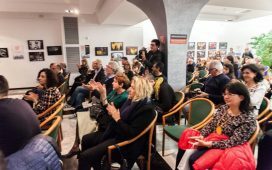 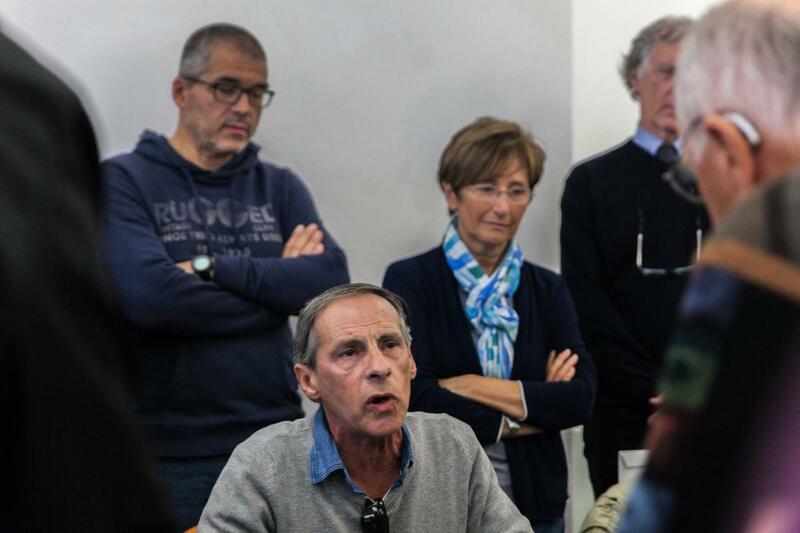 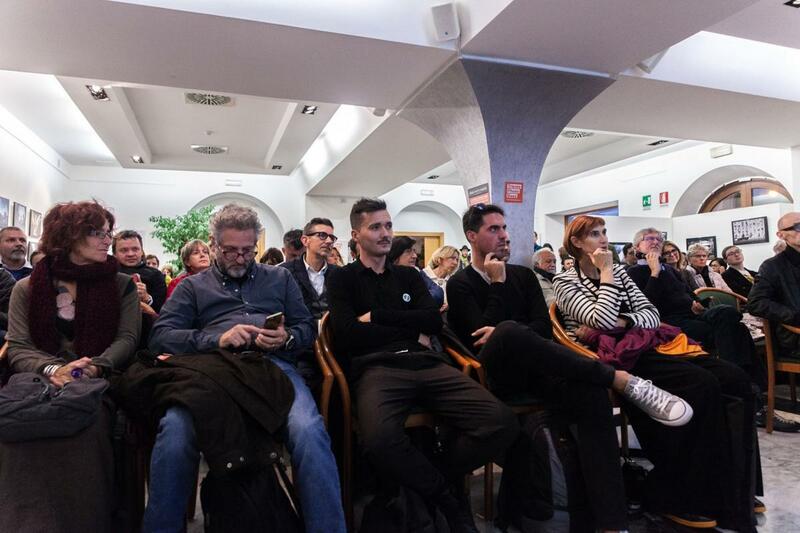 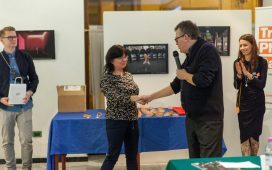 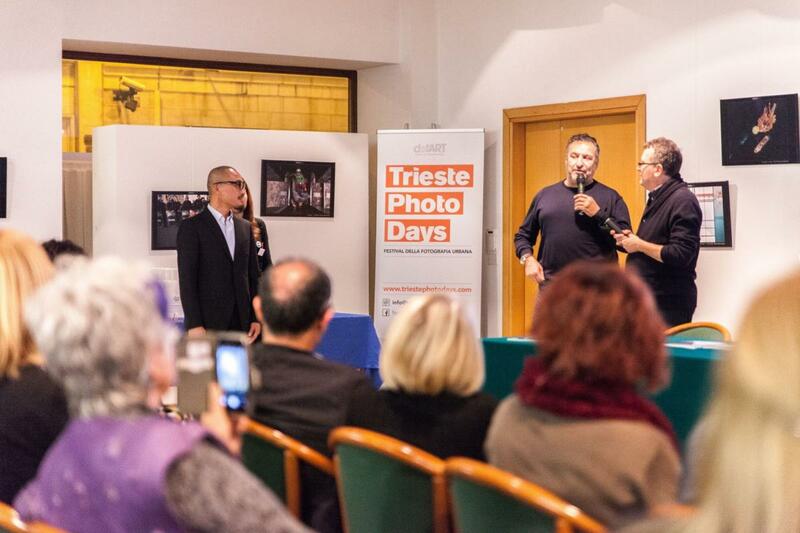 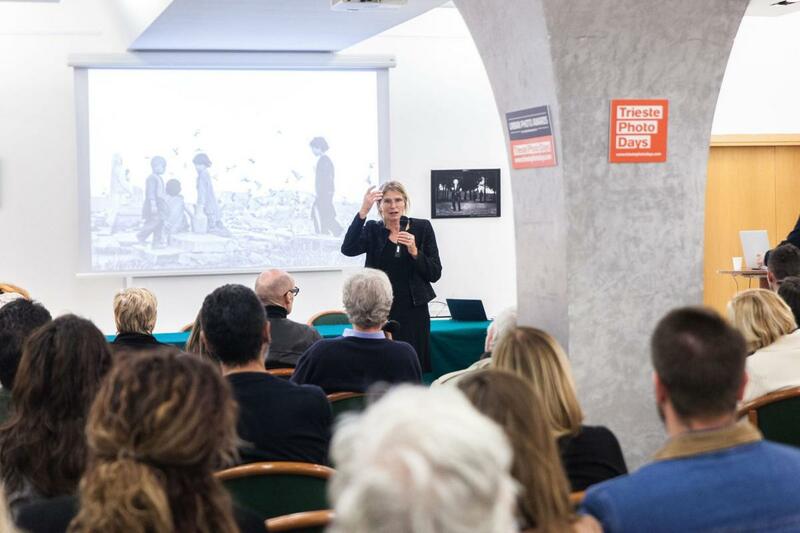 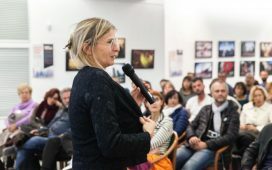 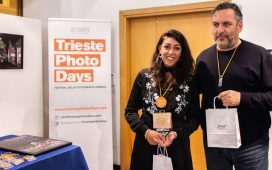 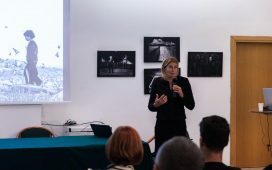 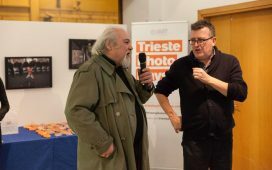 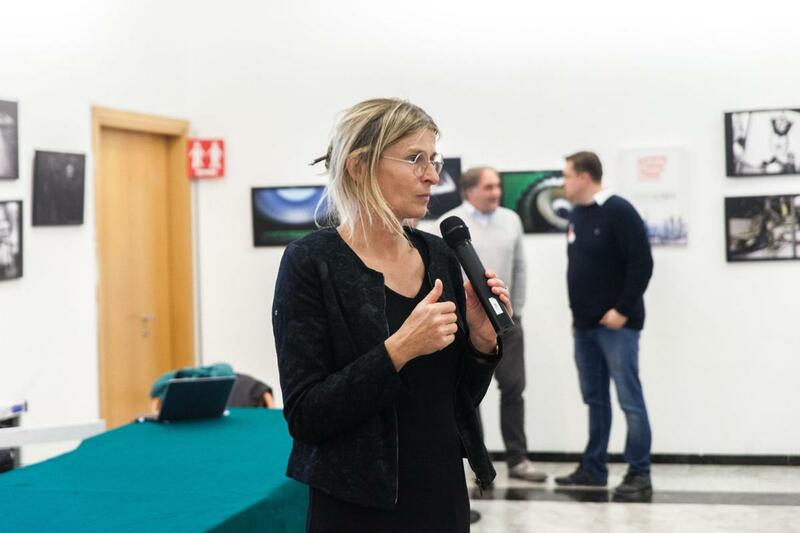 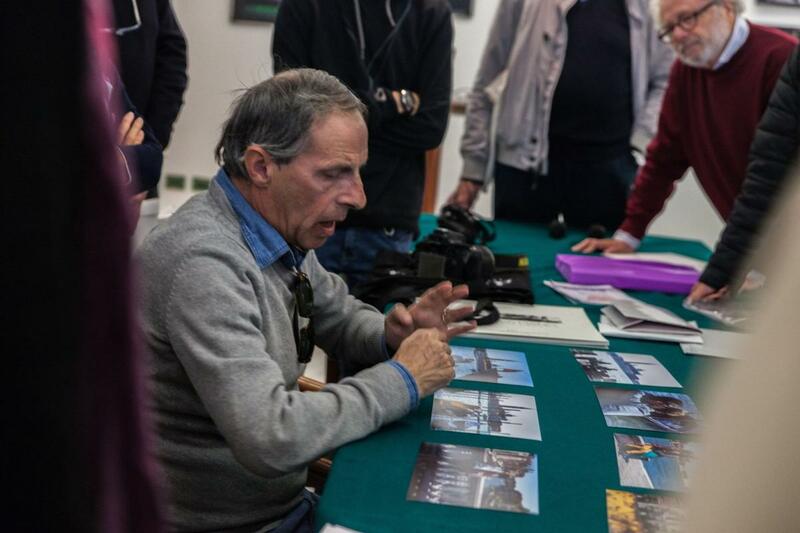 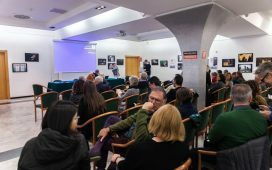 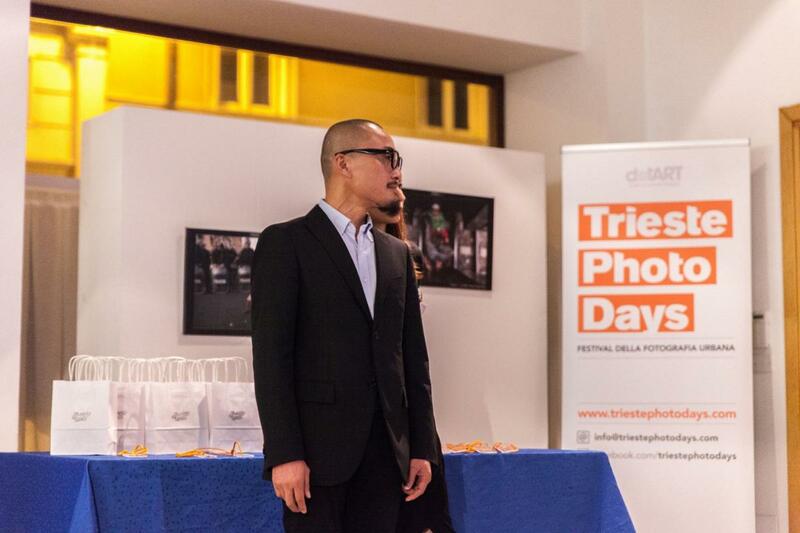 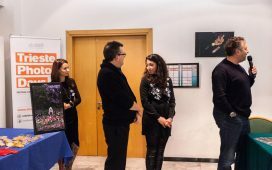 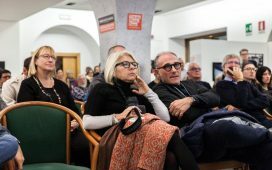 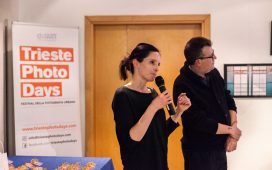 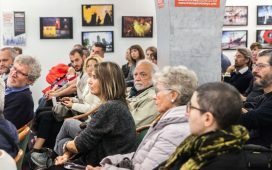 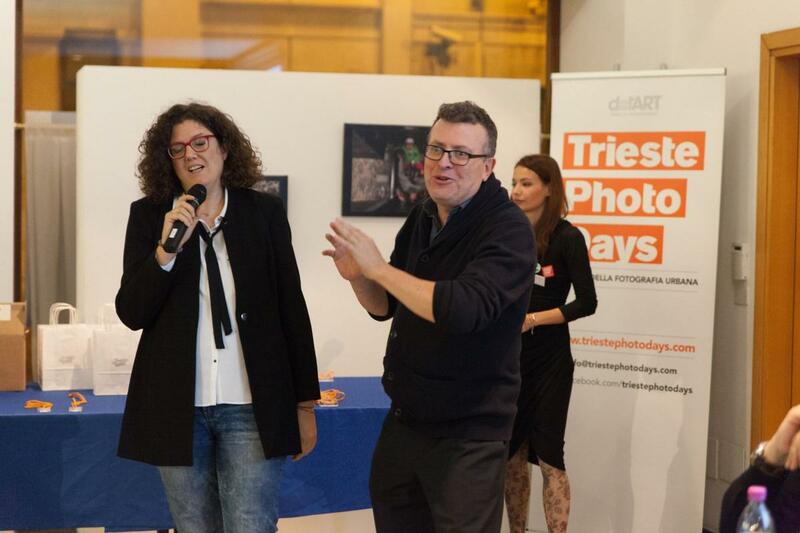 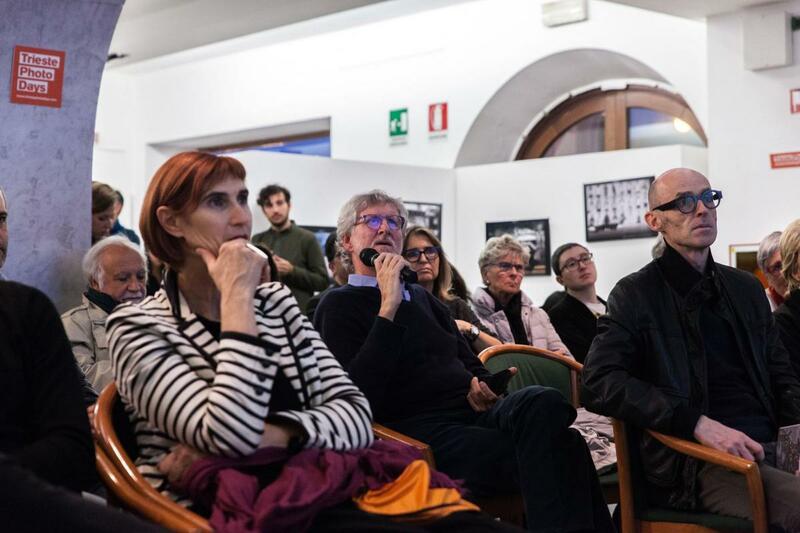 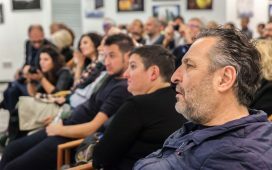 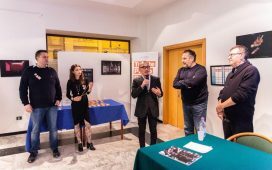 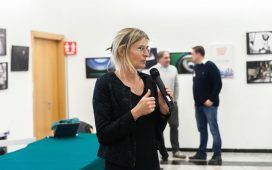 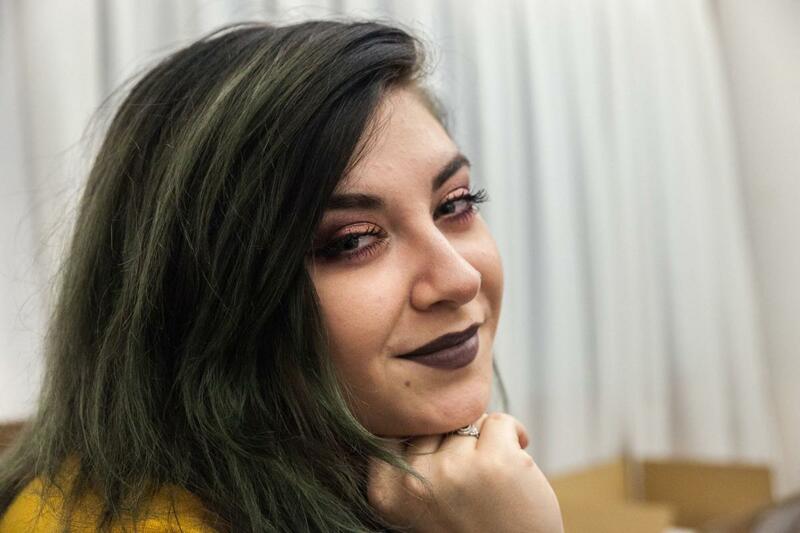 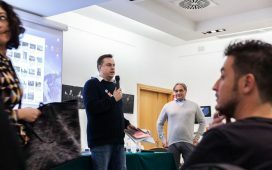 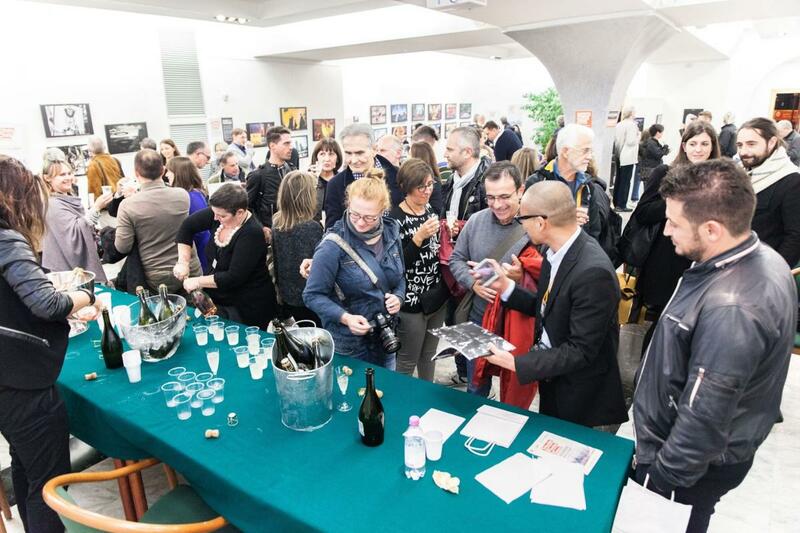 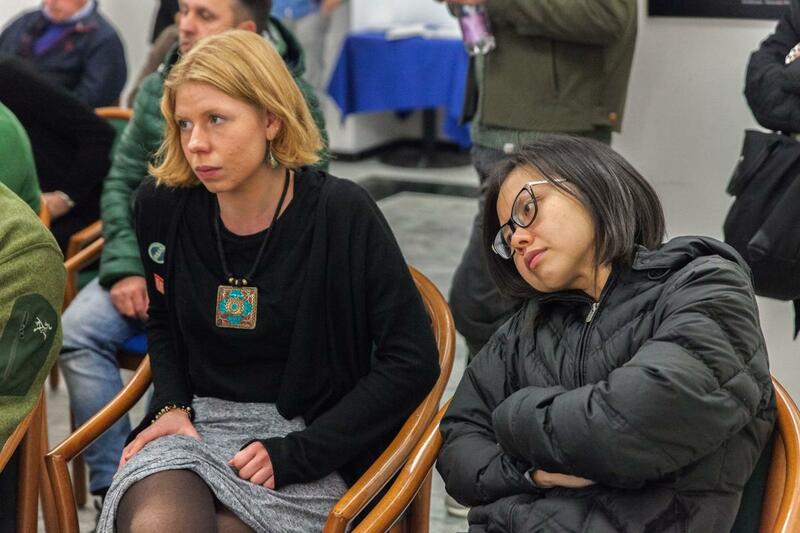 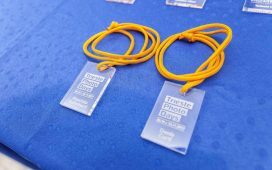 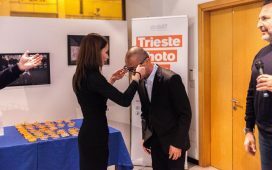 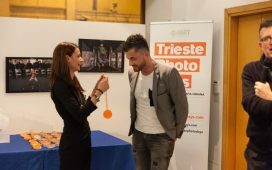 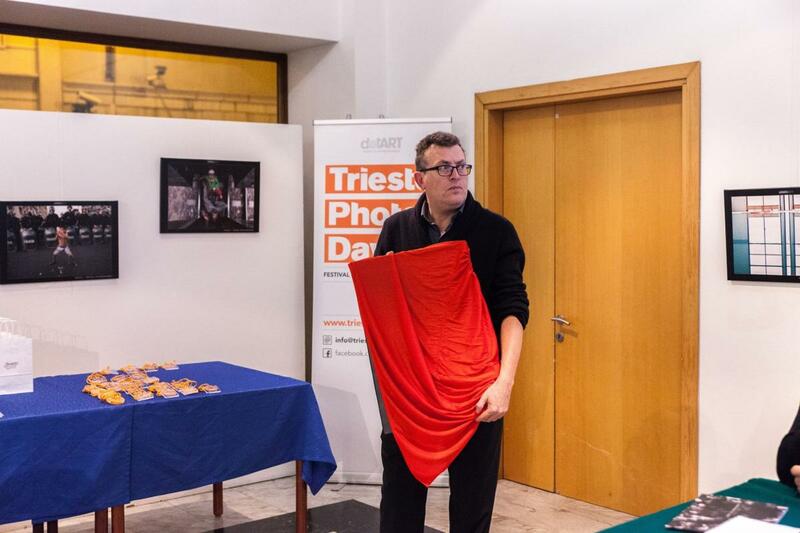 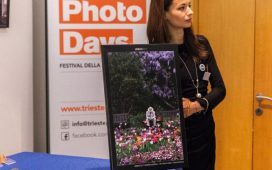 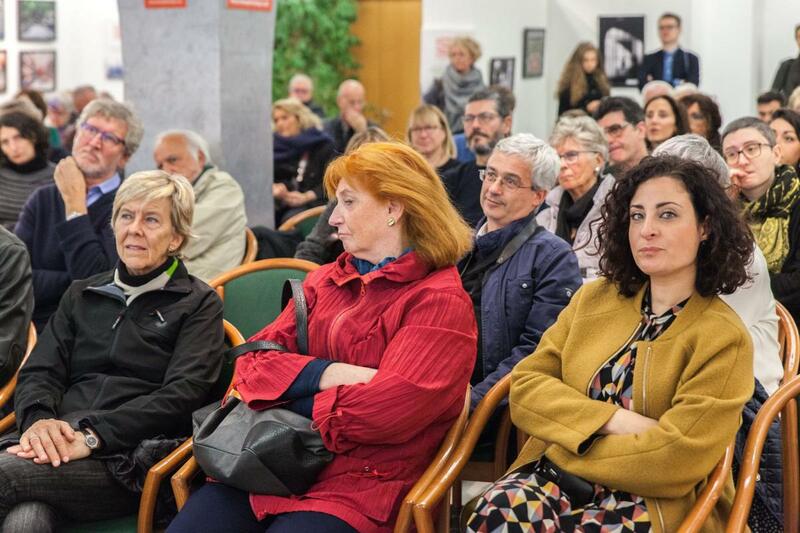 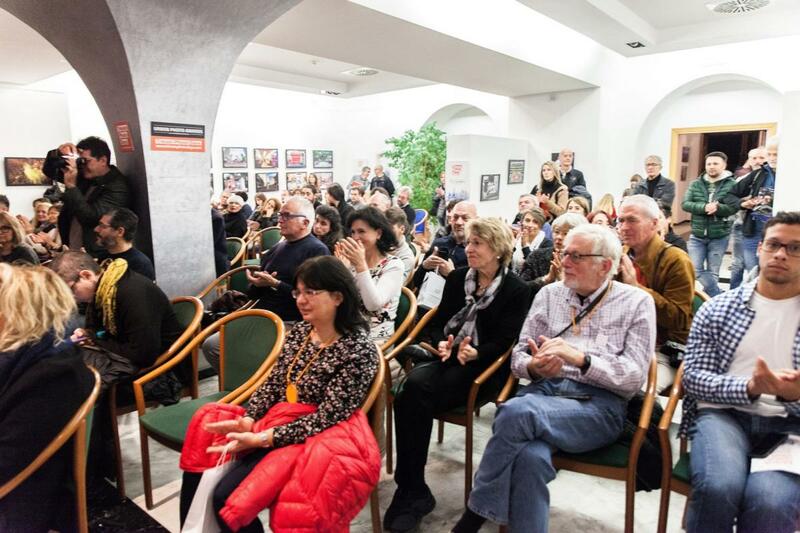 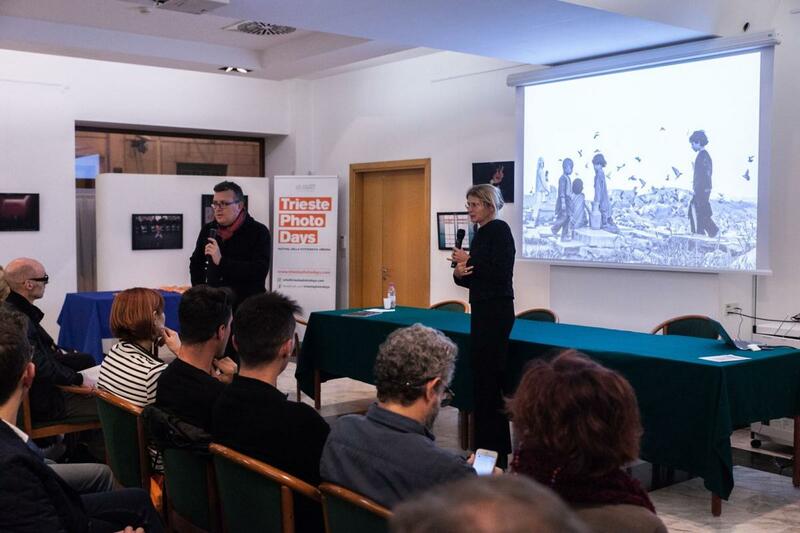 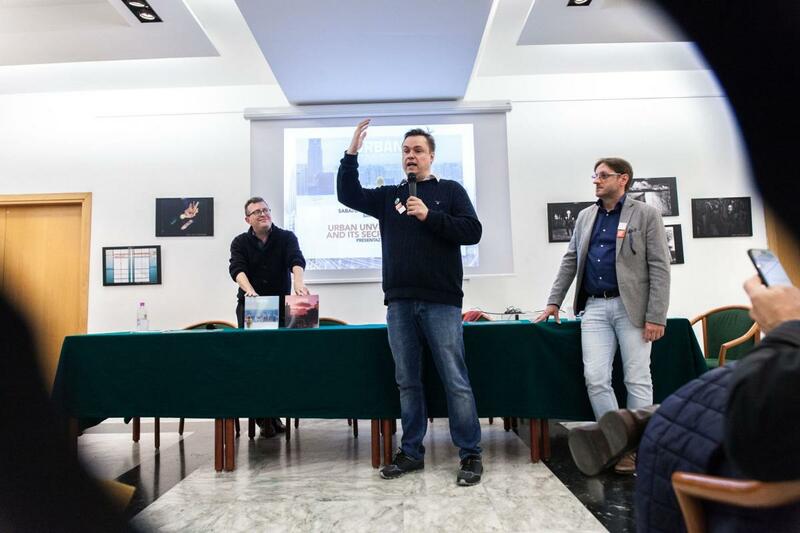 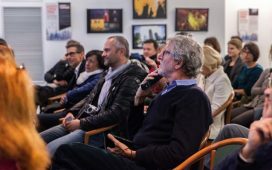 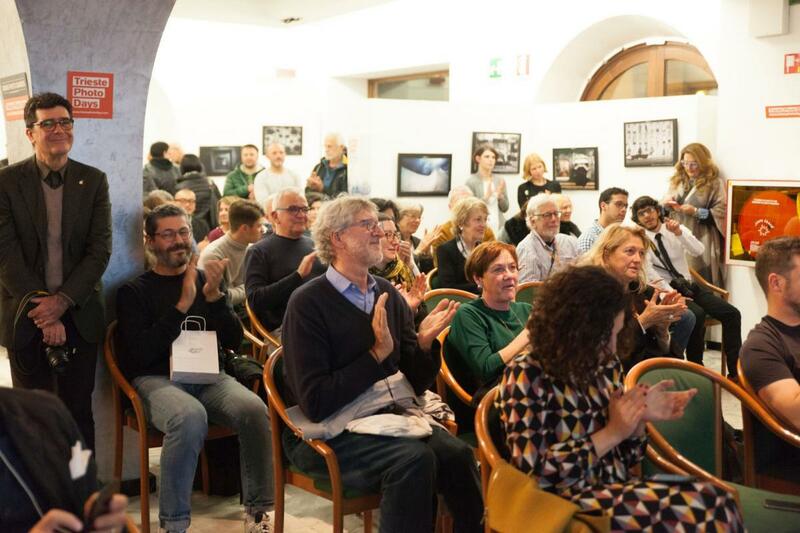 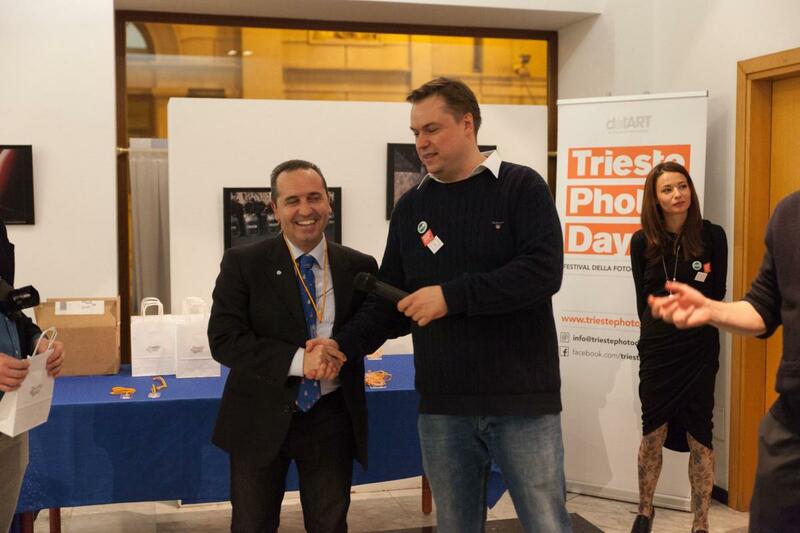 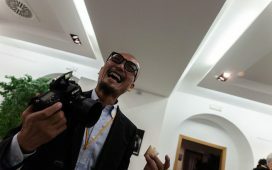 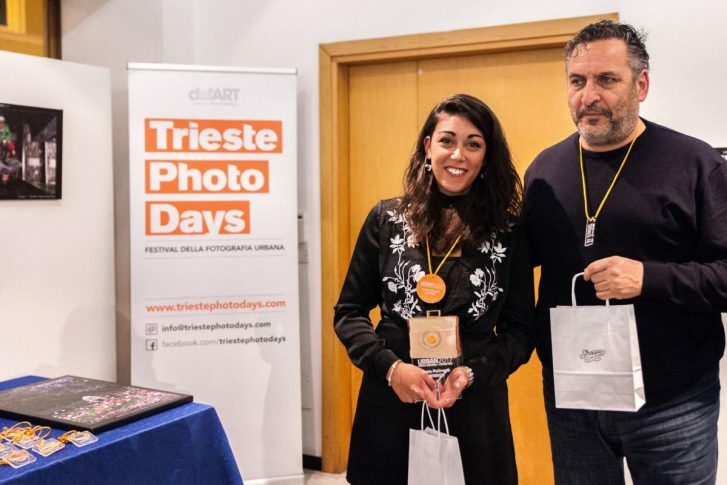 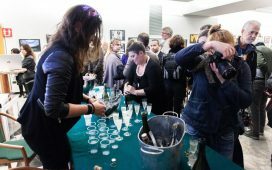 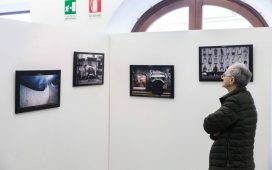 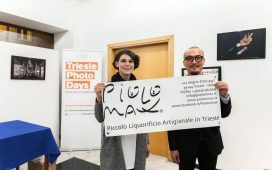 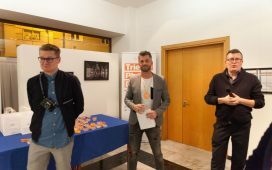 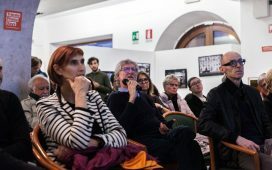 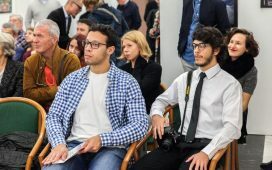 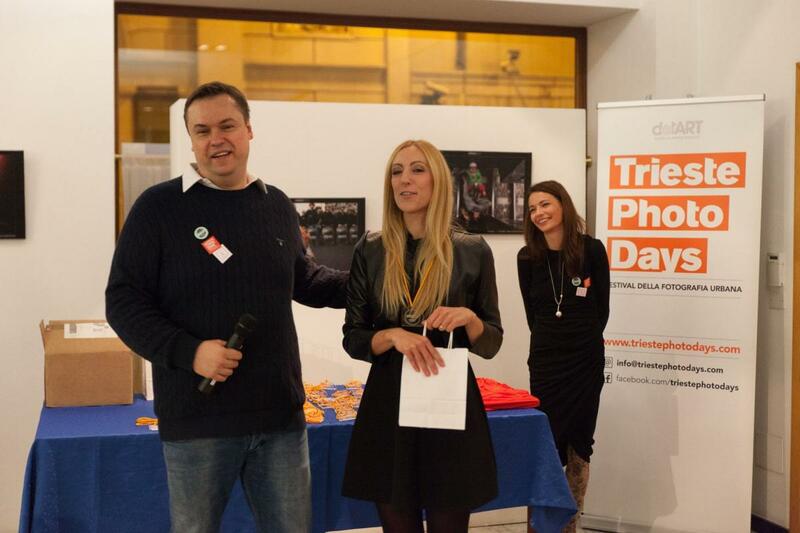 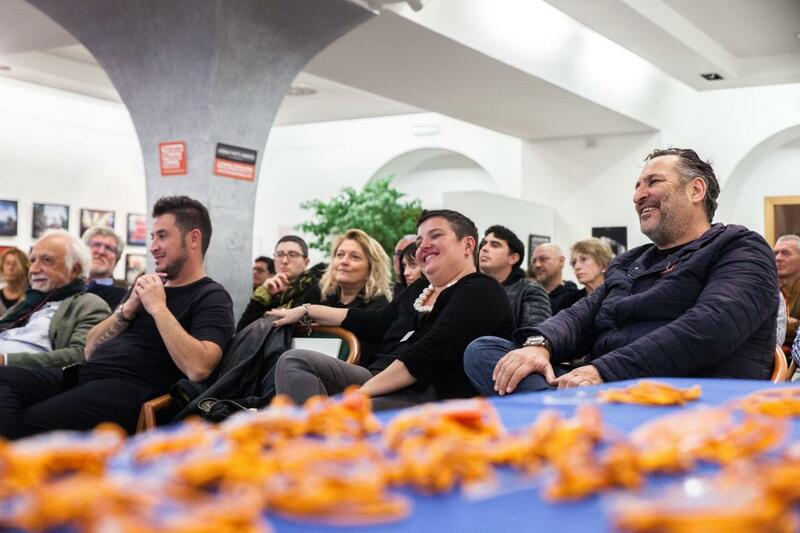 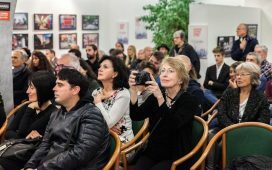 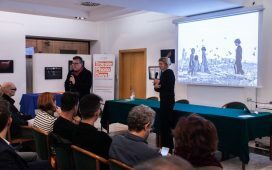 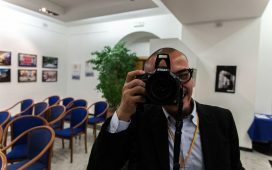 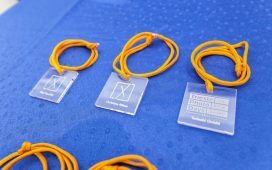 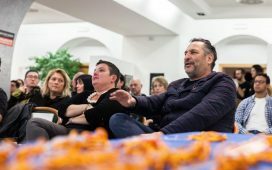 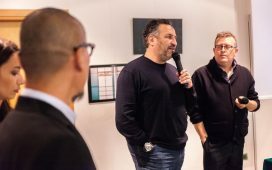 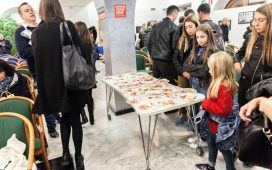 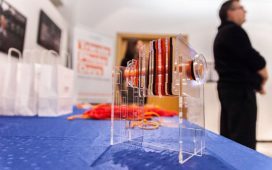 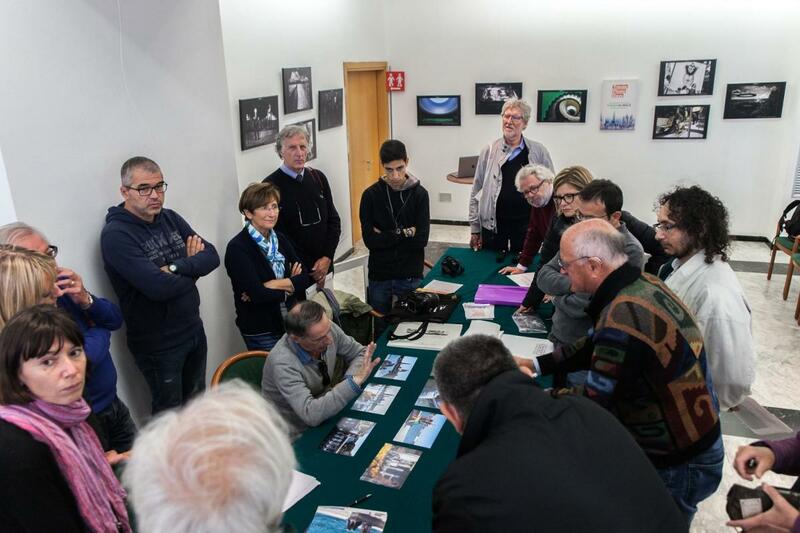 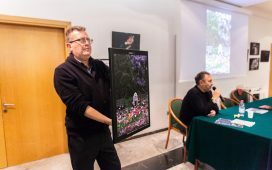 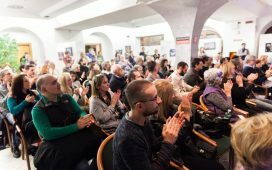 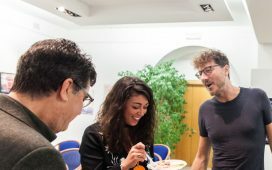 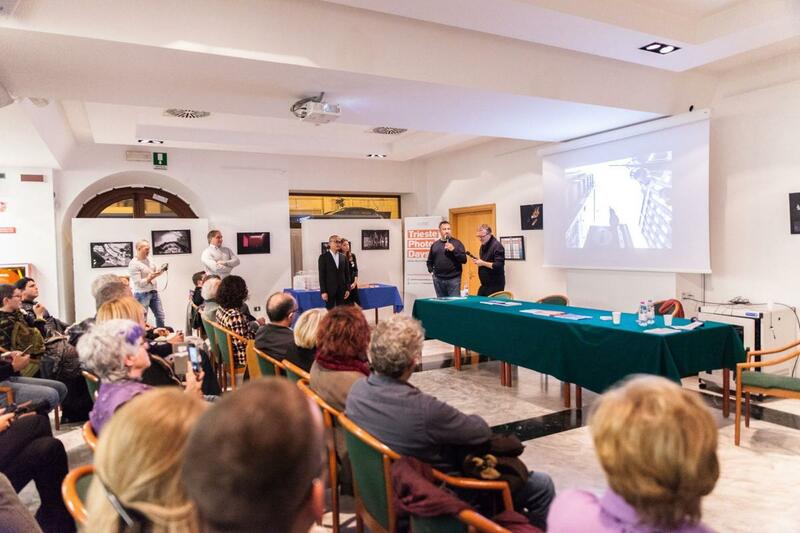 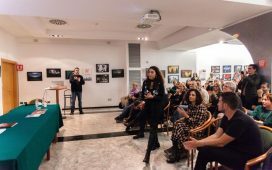 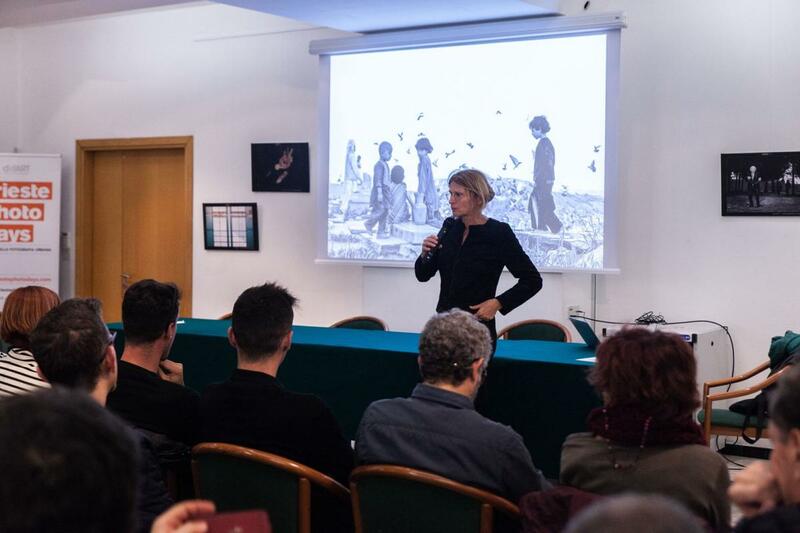 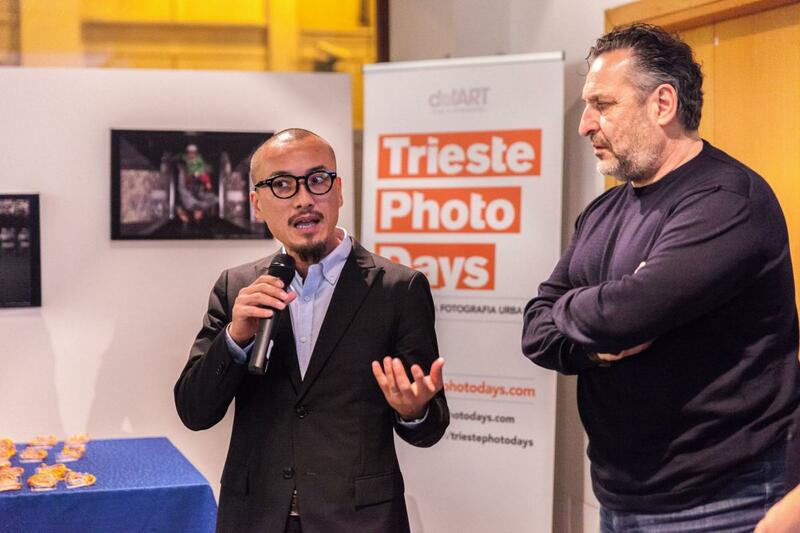 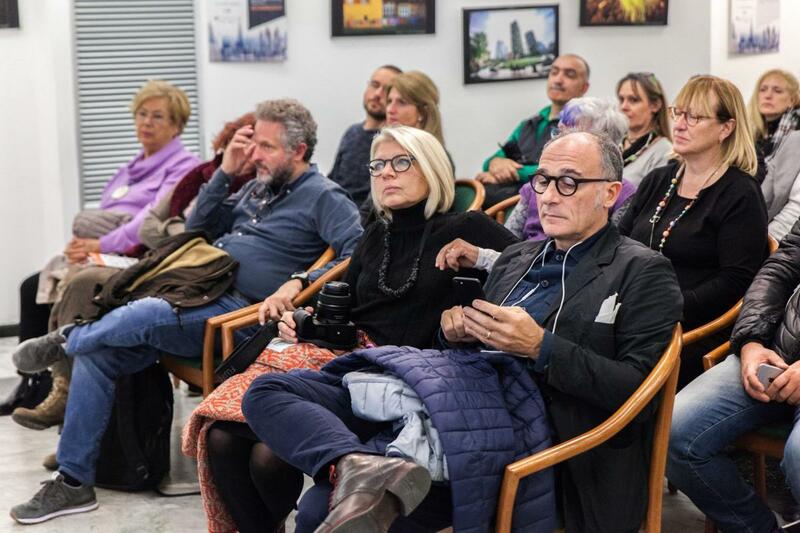 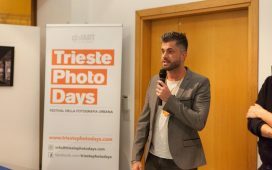 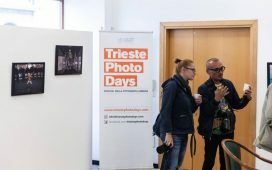 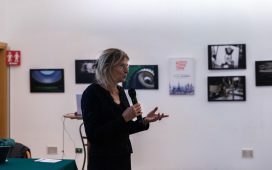 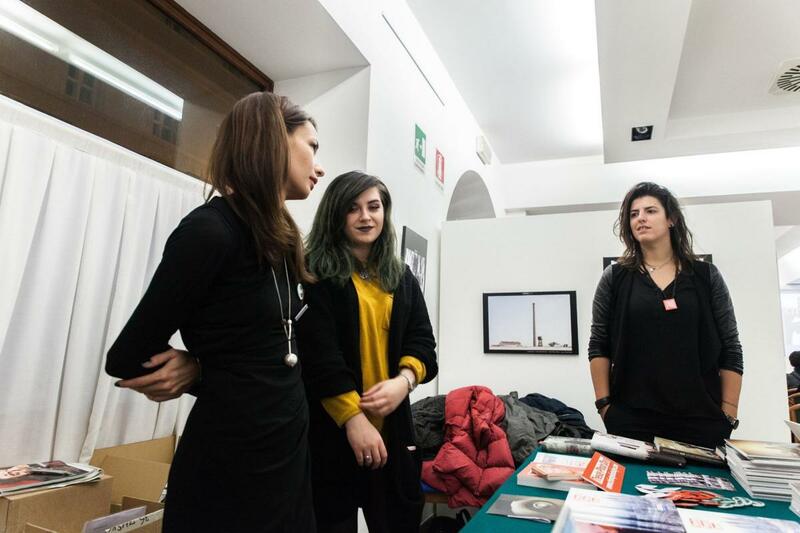 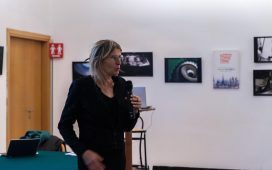 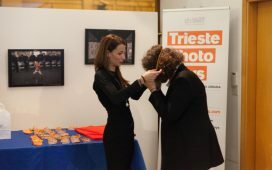 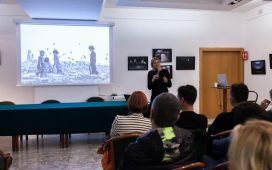 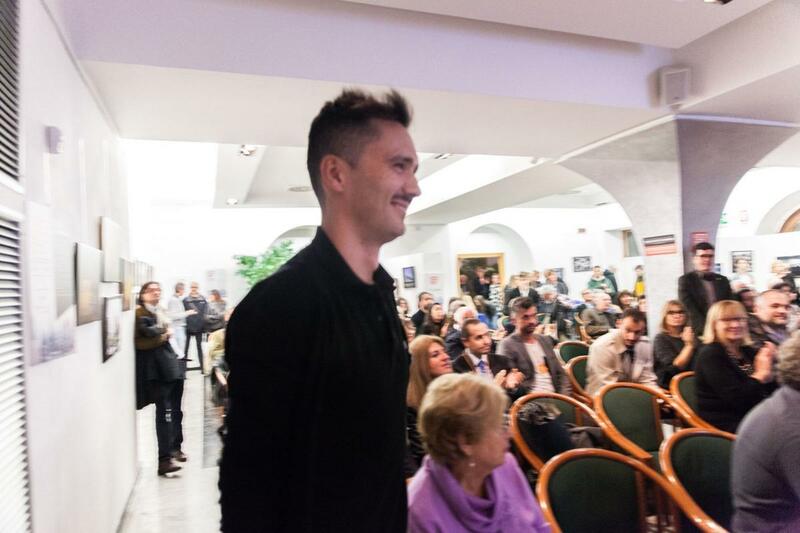 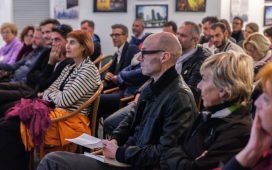 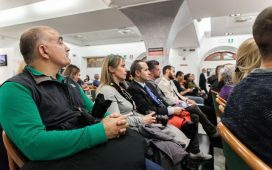 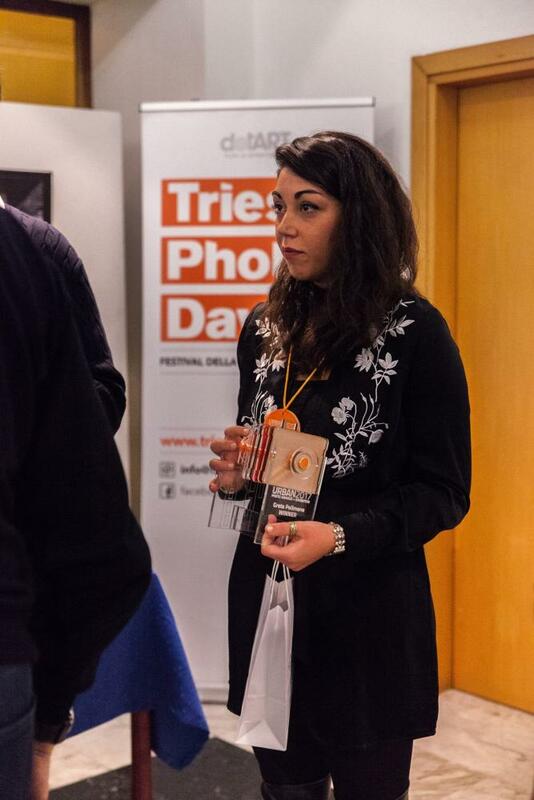 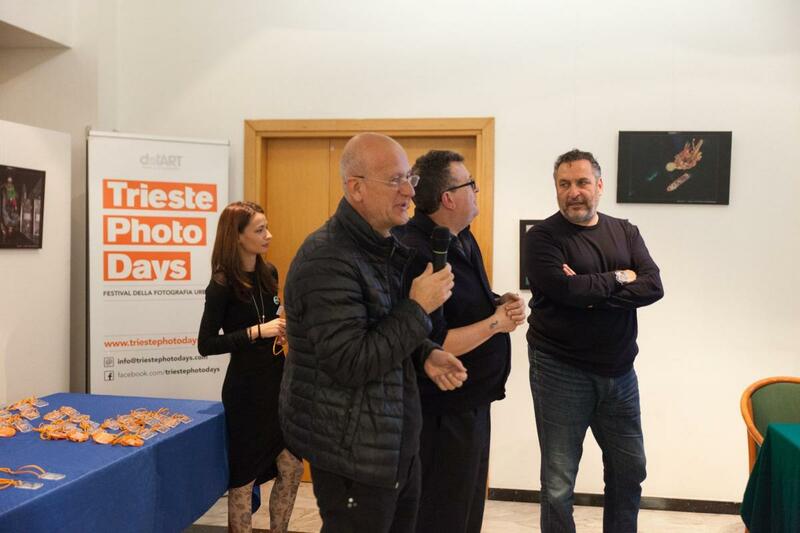 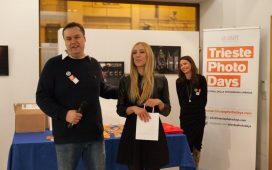 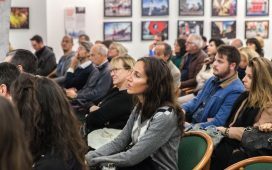 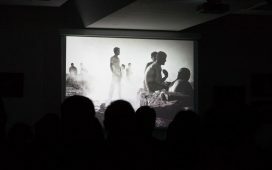 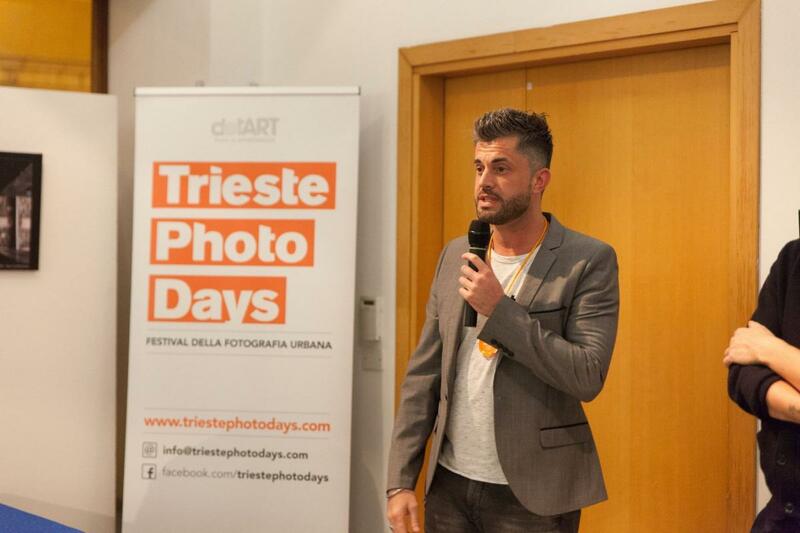 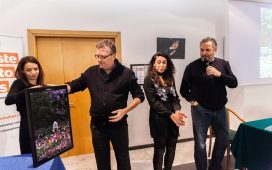 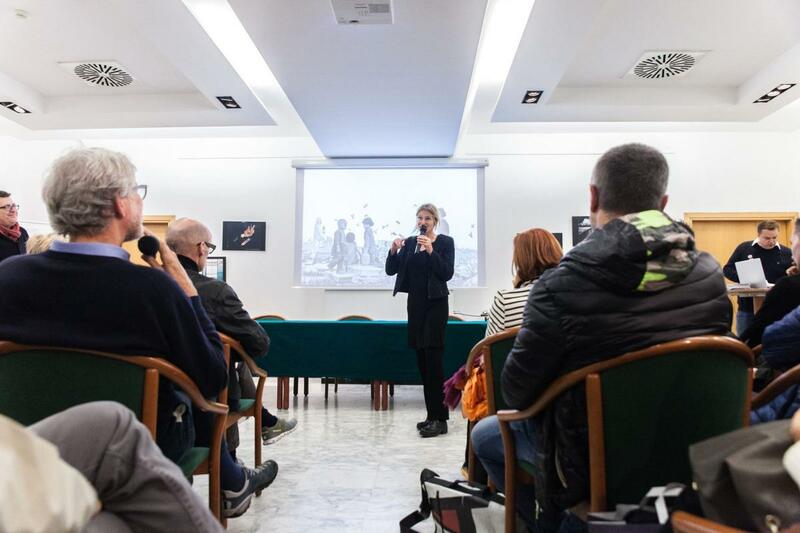 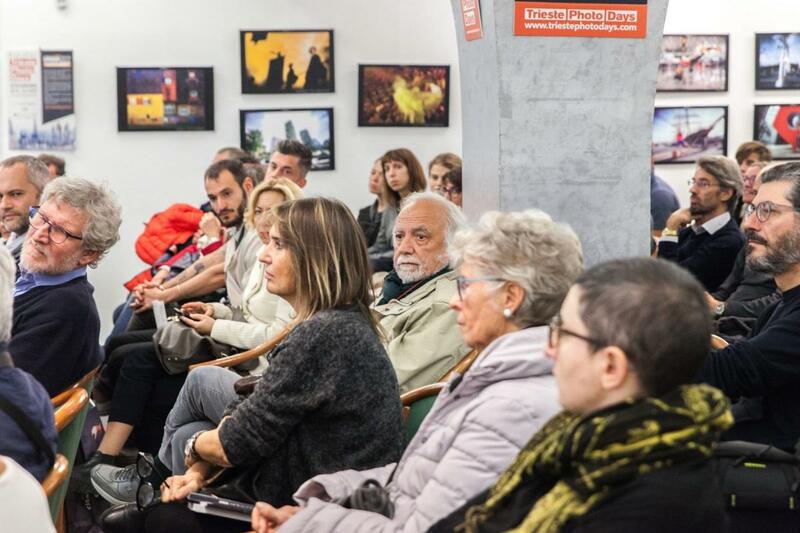 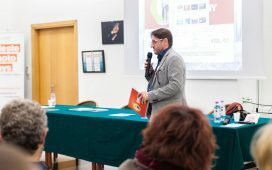 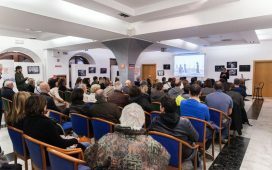 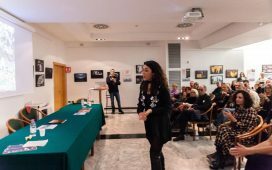 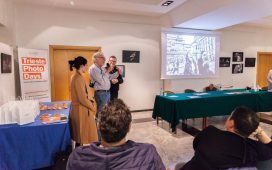 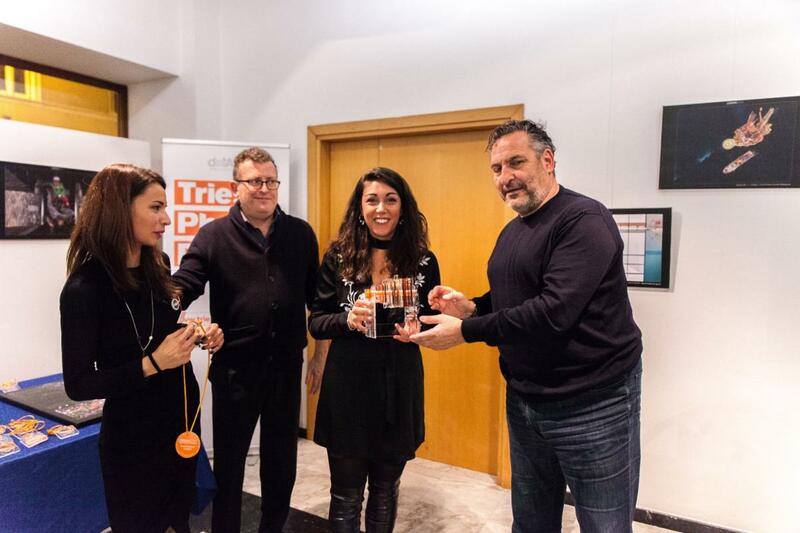 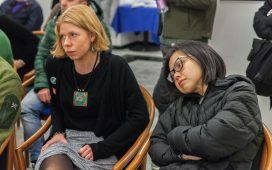 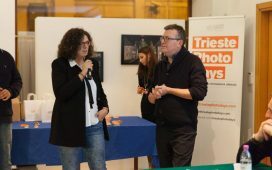 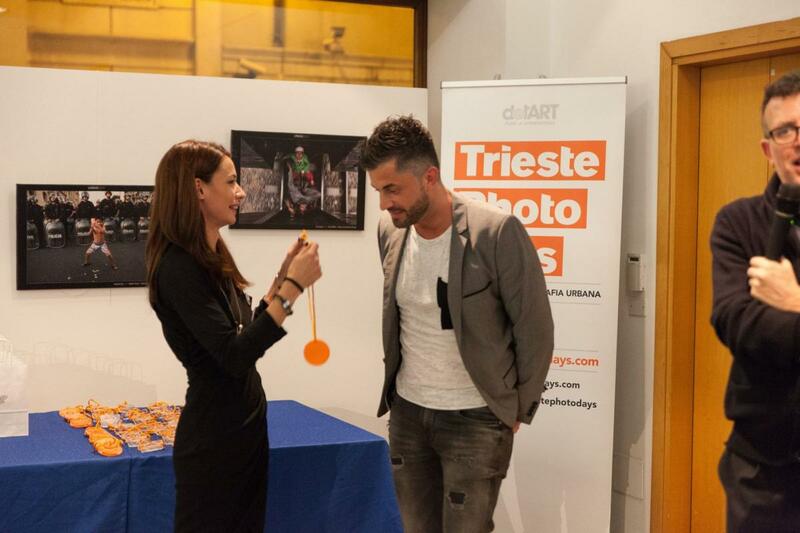 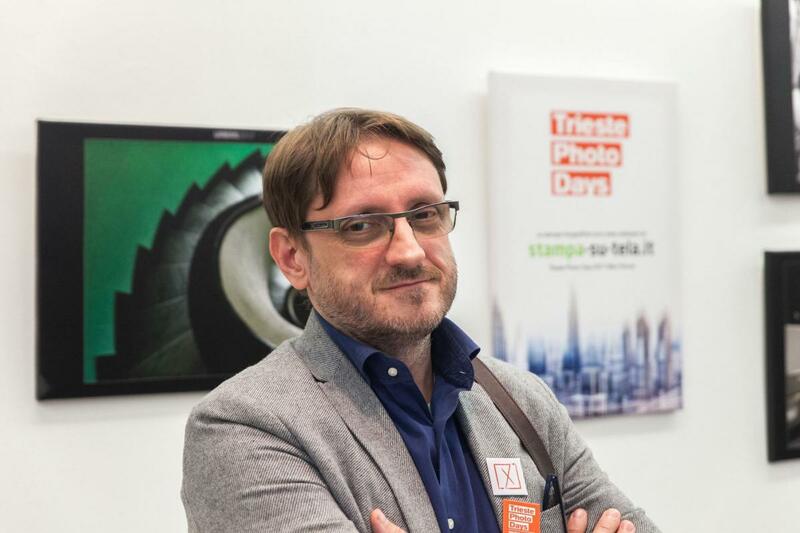 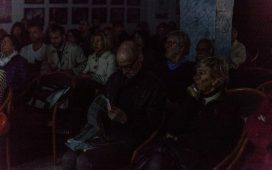 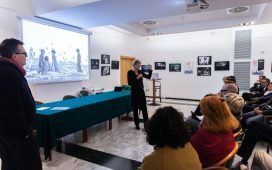 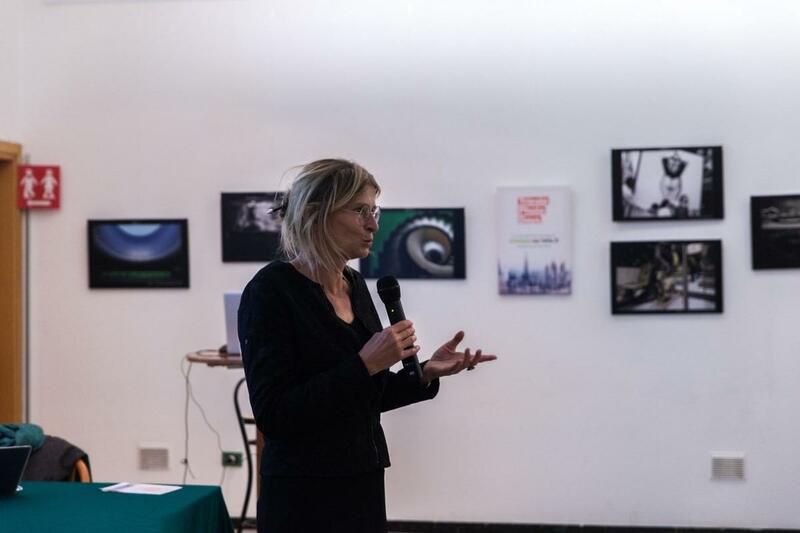 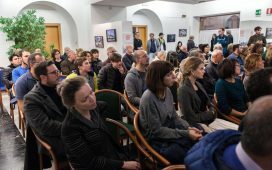 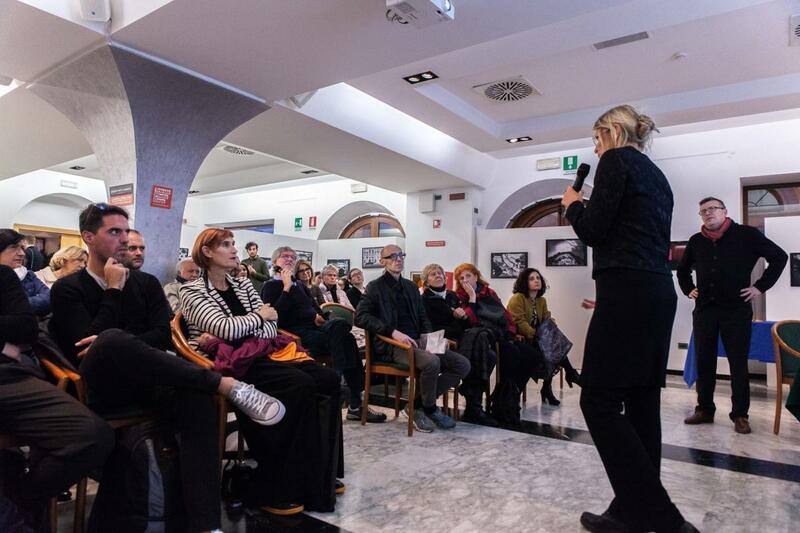 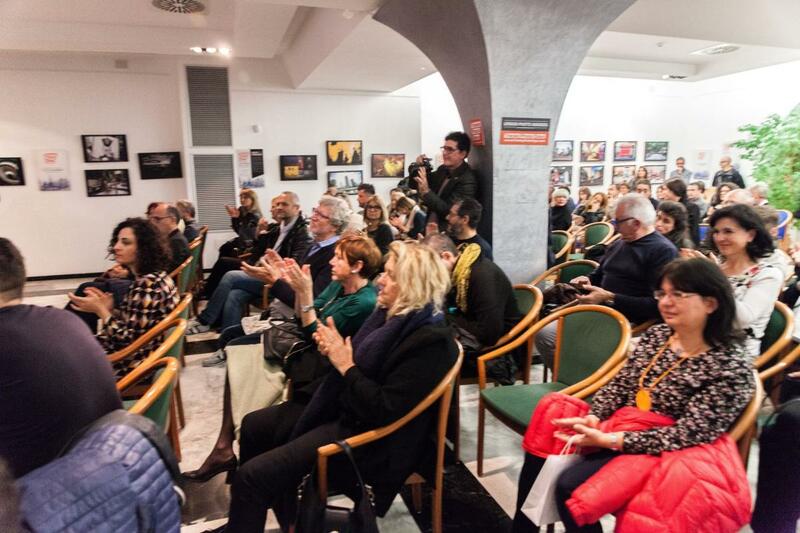 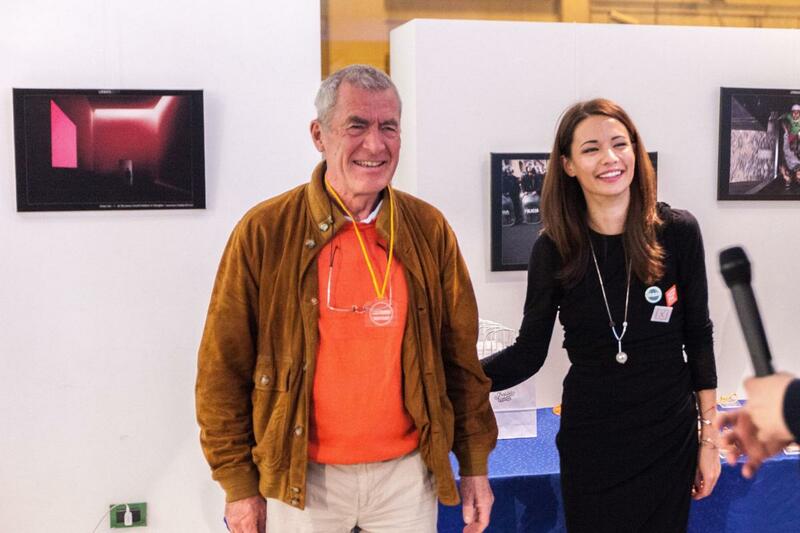 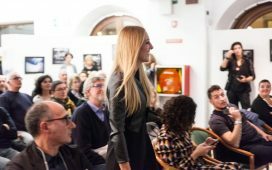 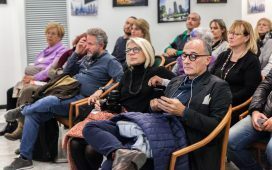 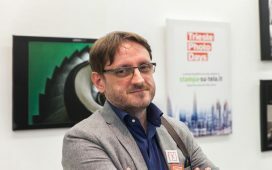 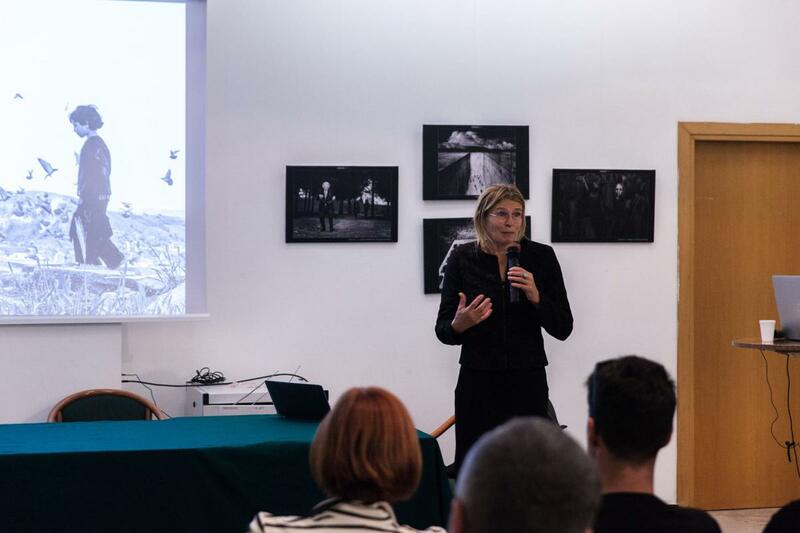 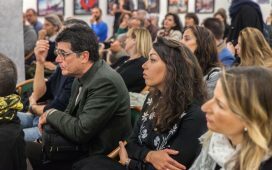 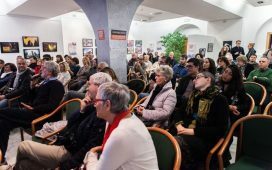 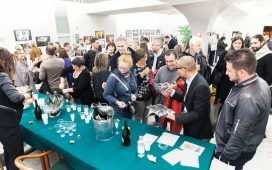 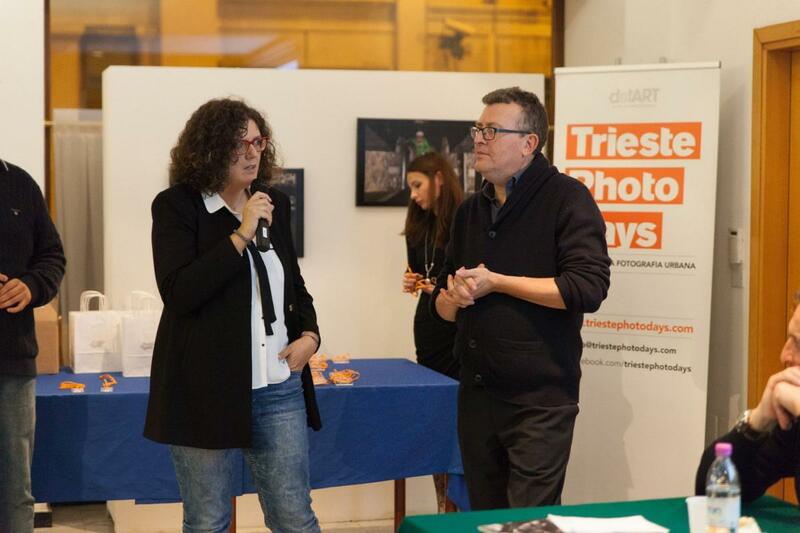 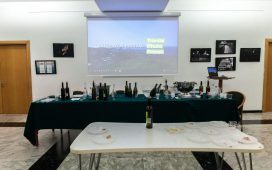 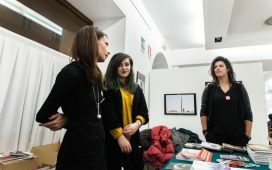 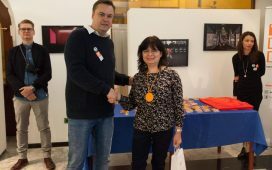 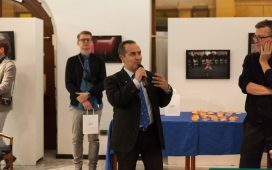 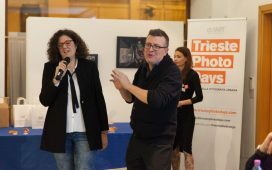 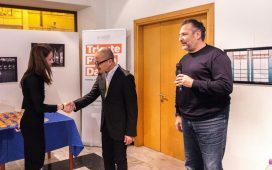 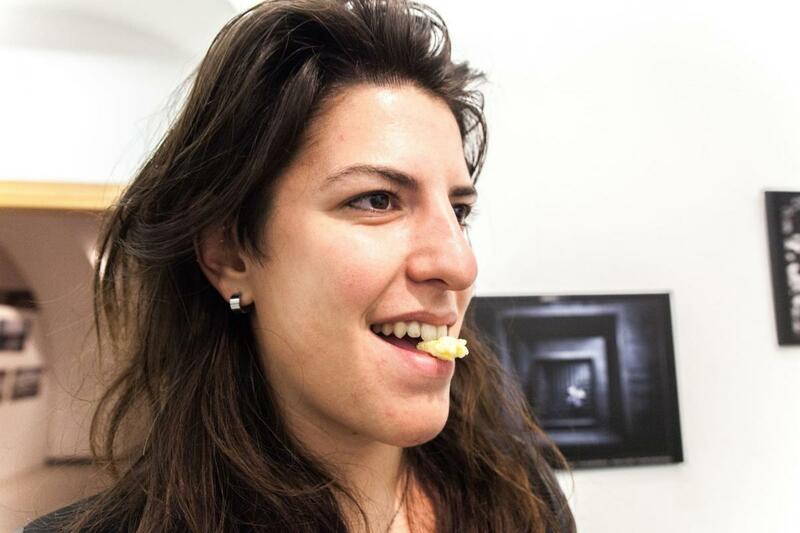 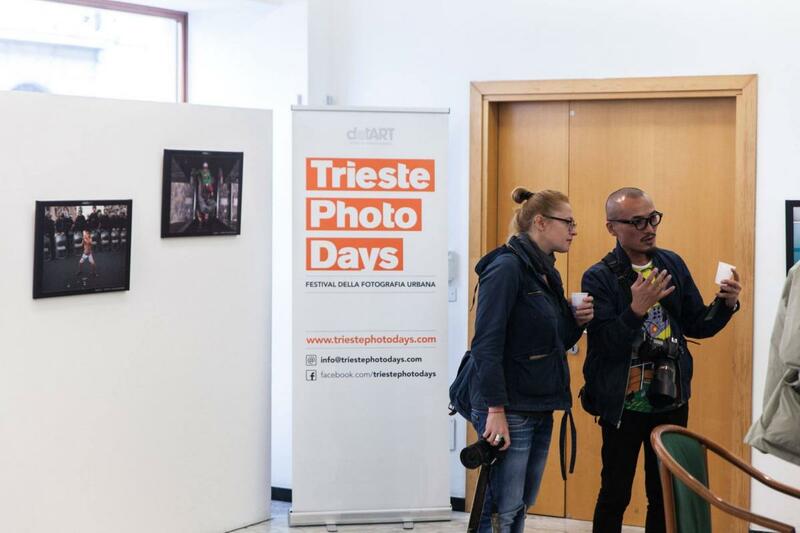 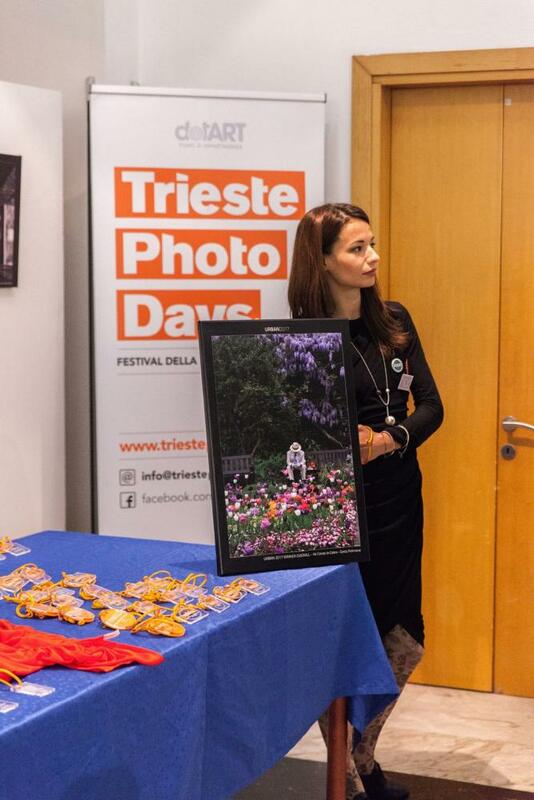 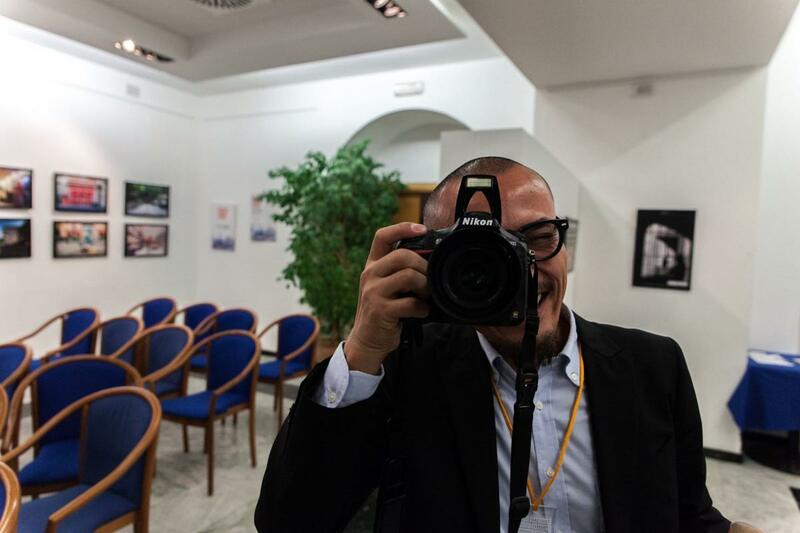 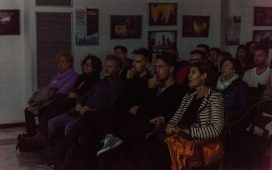 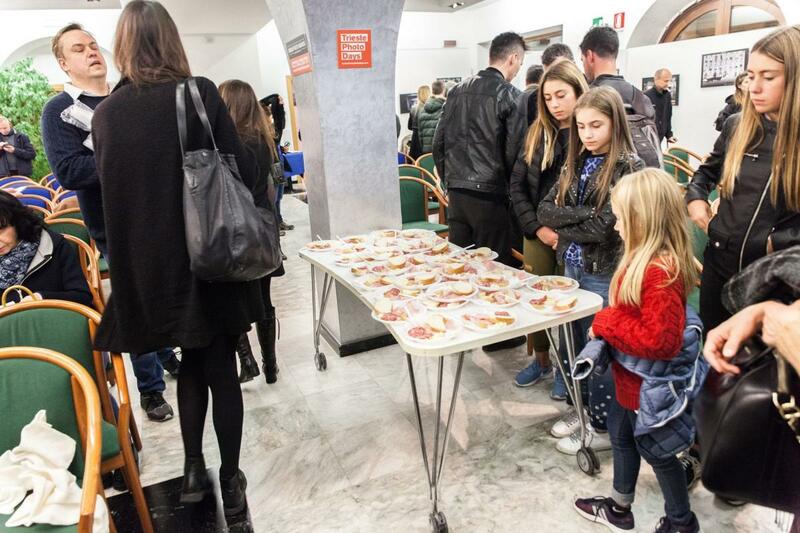 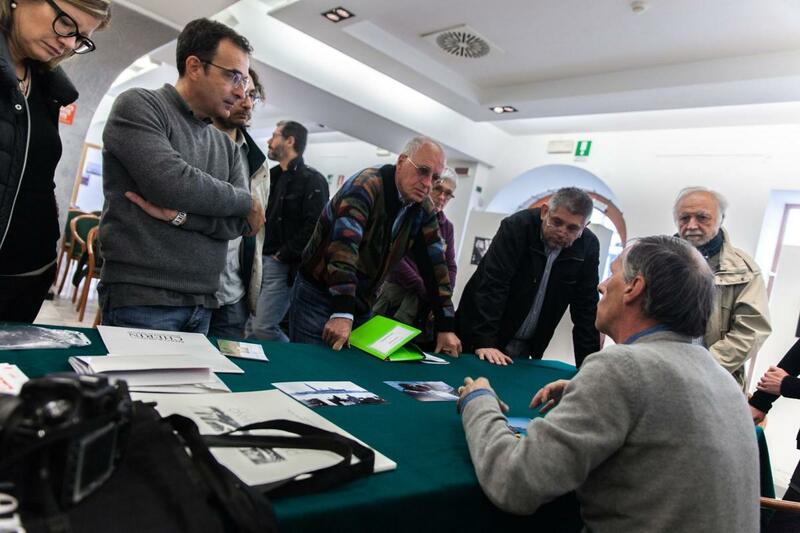 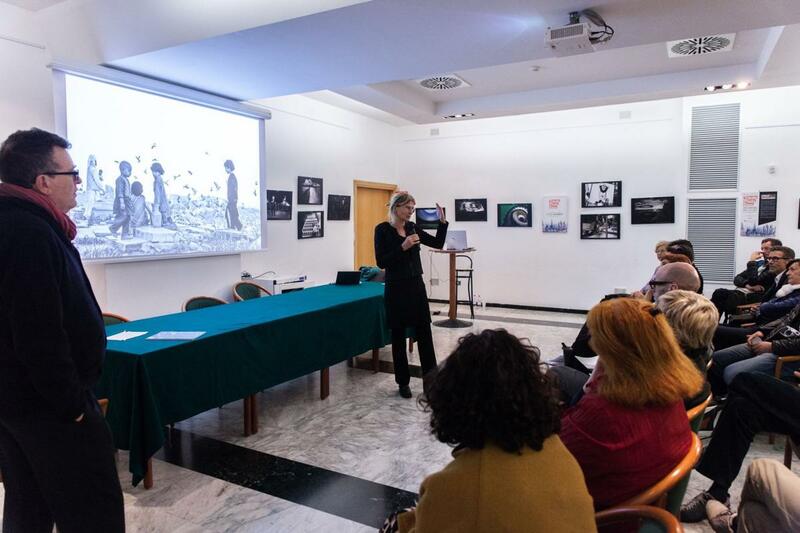 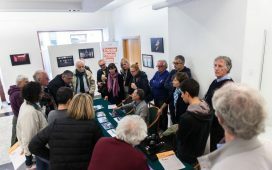 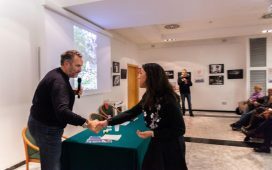 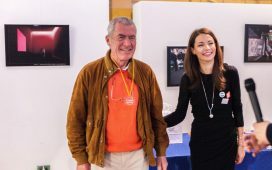 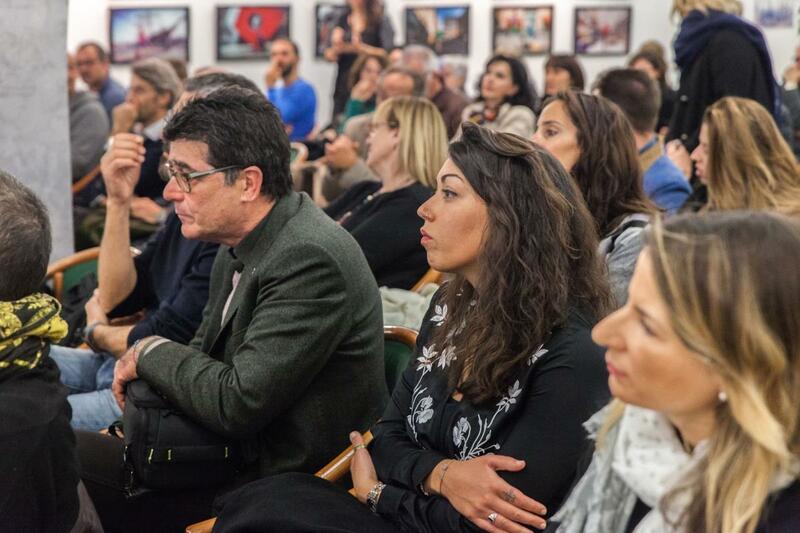 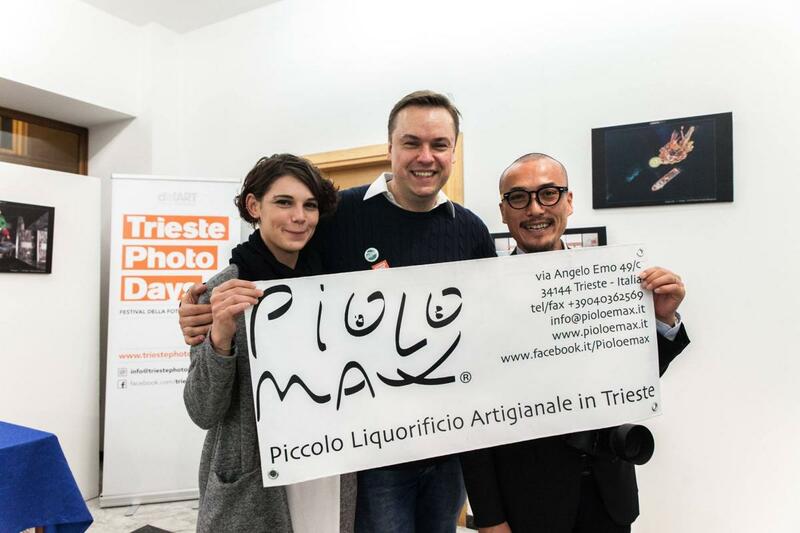 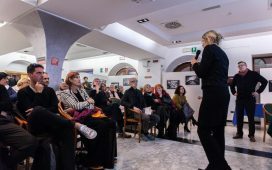 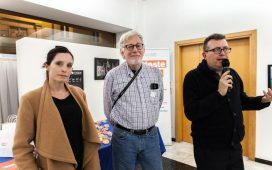 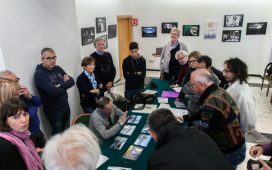 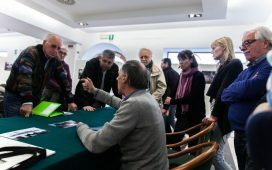 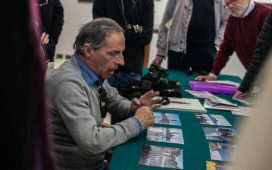 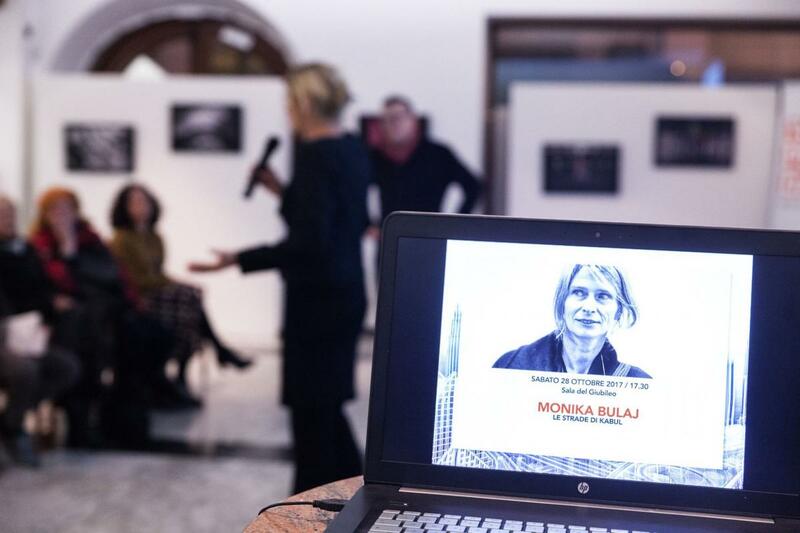 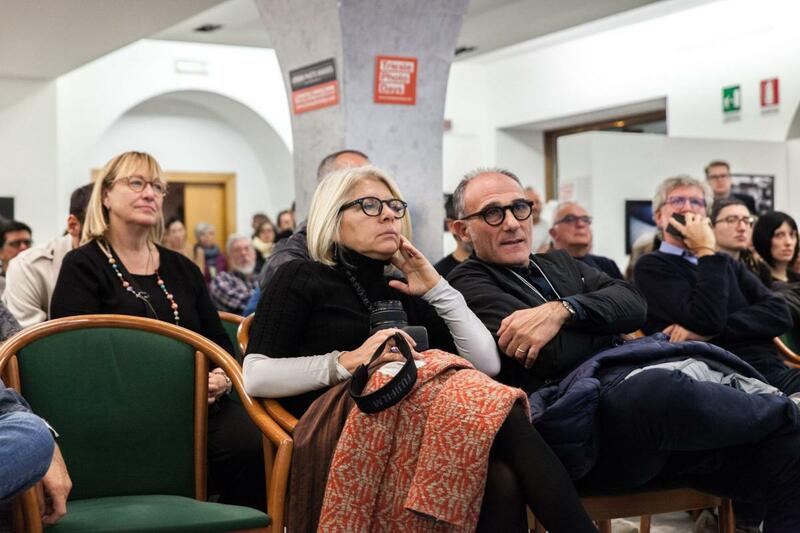 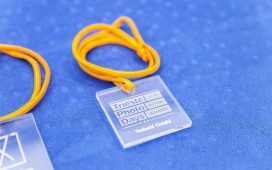 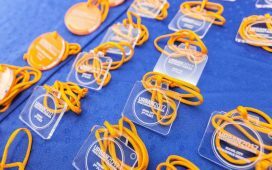 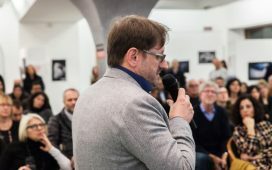 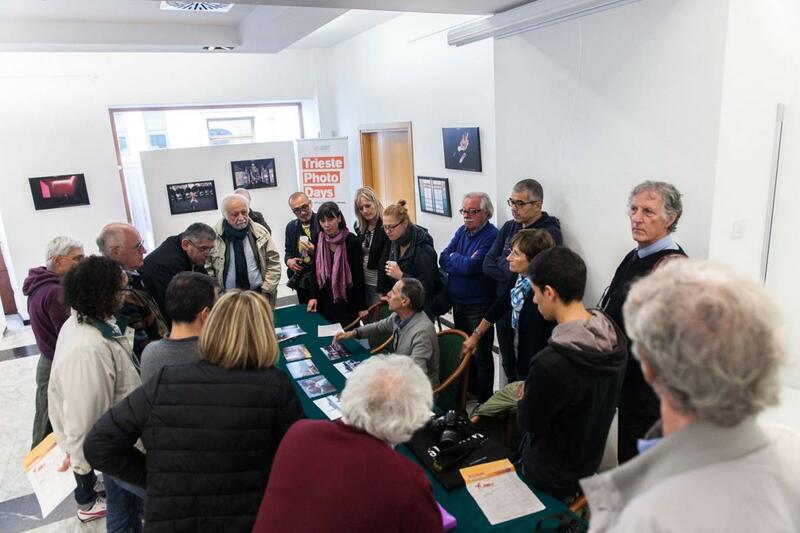 The project, which includes 50 photographers from around the world, also includes a series of international exhibitions, including an exhibition at the Trieste Airport which is part of the festival. 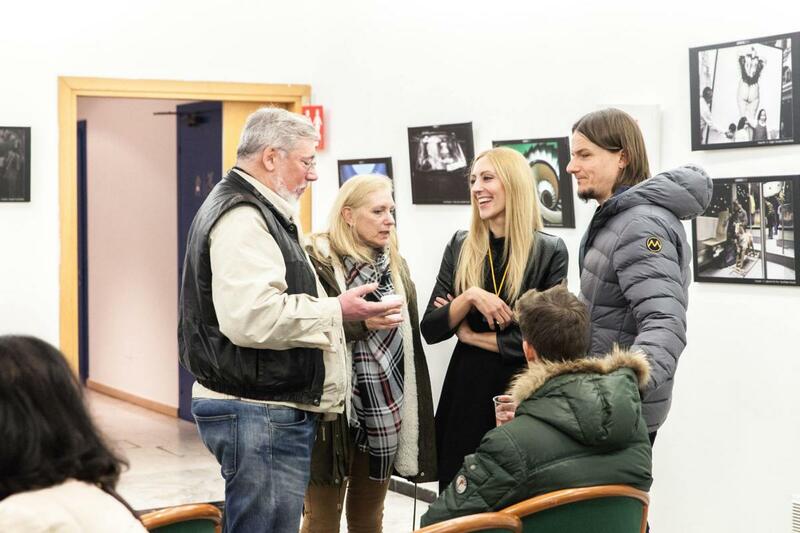 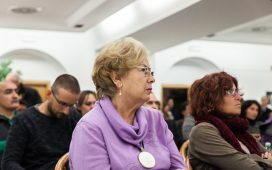 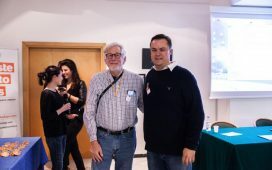 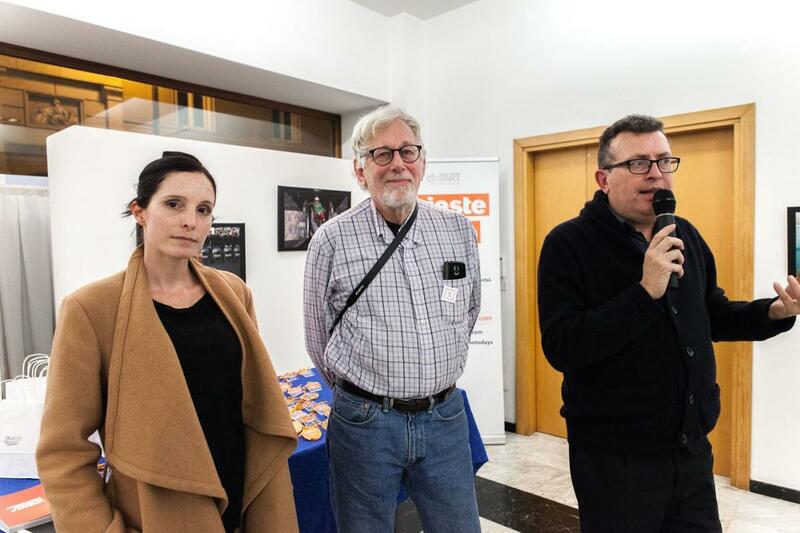 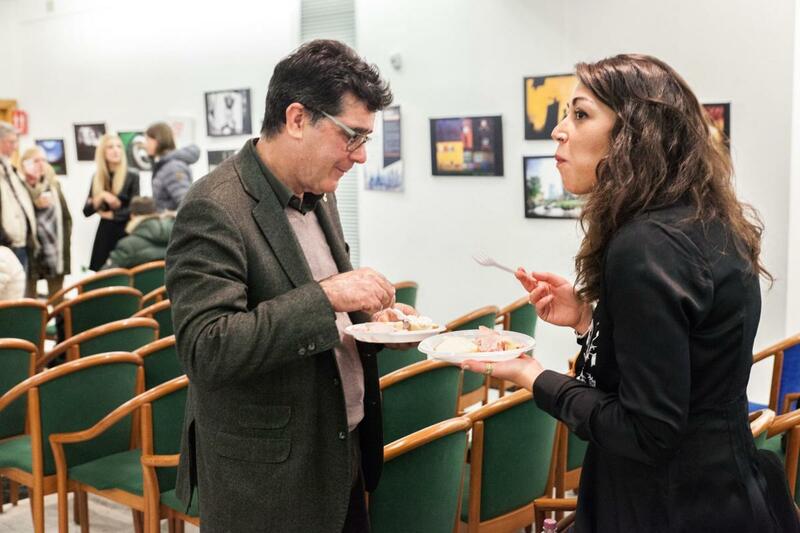 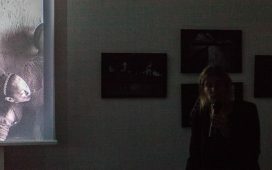 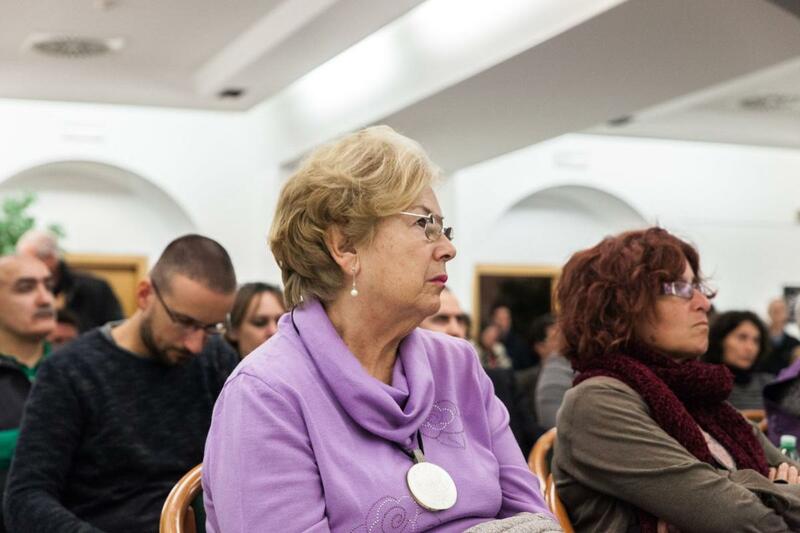 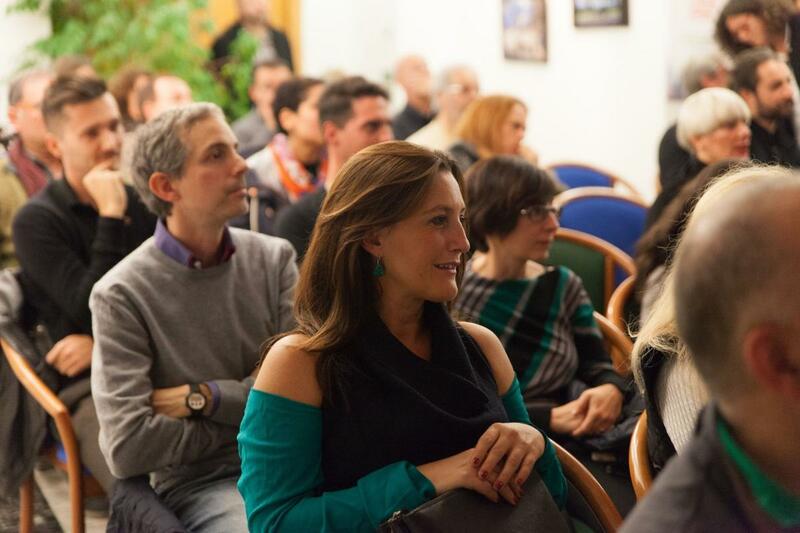 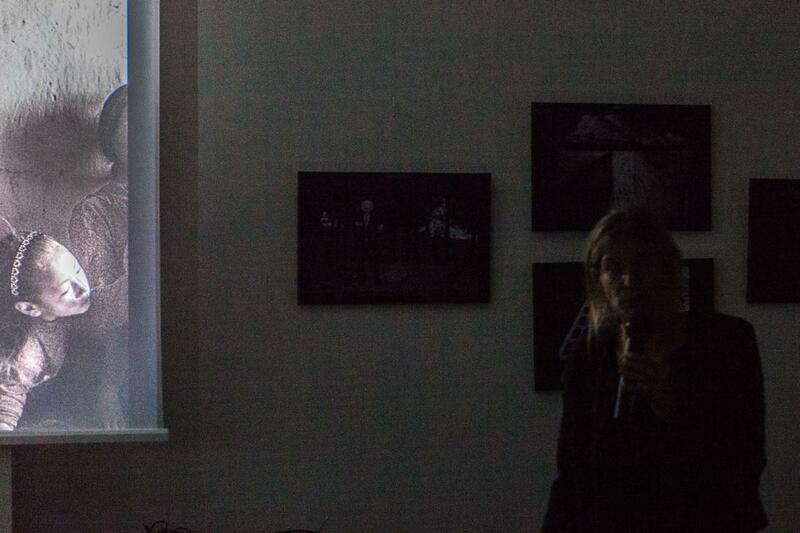 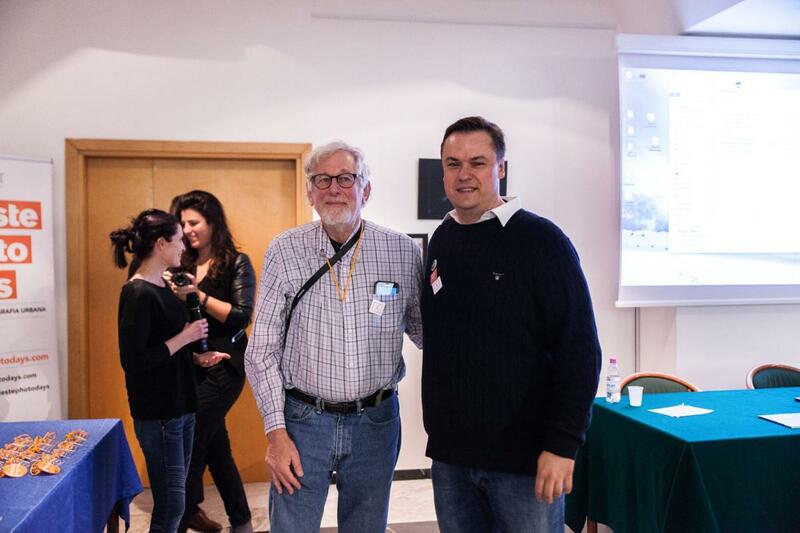 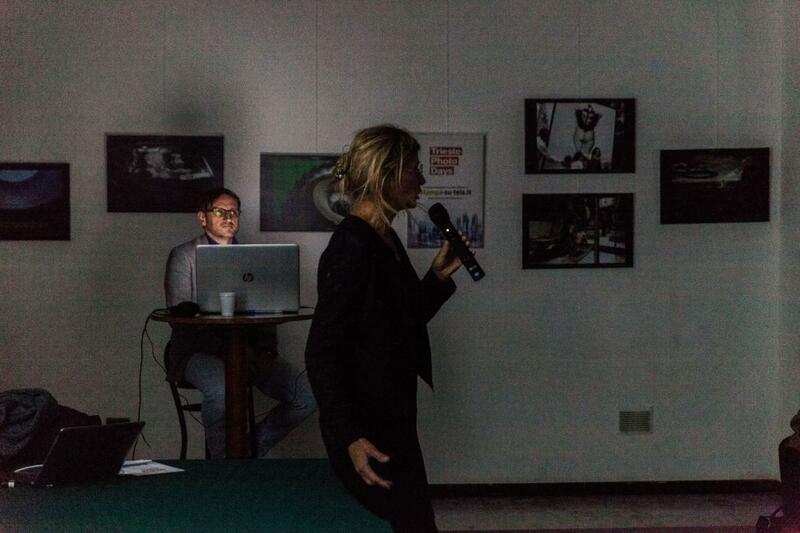 The selected authors of the project will be present, the American Stan Raucher and the Austrian Christine Miess. 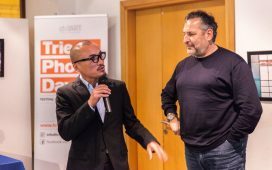 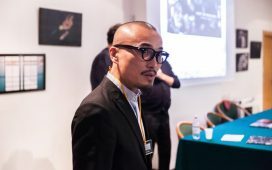 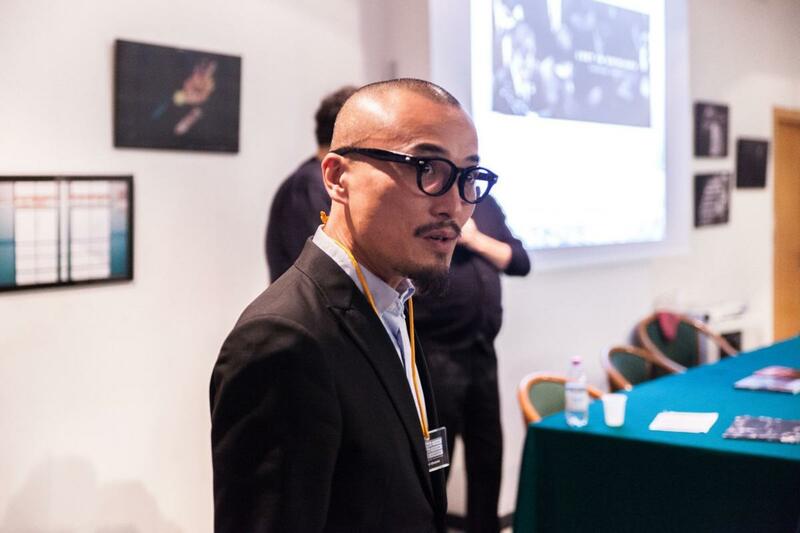 At 19.30 Maurizio Galimberti will award the Japanese photographer Tadashi Onishi, winner of the call for the “TPD Book Award 2017” with the project “Lost in Shinjuku”. 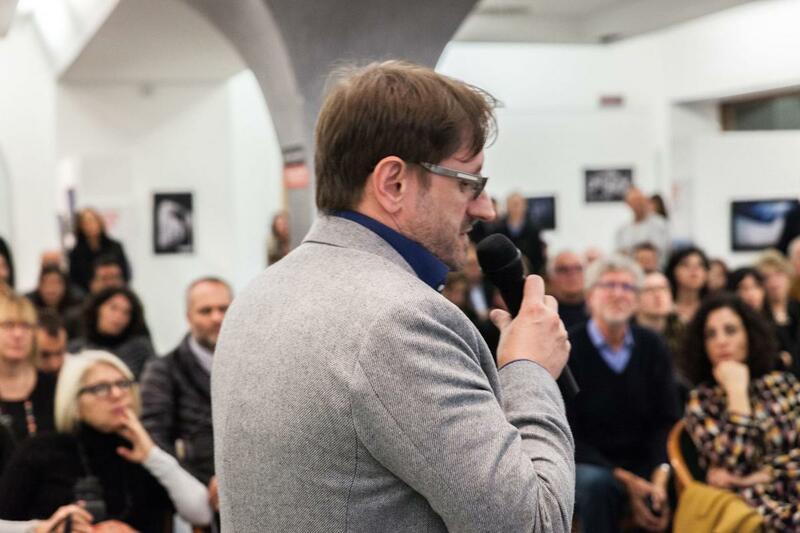 Galimberti will introduce the book, commenting on it with Denis Curti, who will offer a critical reading. 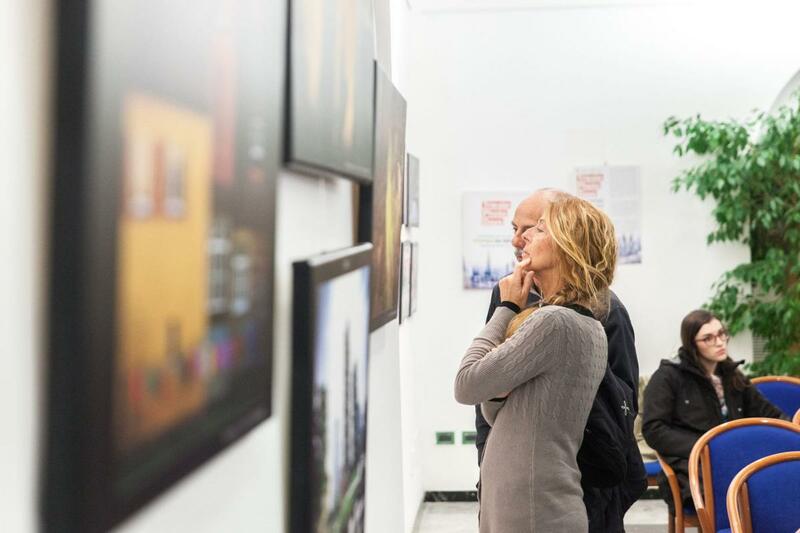 At 20.00 there will be the inauguration of the group exhibition with the award ceremony of the competition URBAN Photo Awards Contest 2017. 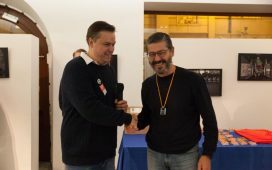 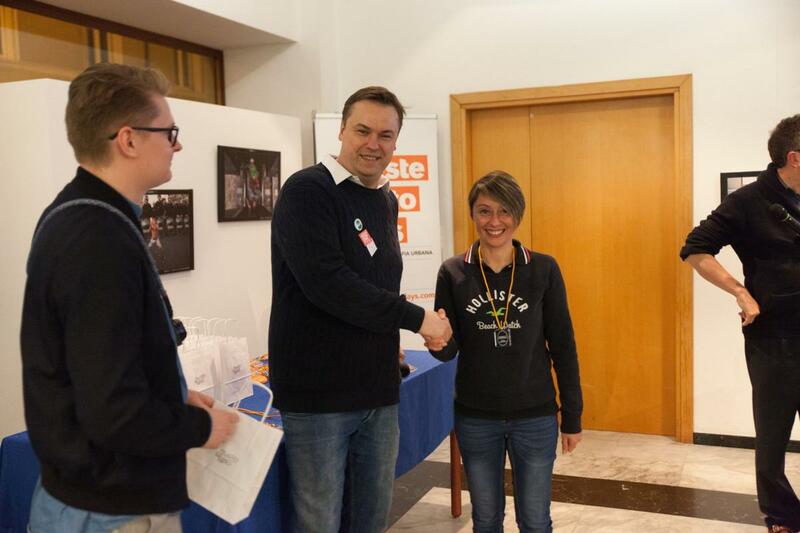 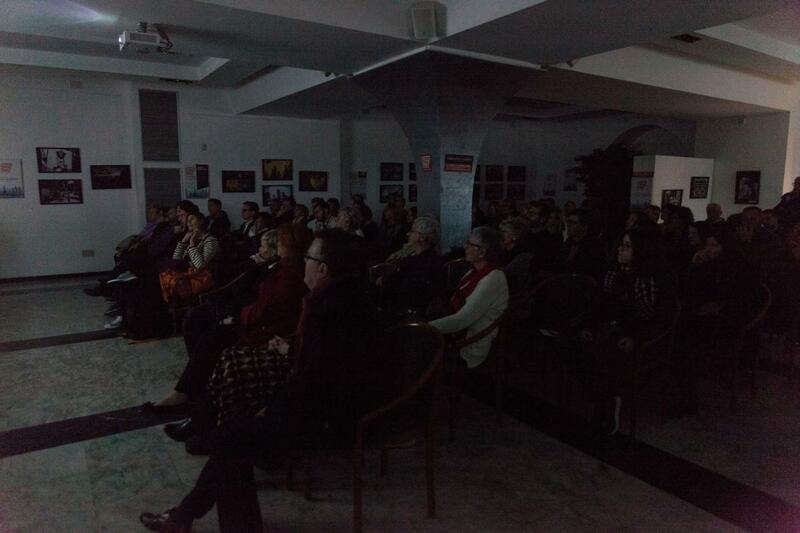 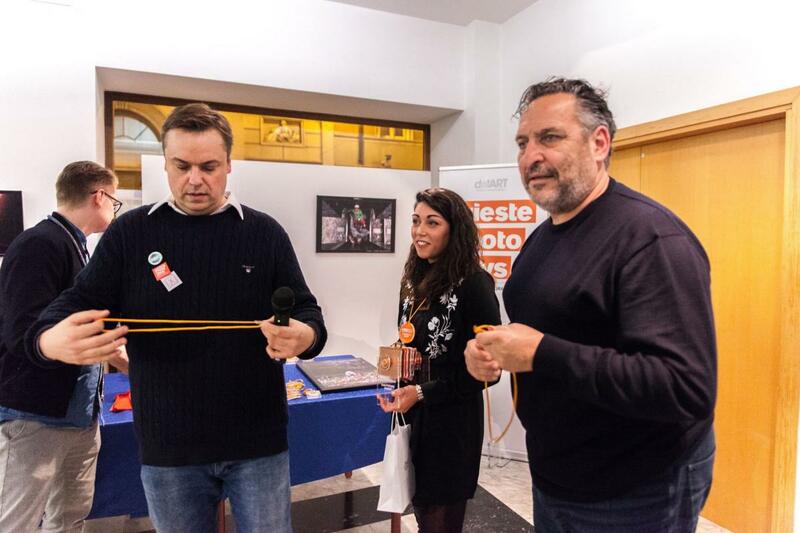 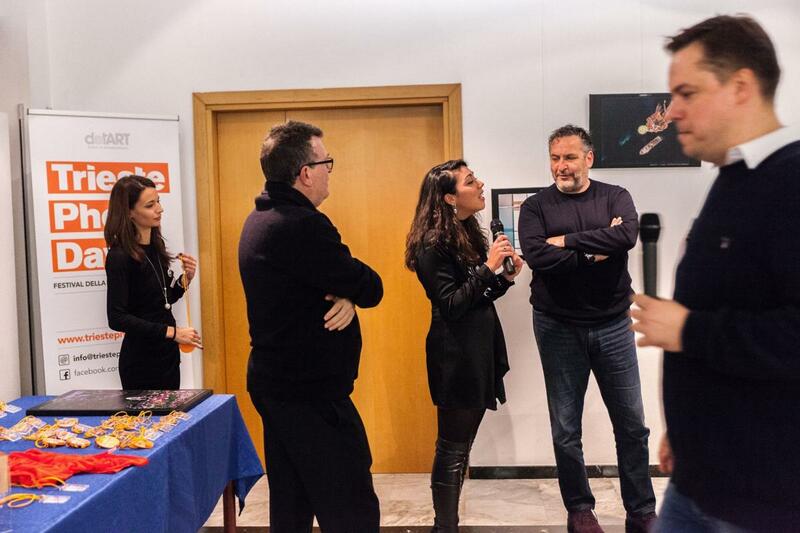 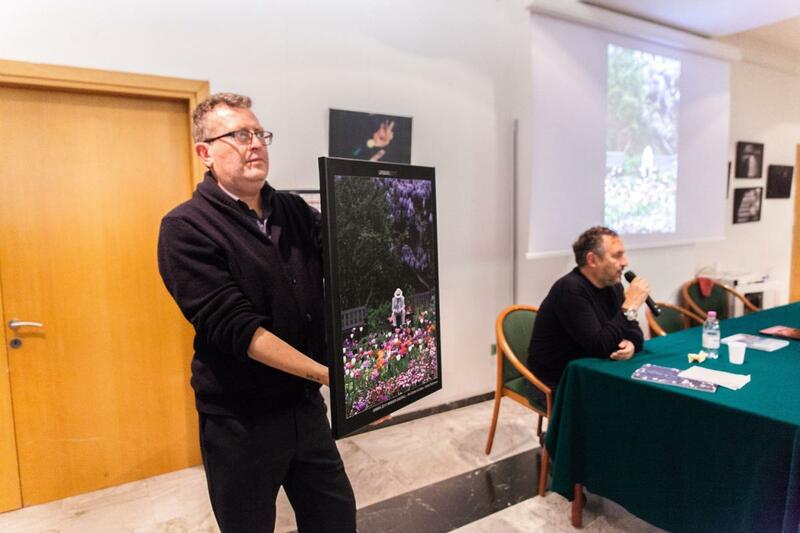 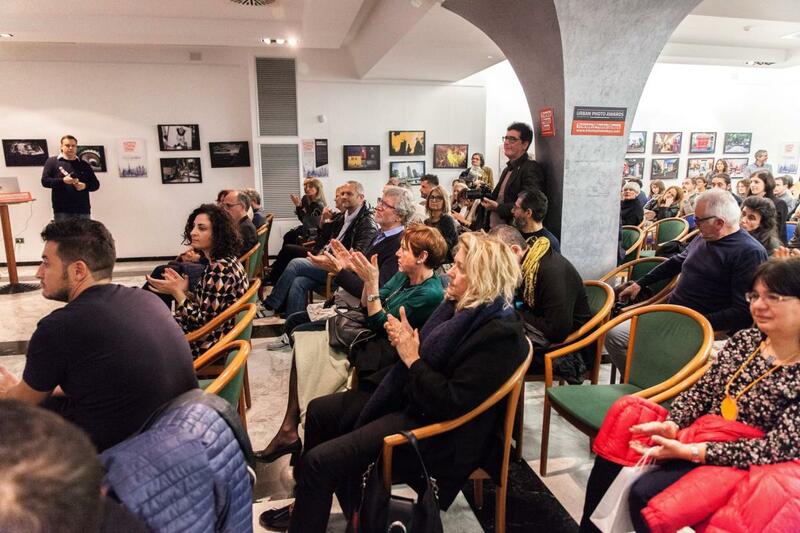 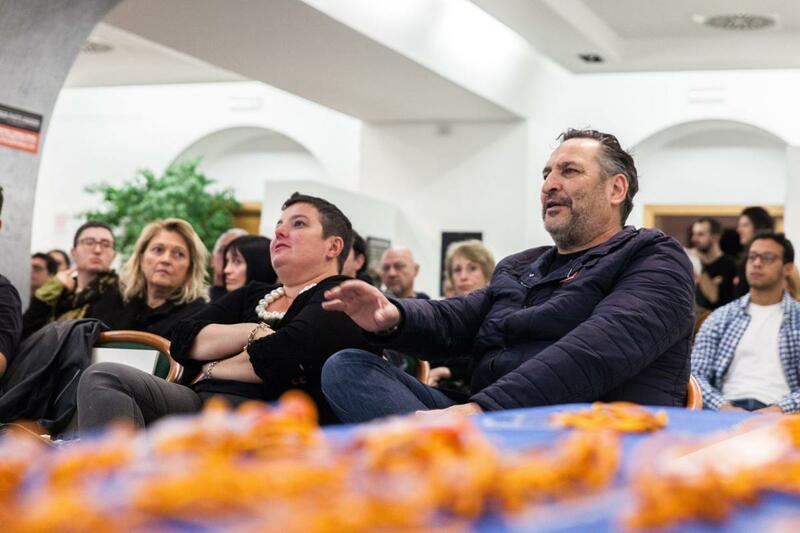 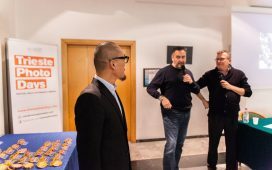 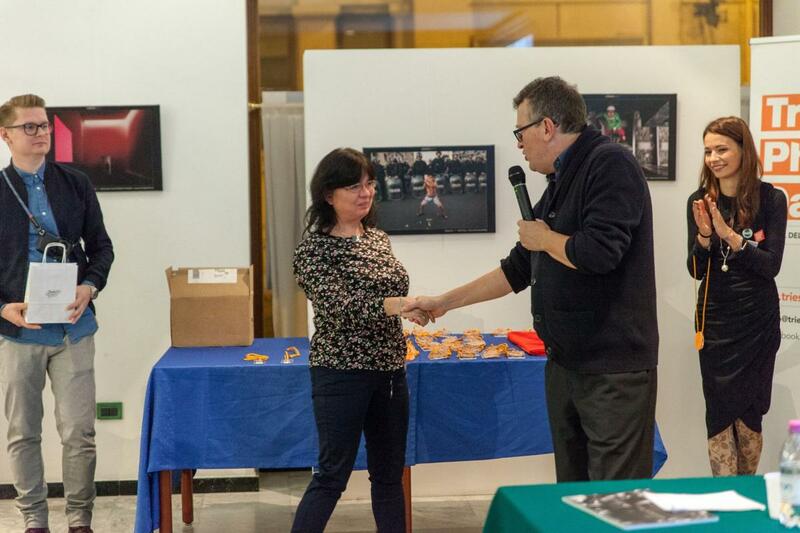 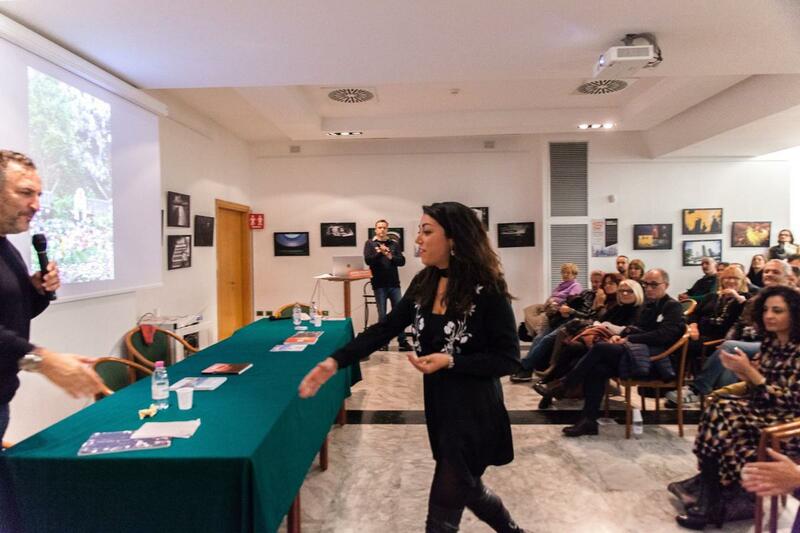 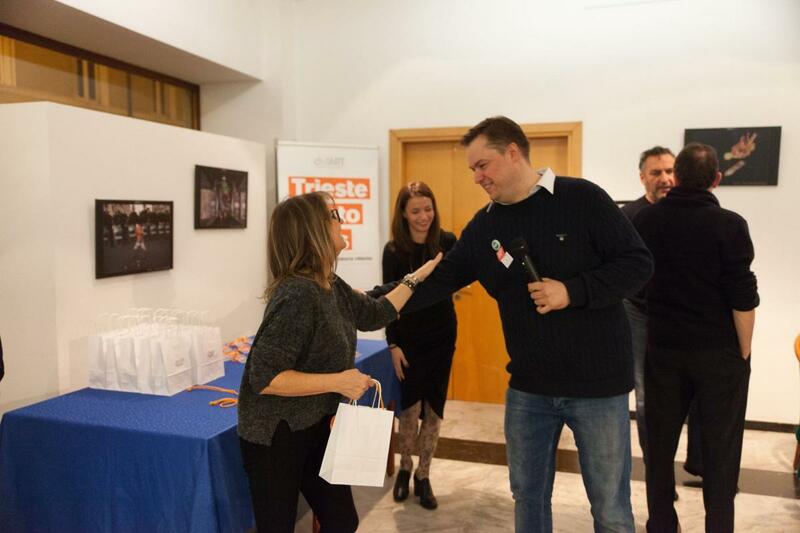 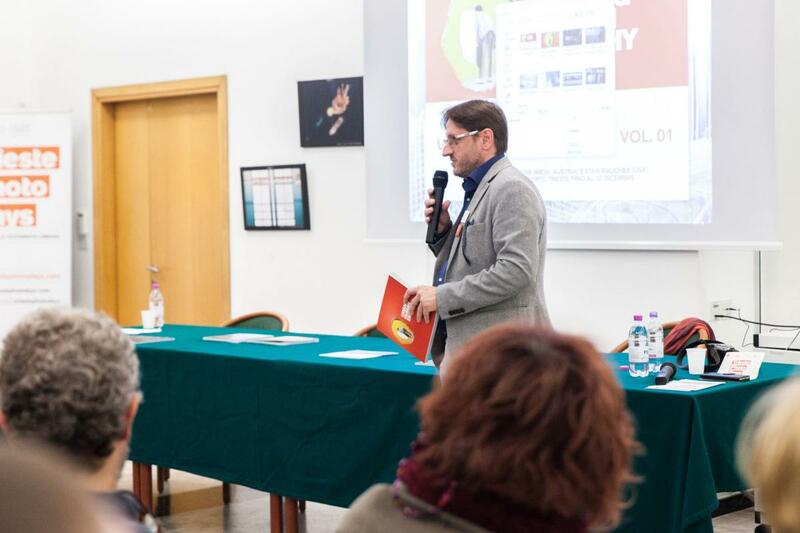 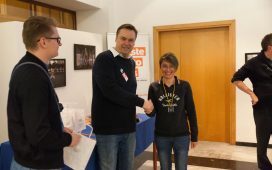 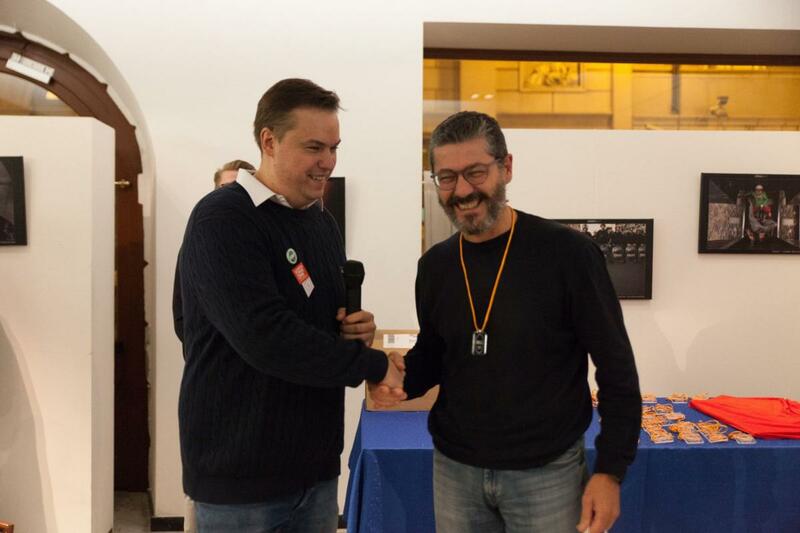 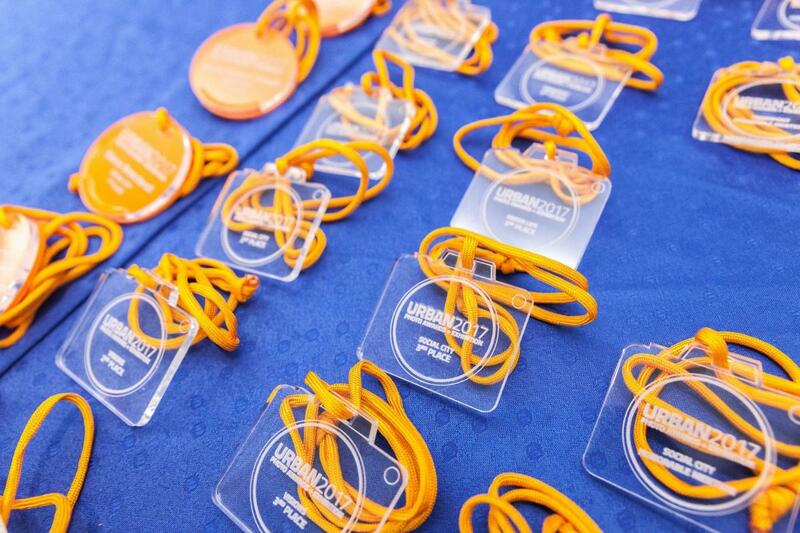 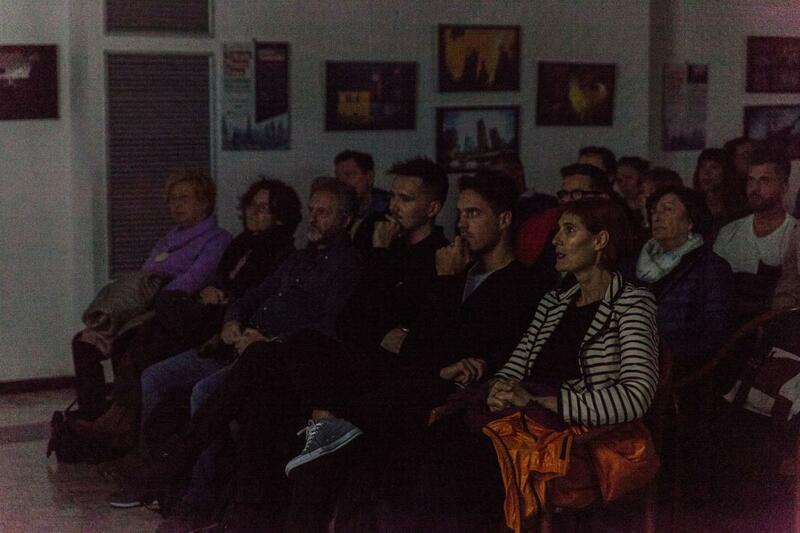 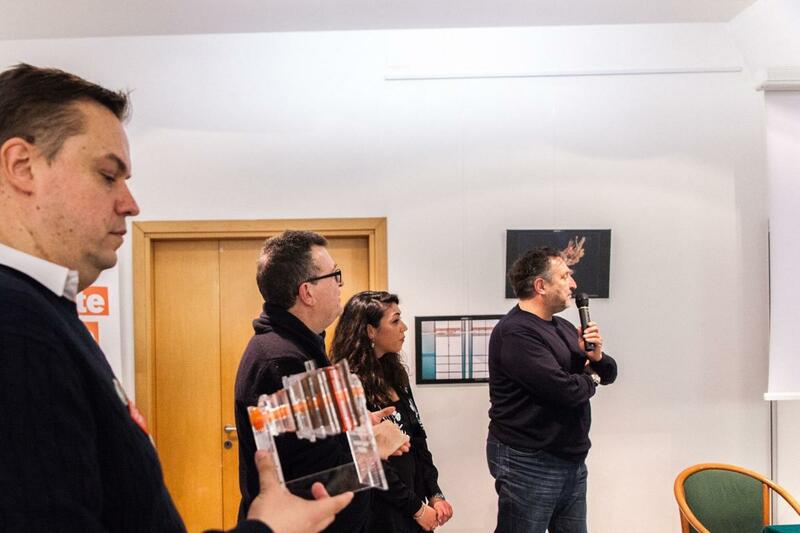 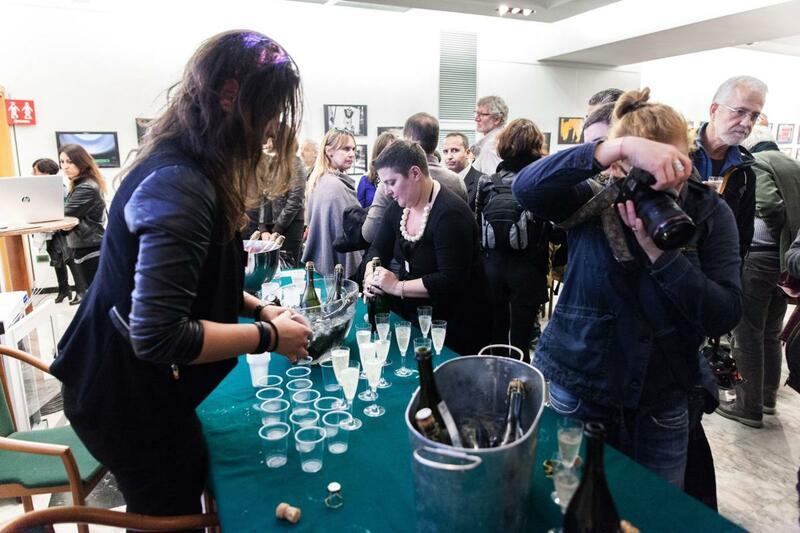 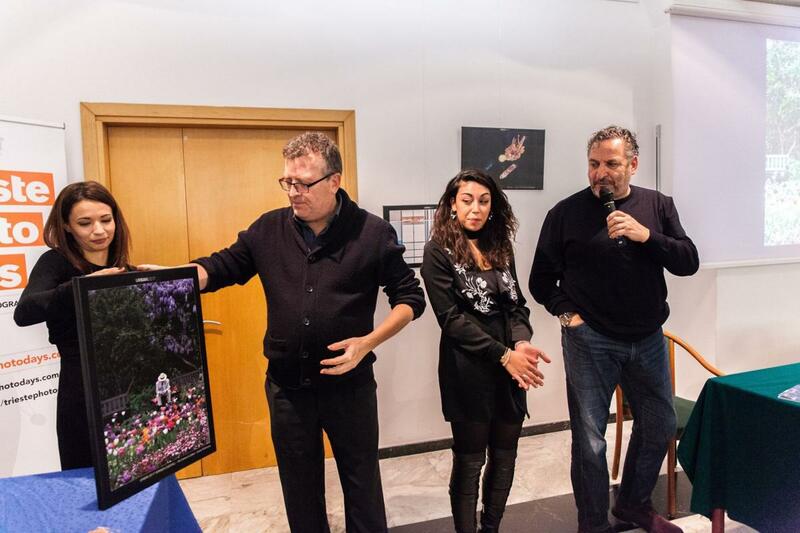 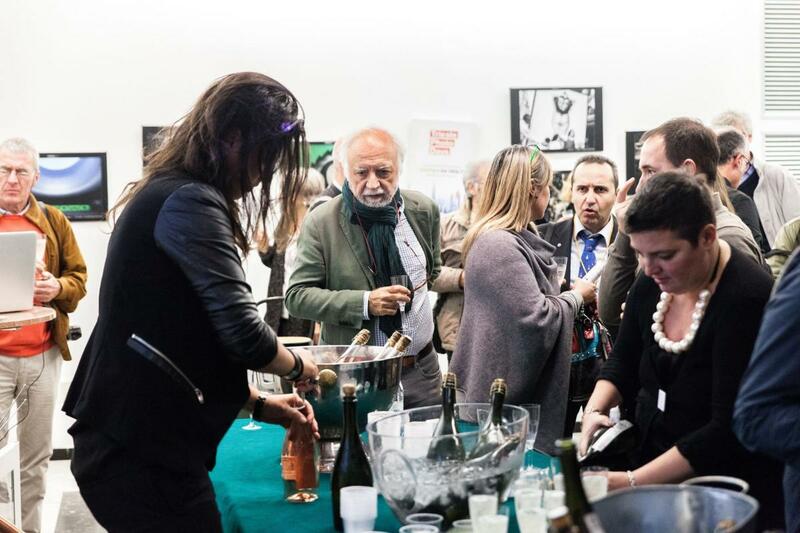 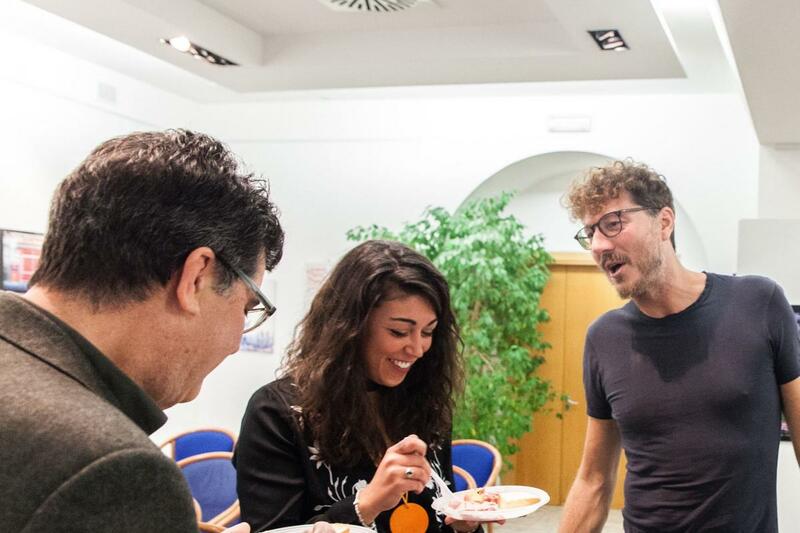 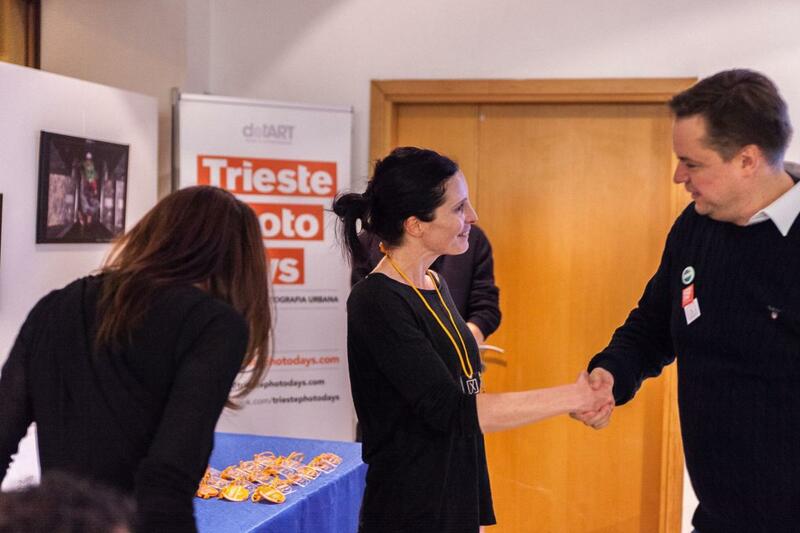 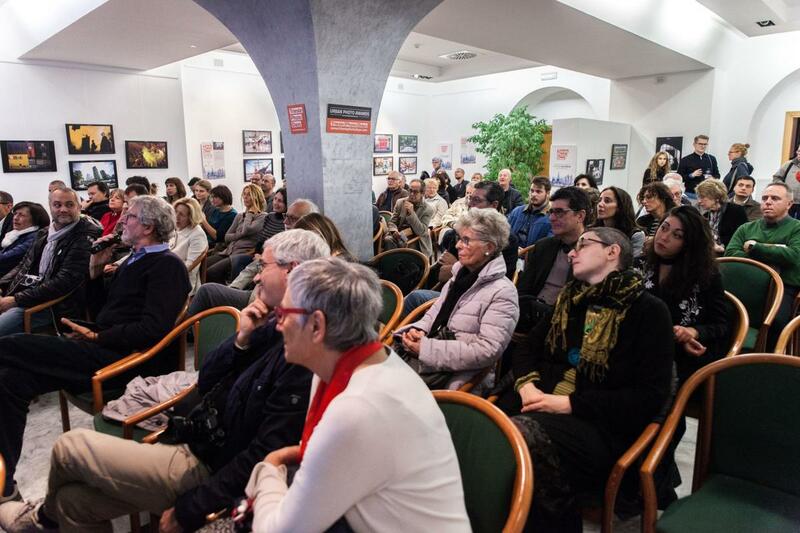 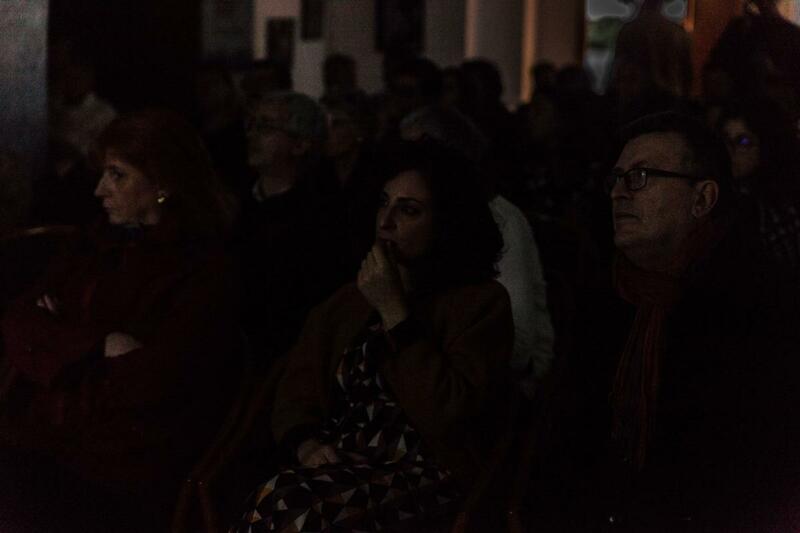 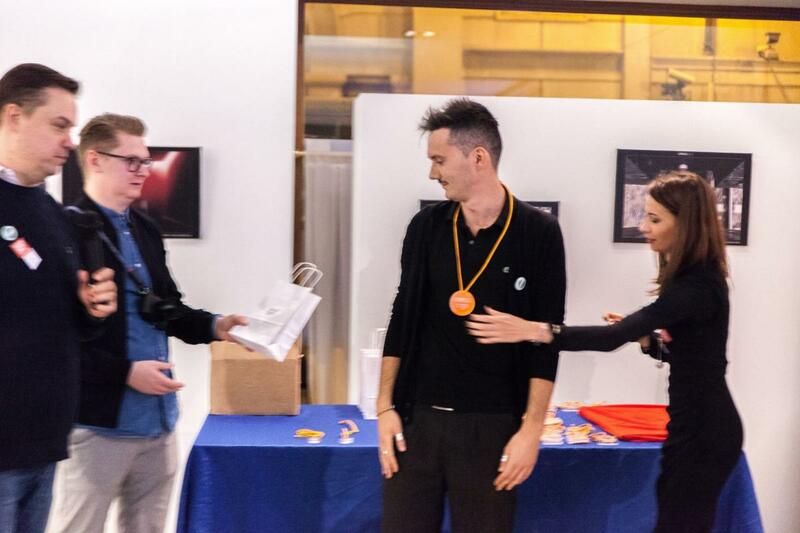 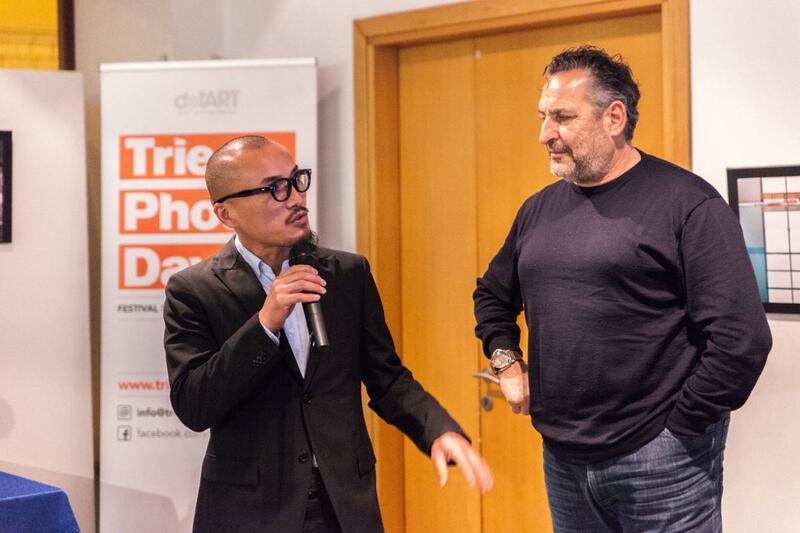 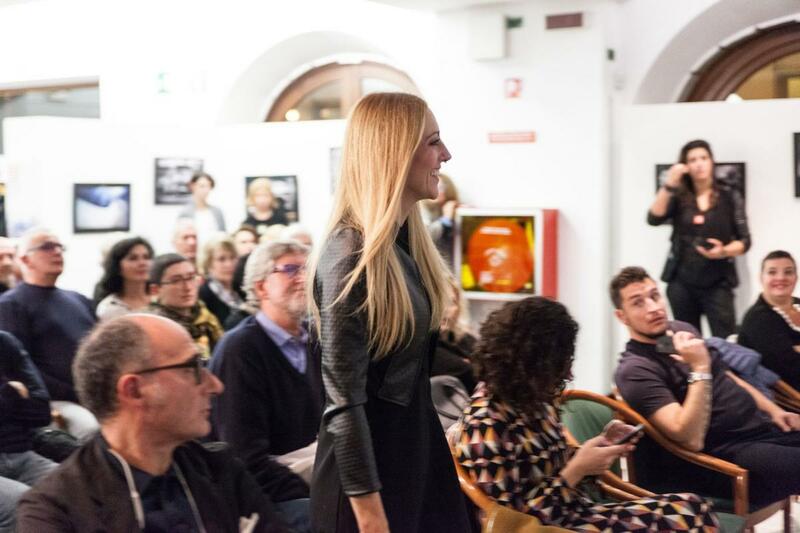 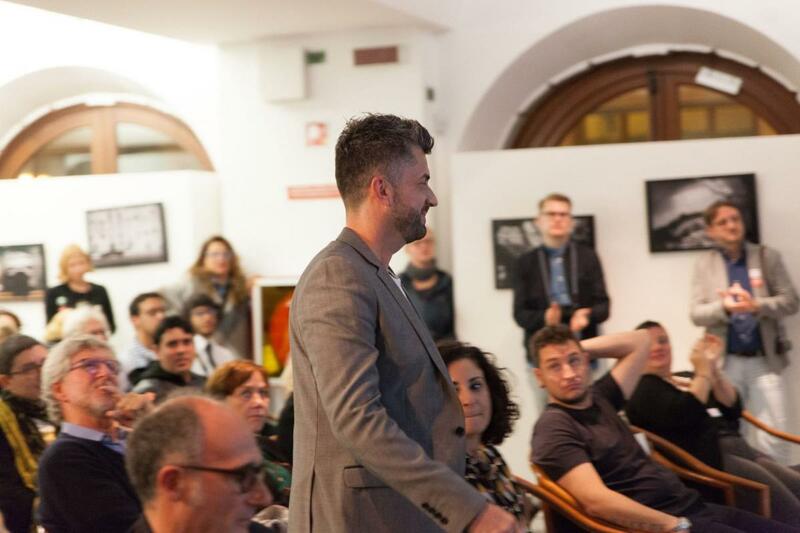 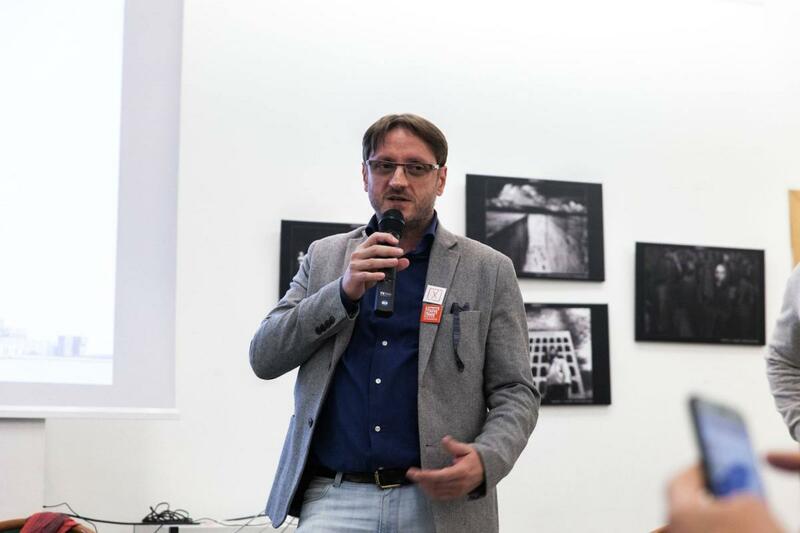 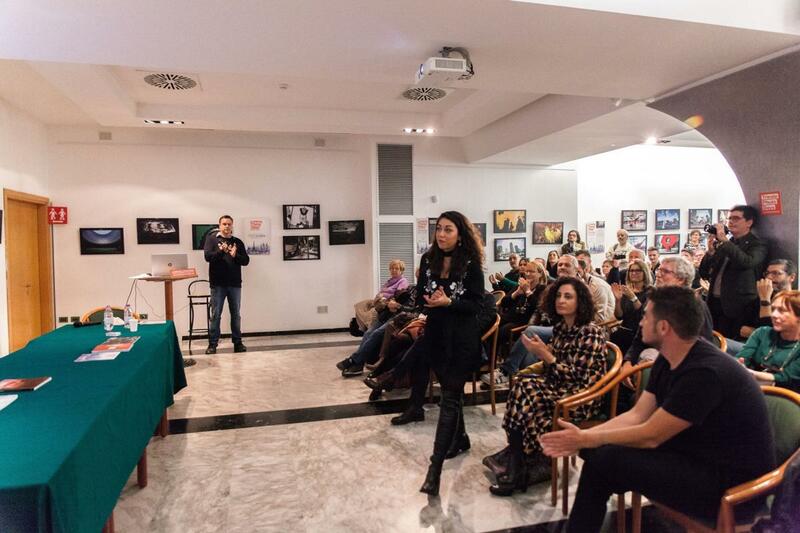 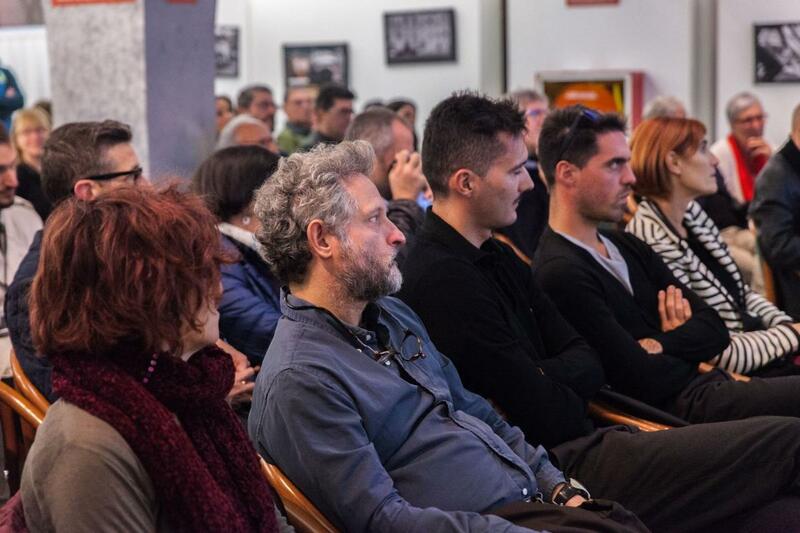 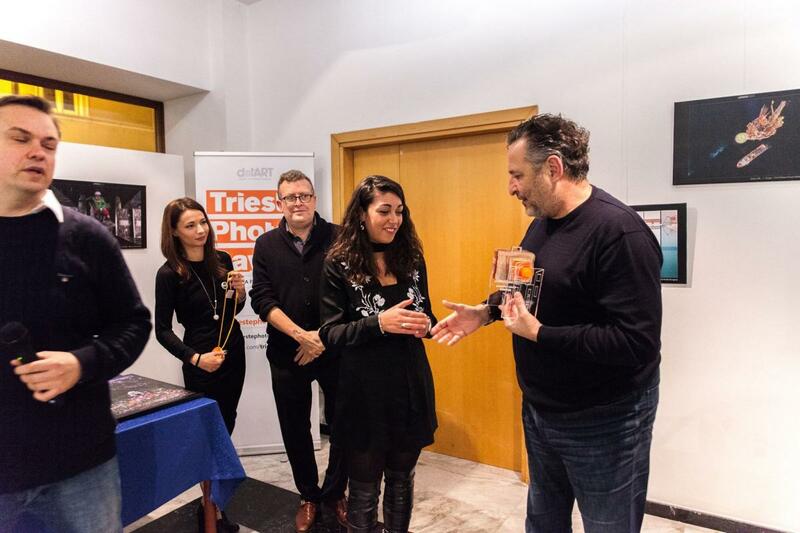 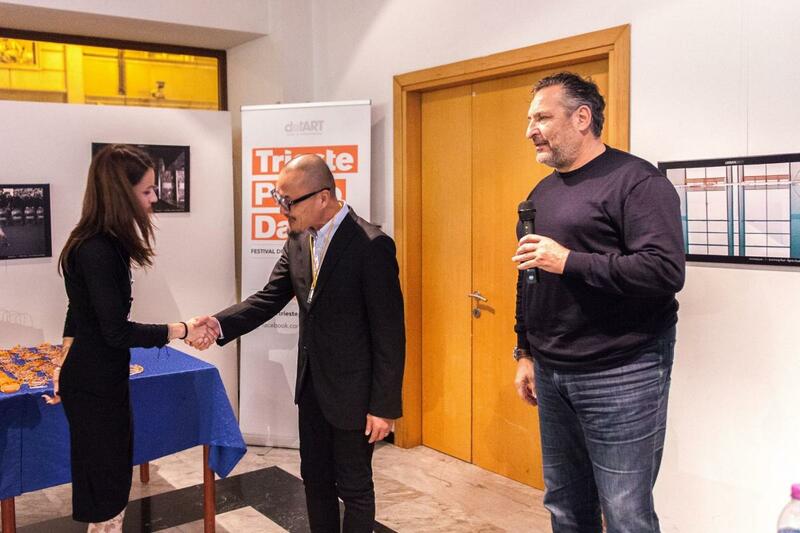 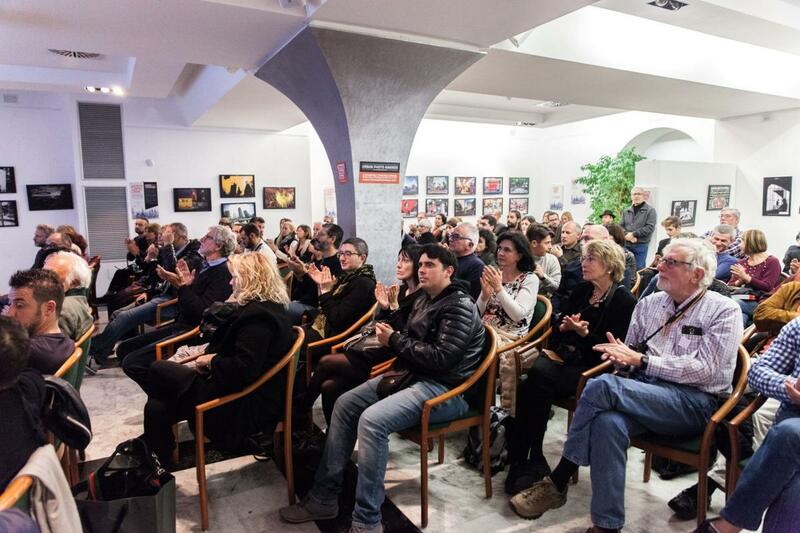 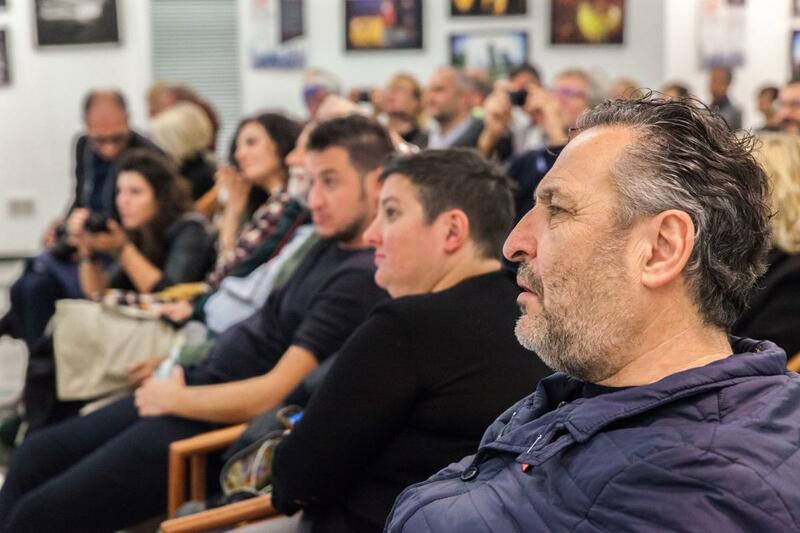 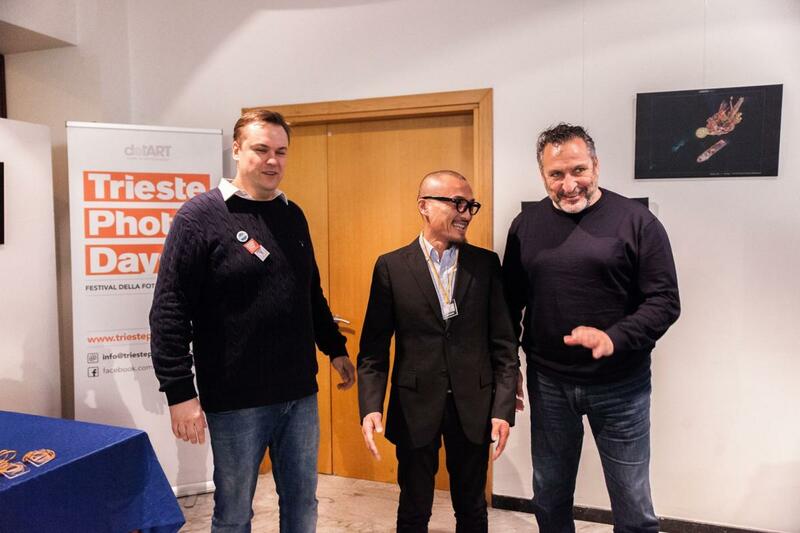 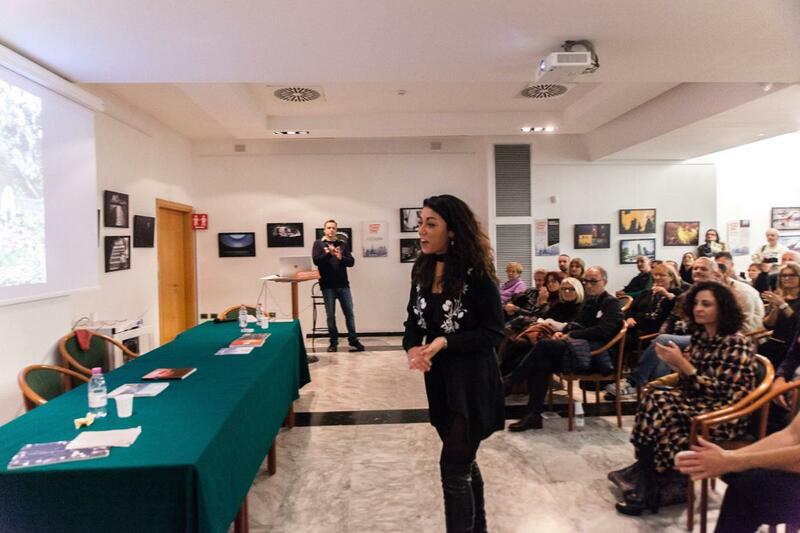 Maurizio Galimberti, as President of the jury, will award the overall winner of the contest. 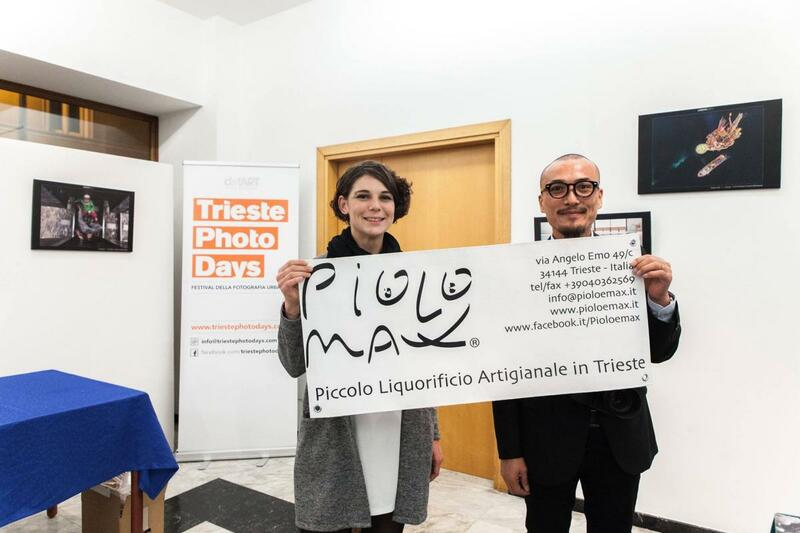 There will be refreshments kindly offered by Piolo & Max and Antica Bottega del Gusto.